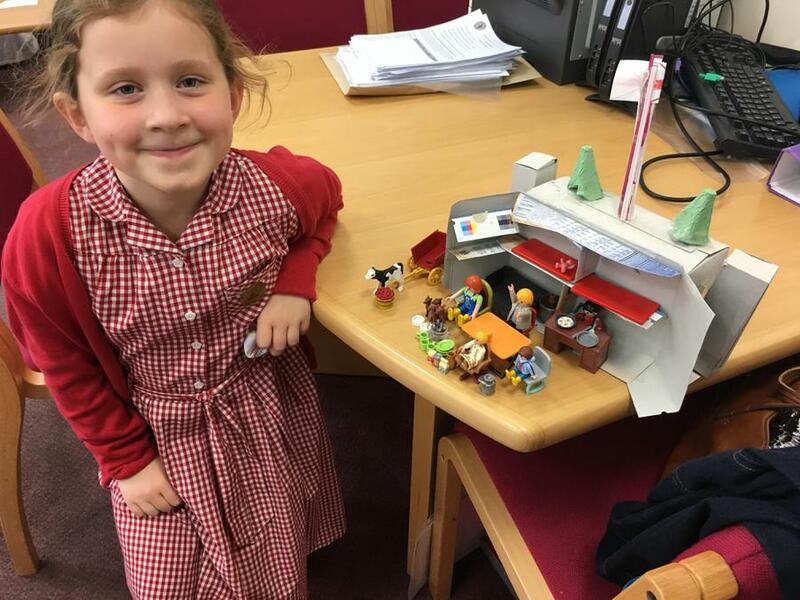 Summer Term 2016 - Visitors to my office for so many amazing reasons! 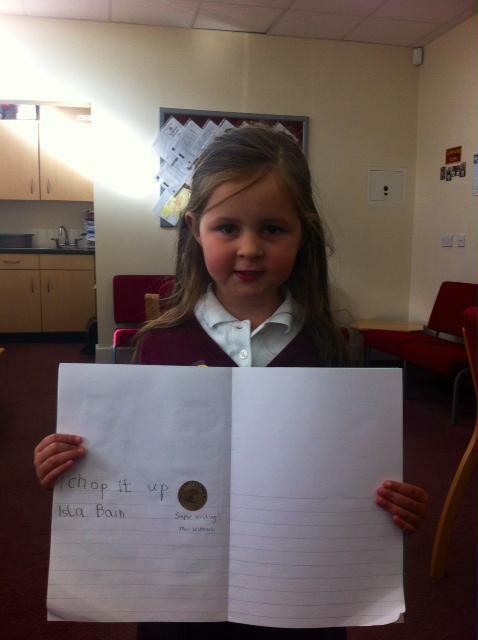 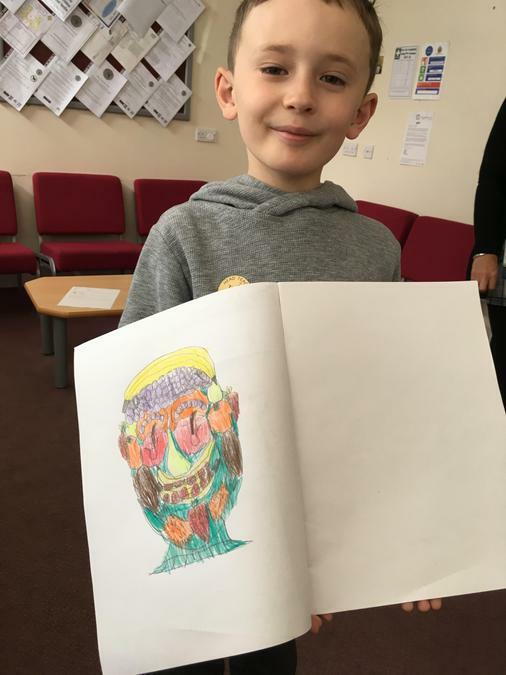 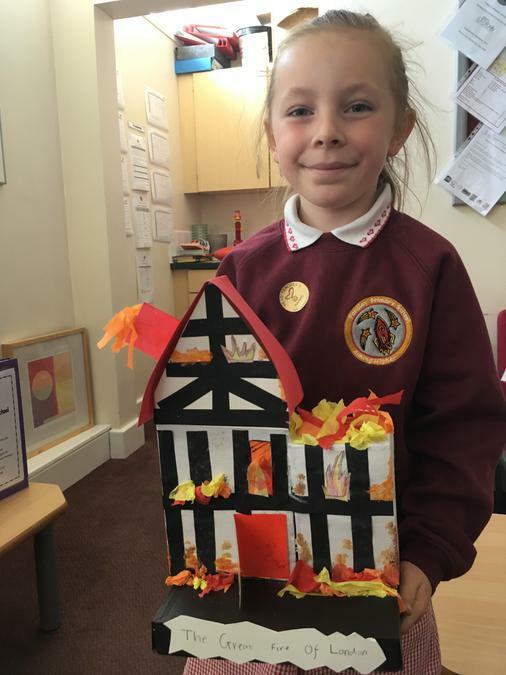 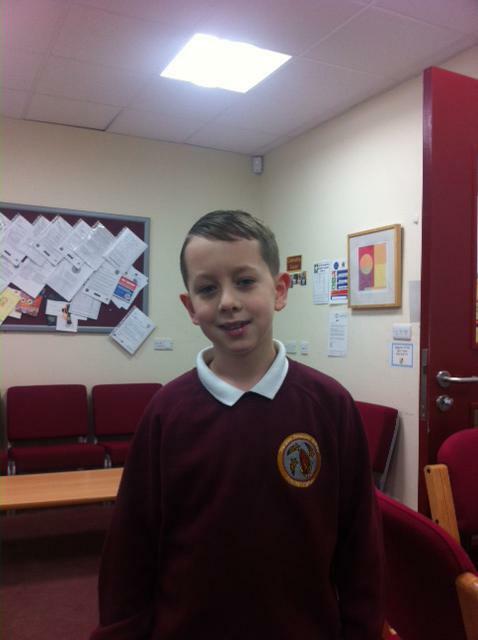 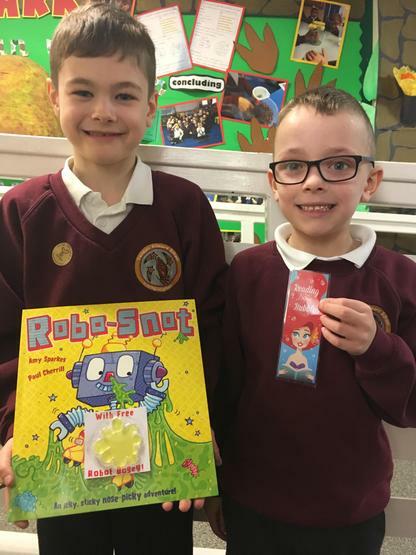 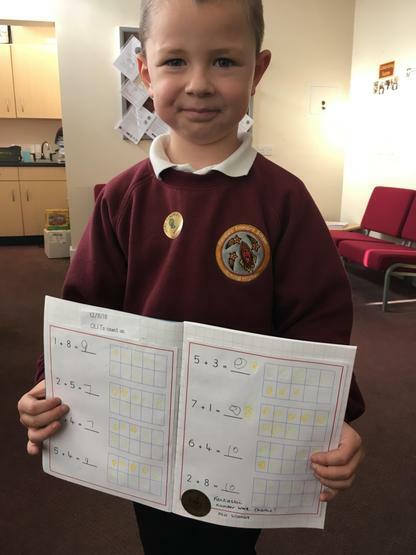 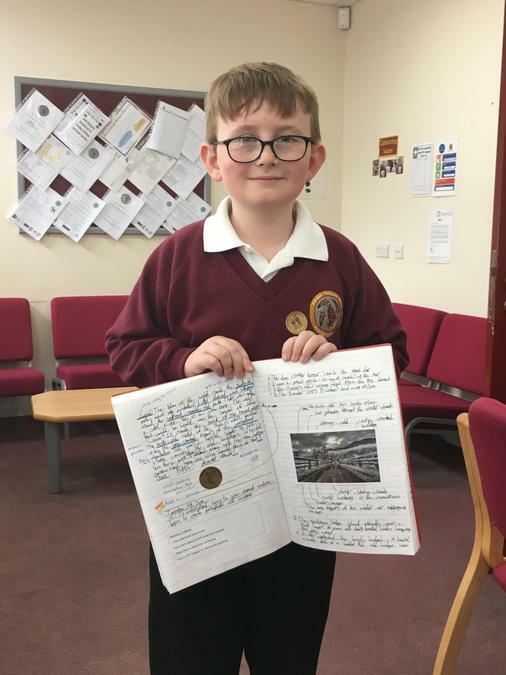 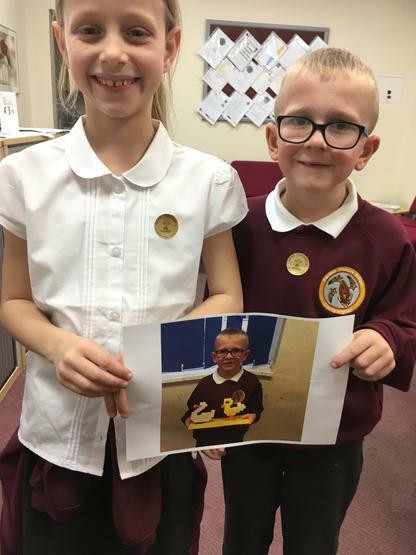 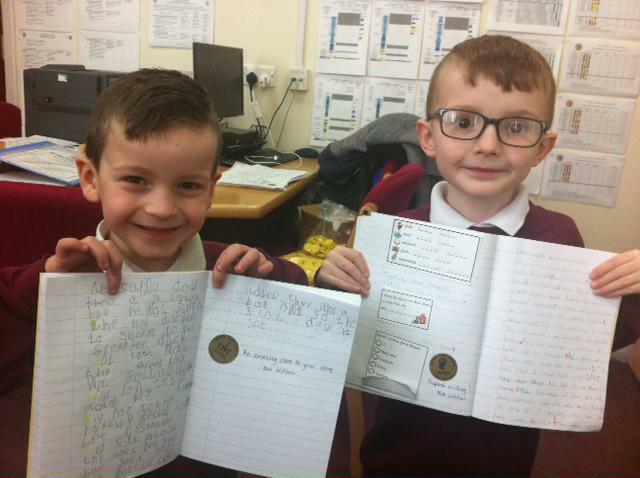 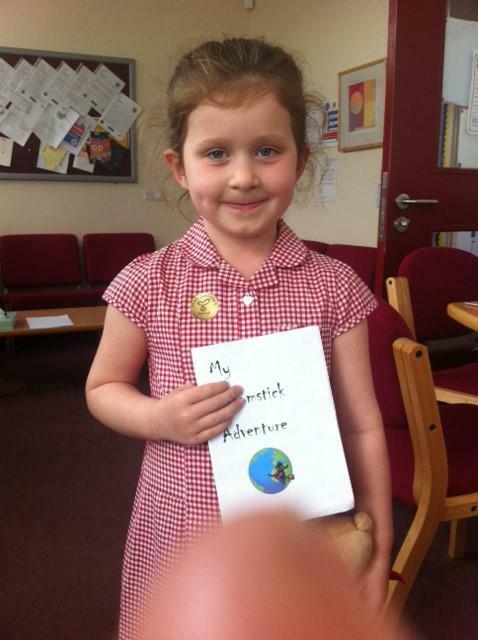 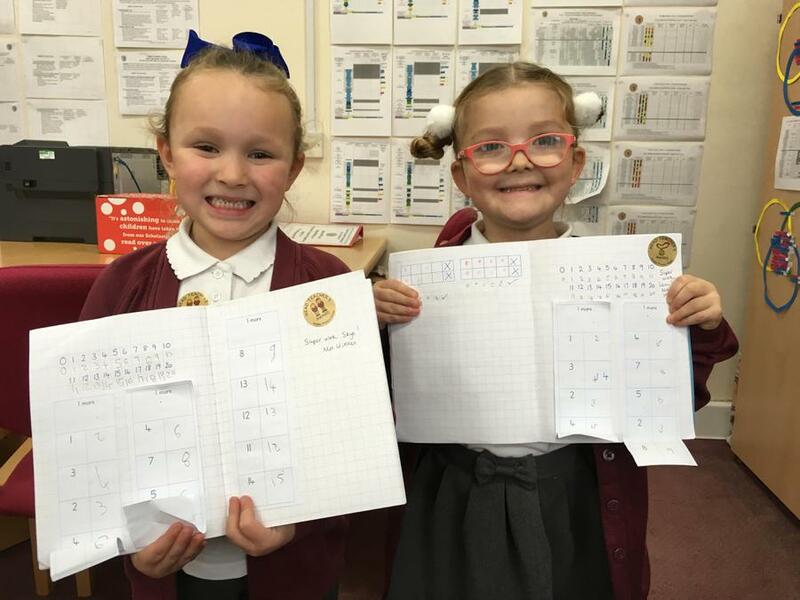 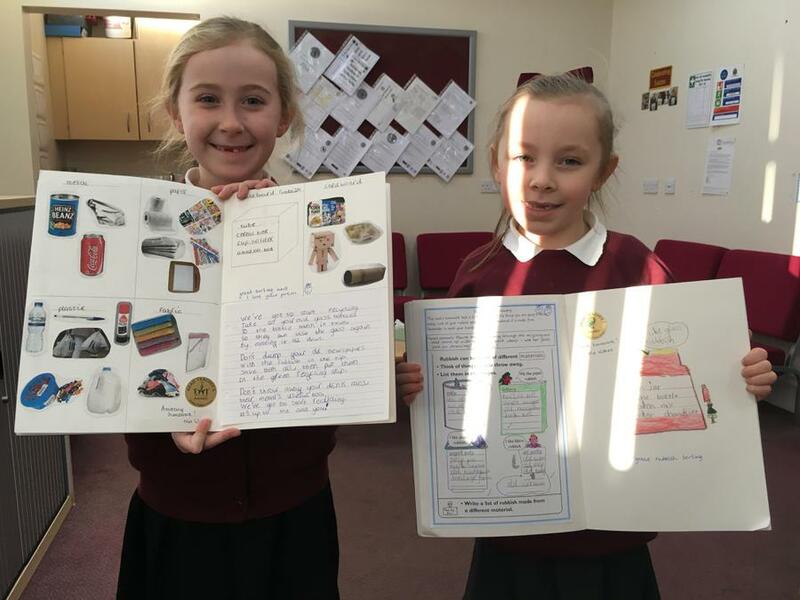 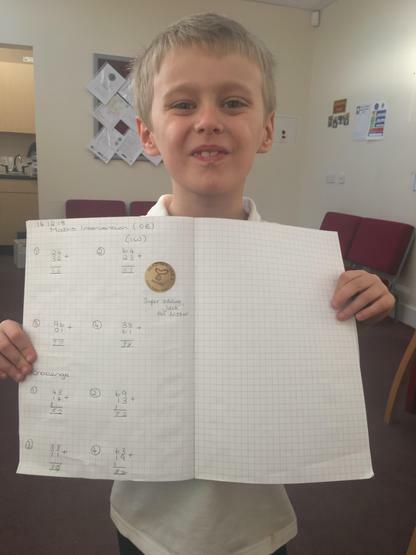 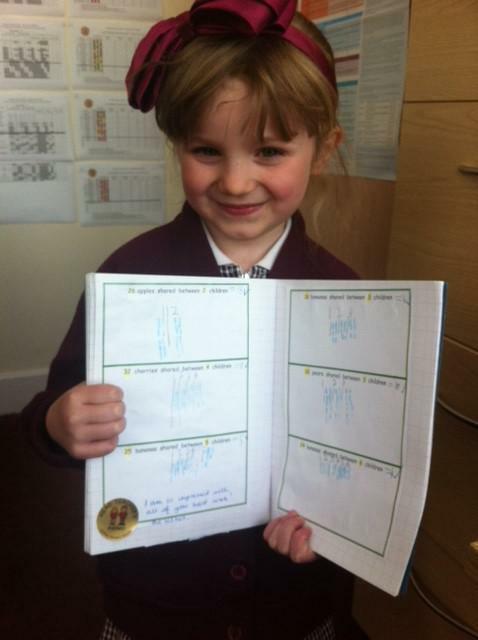 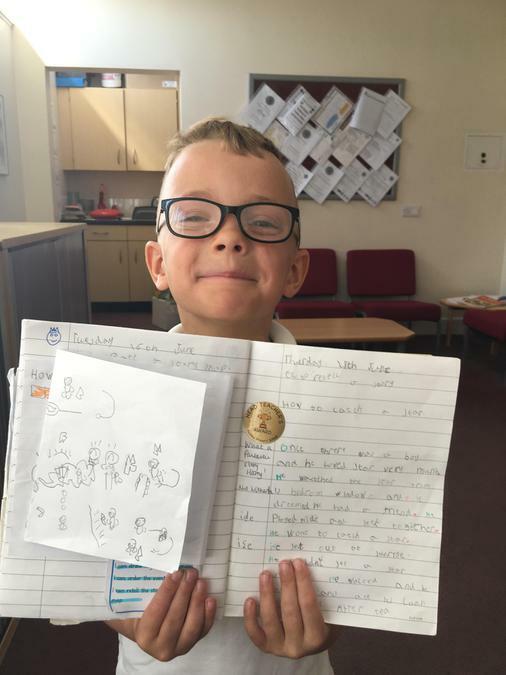 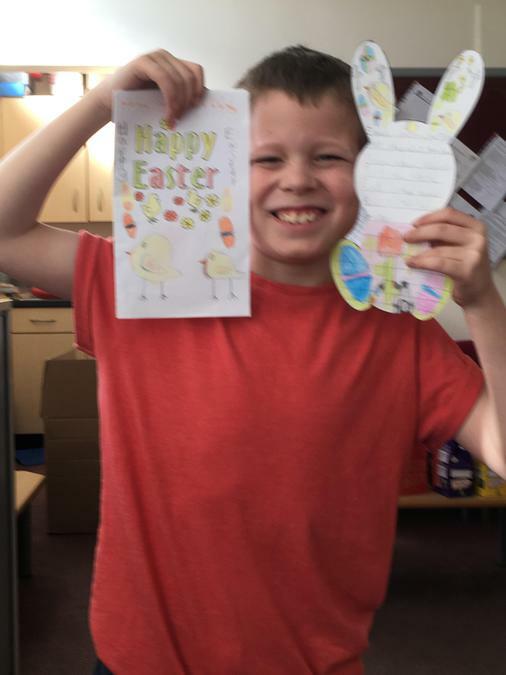 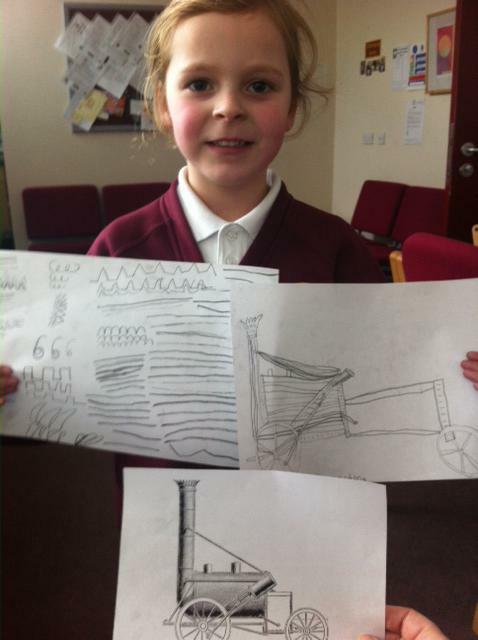 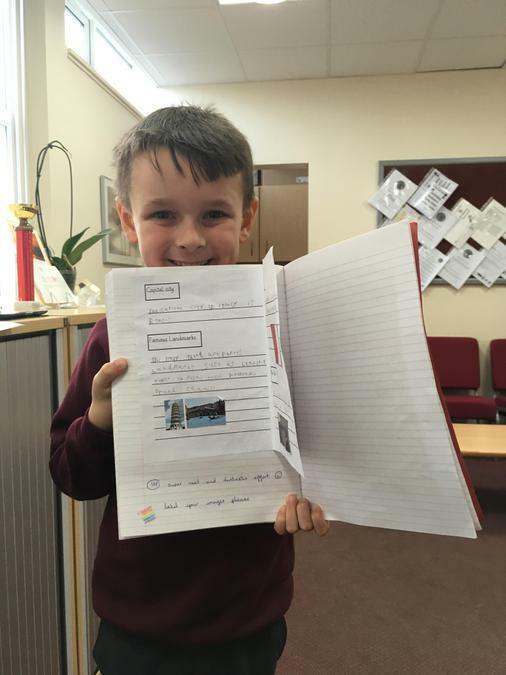 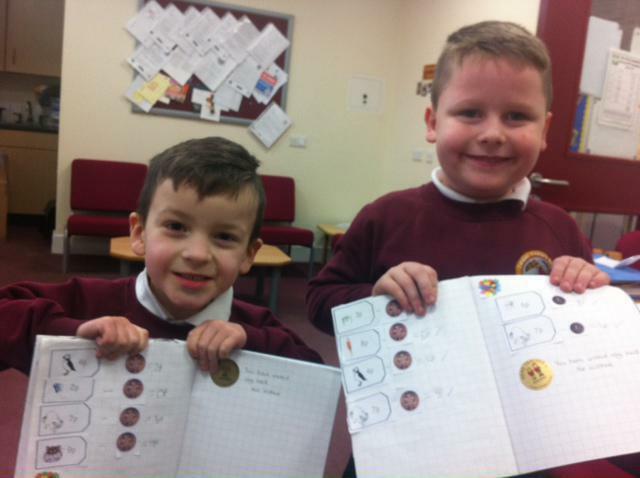 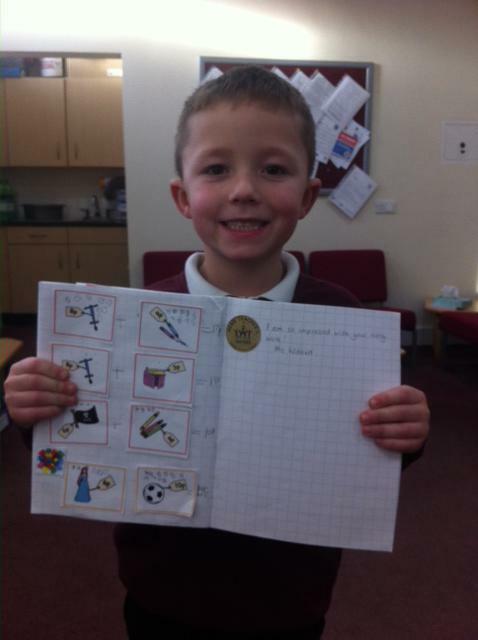 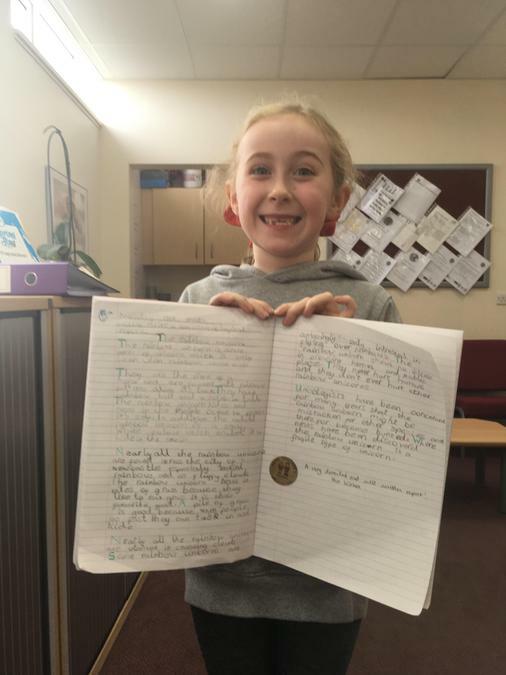 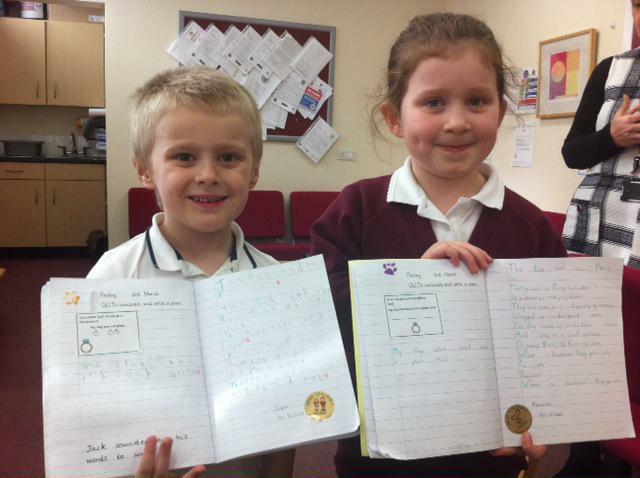 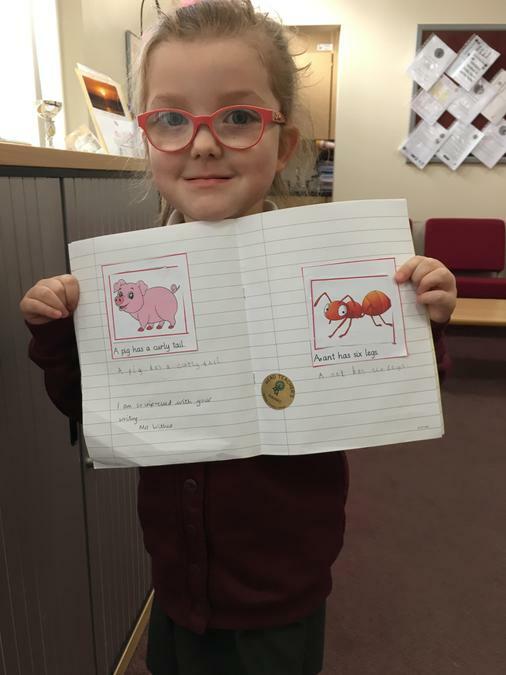 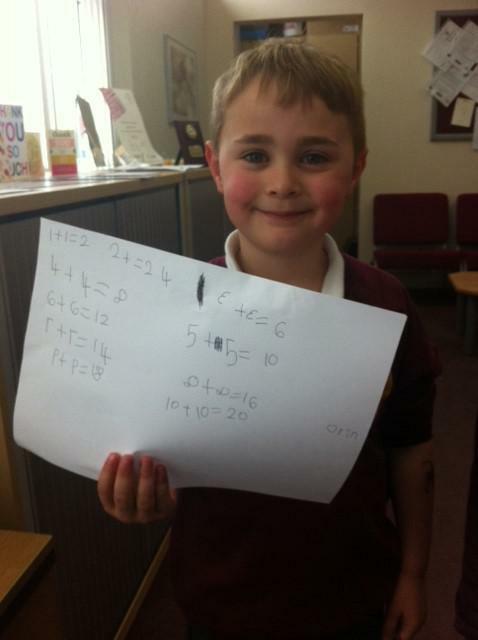 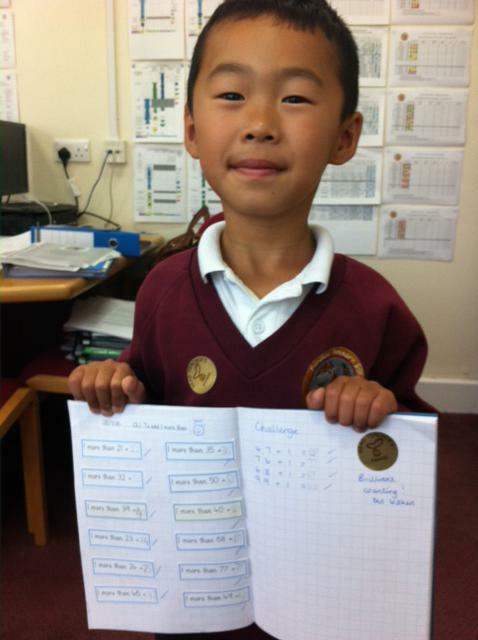 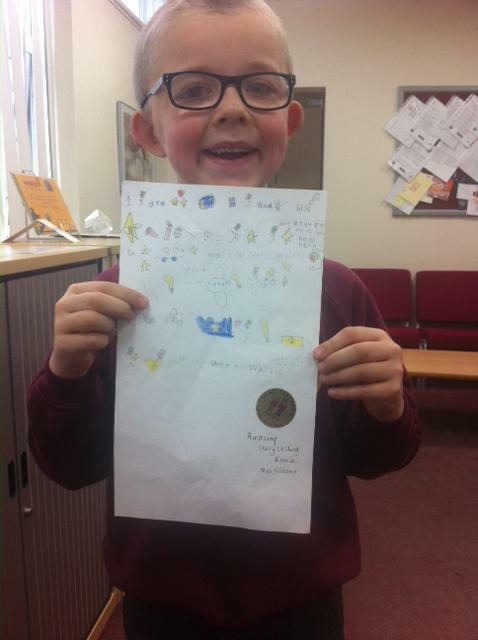 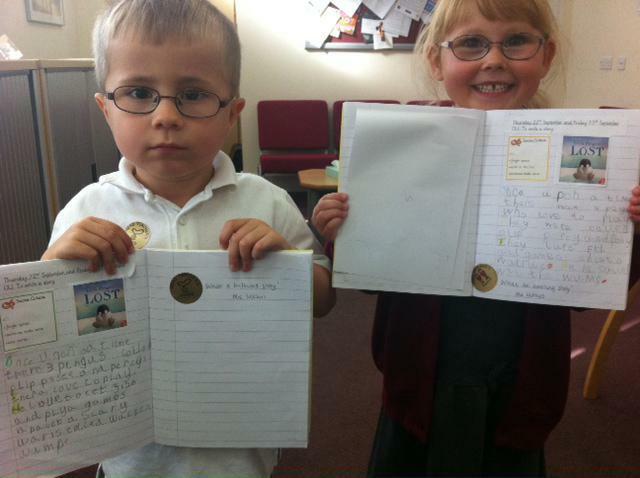 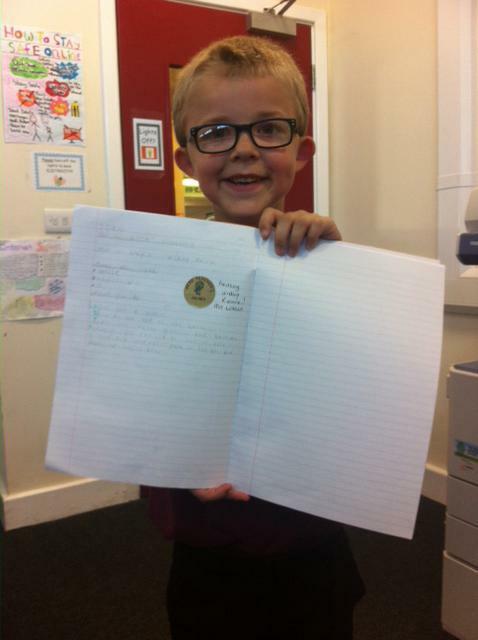 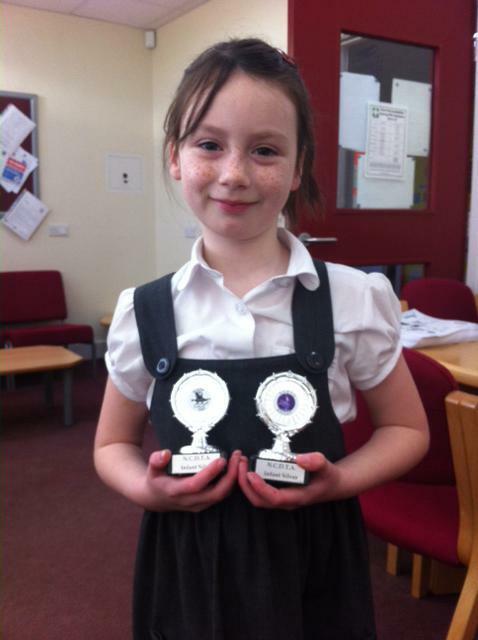 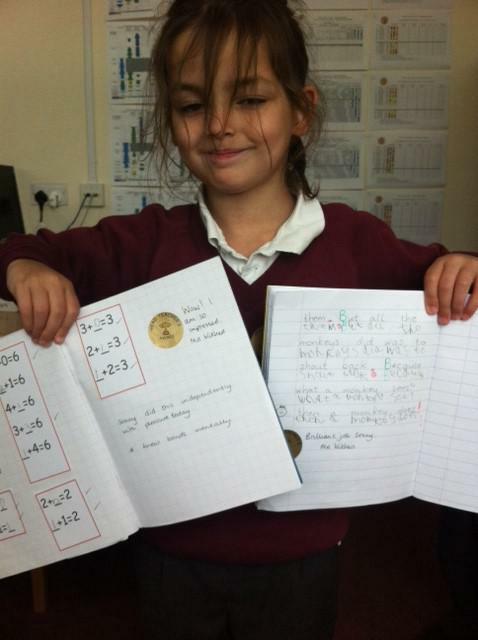 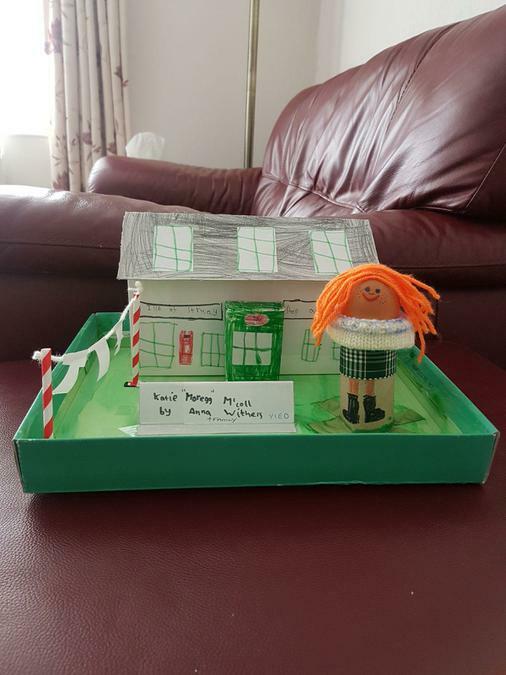 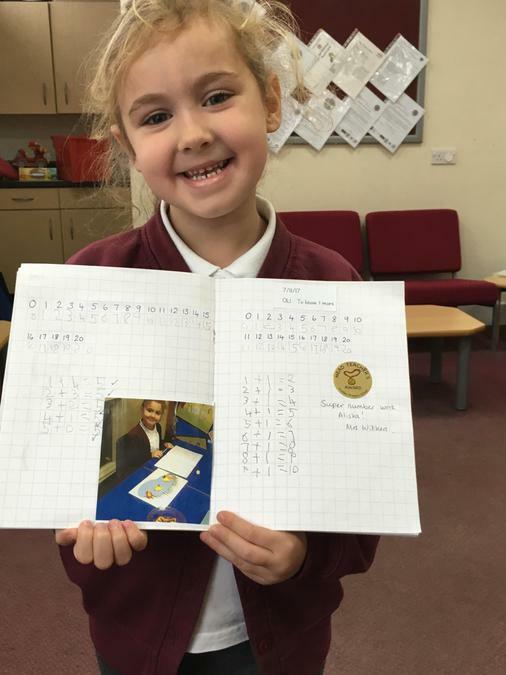 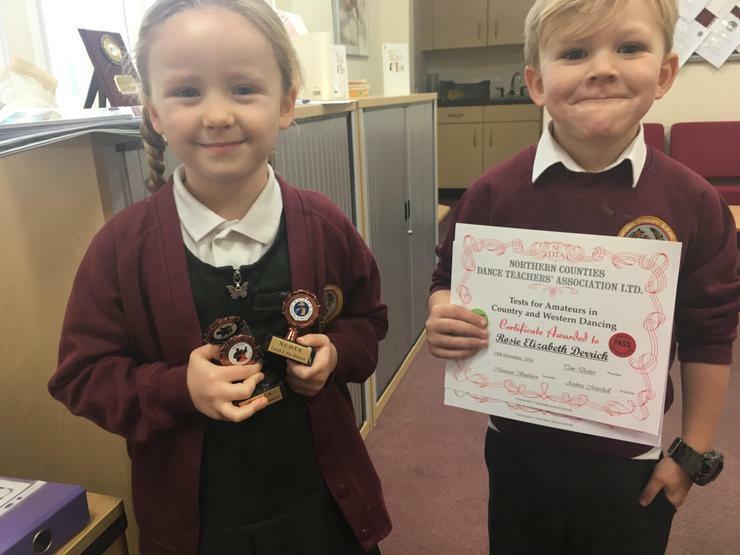 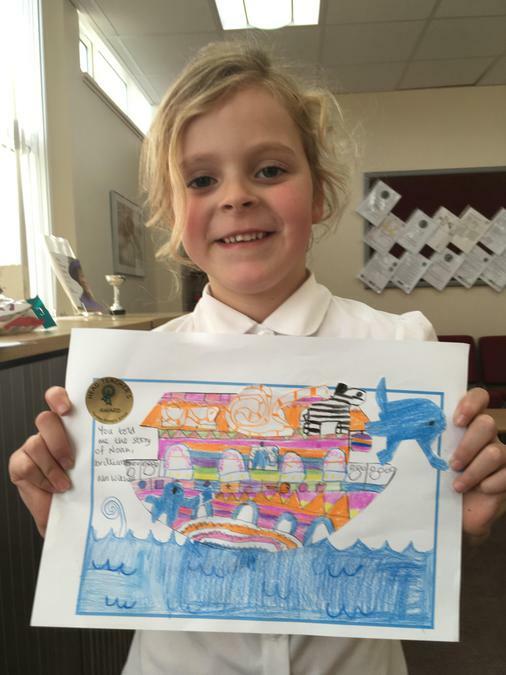 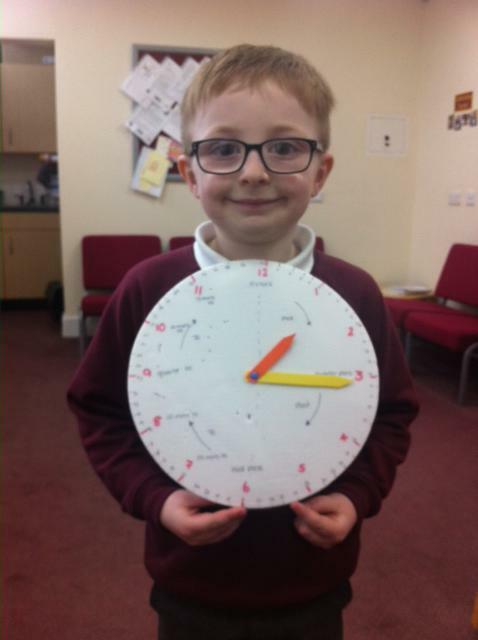 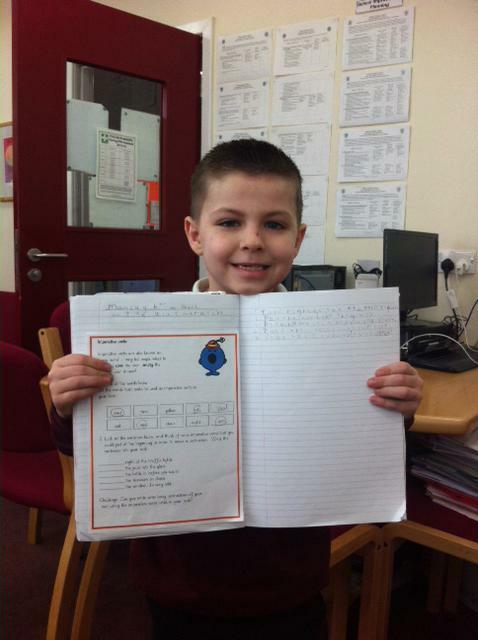 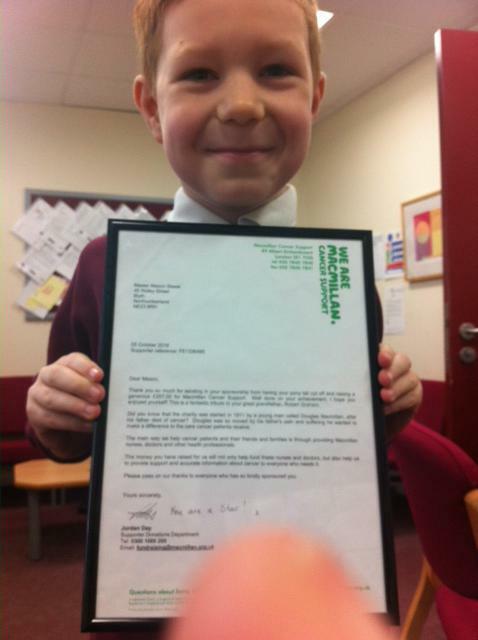 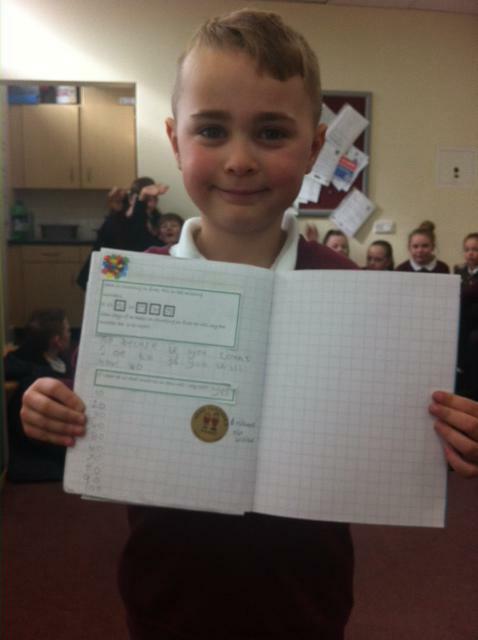 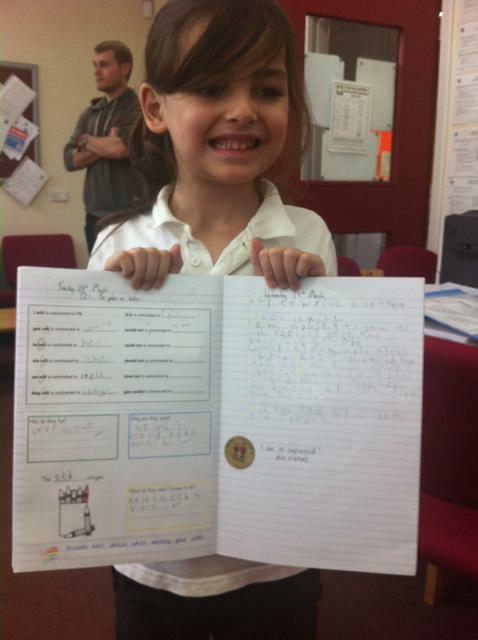 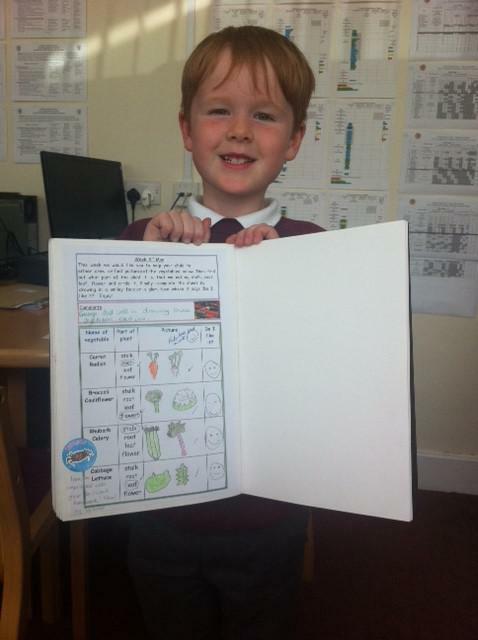 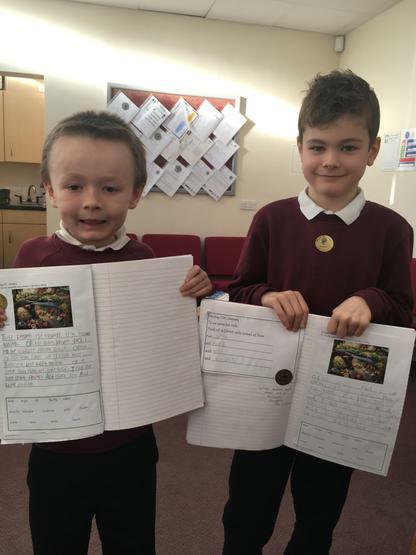 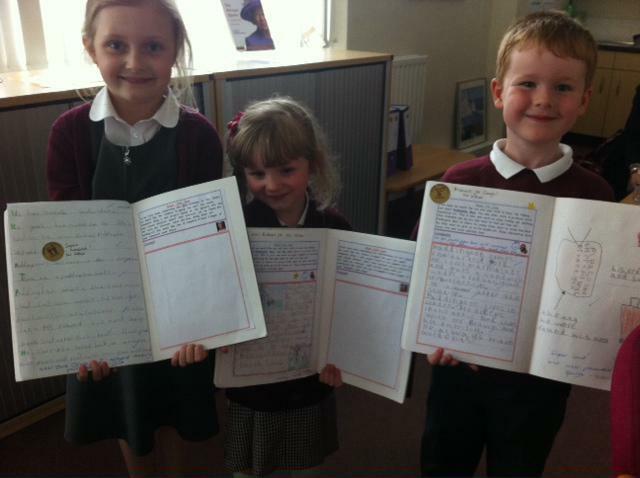 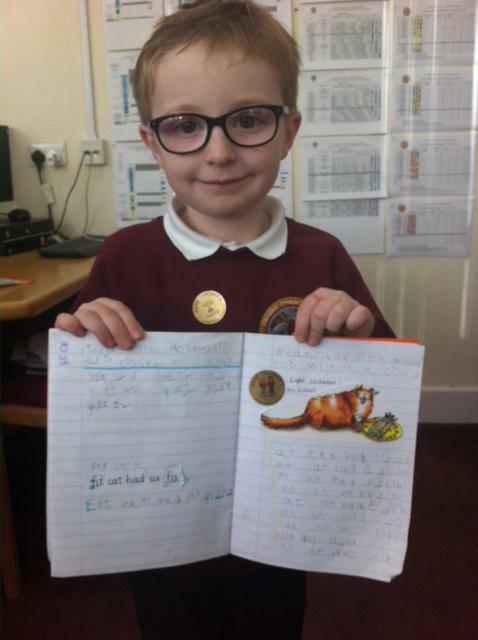 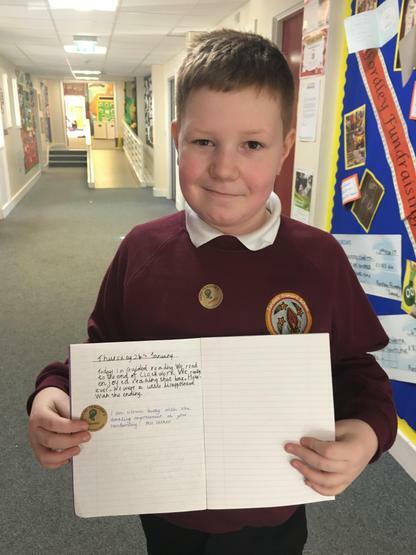 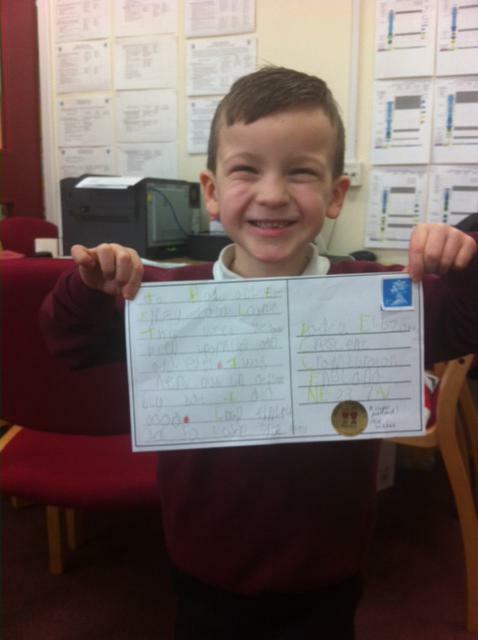 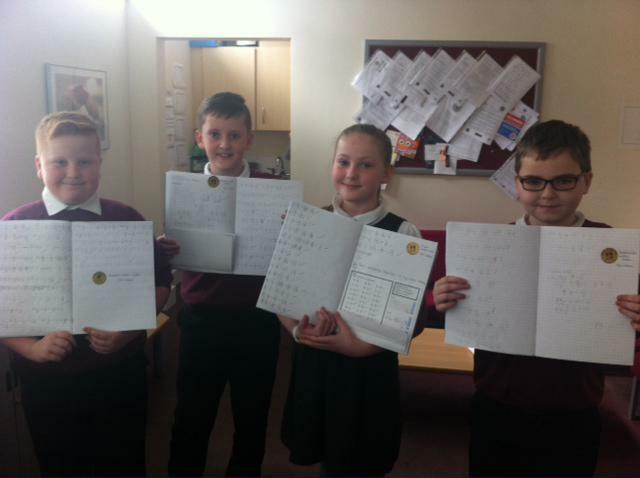 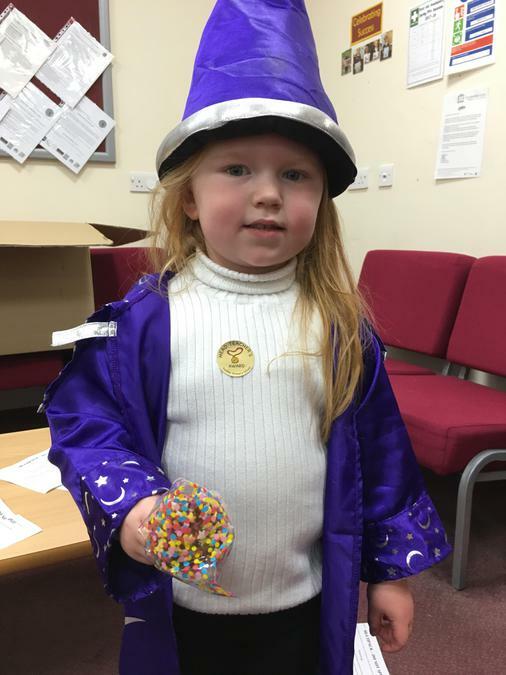 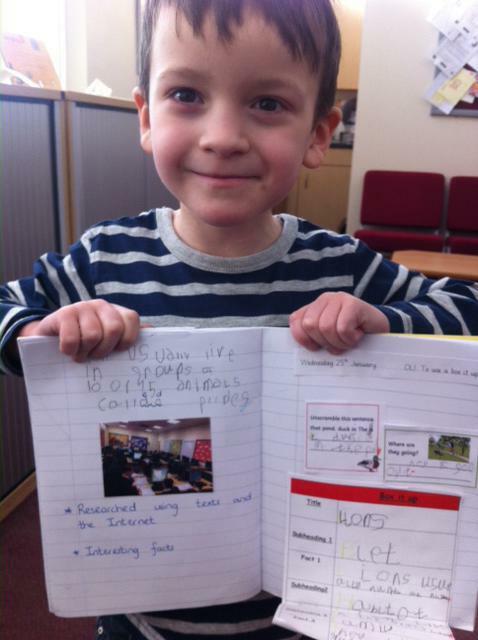 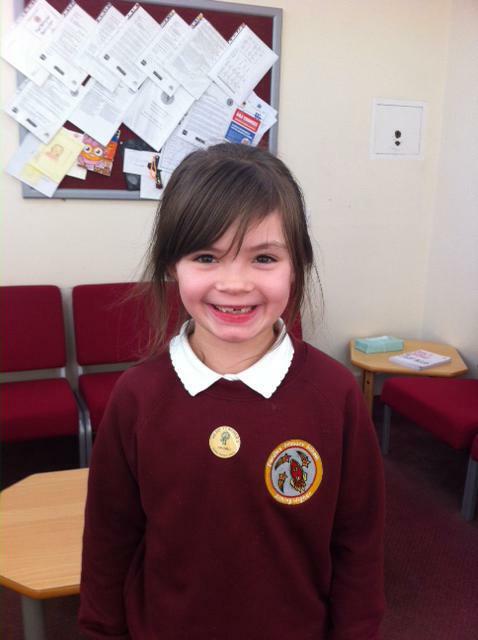 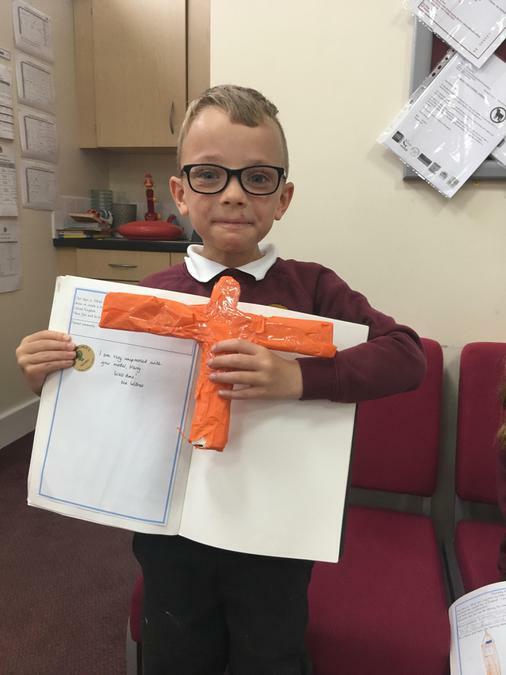 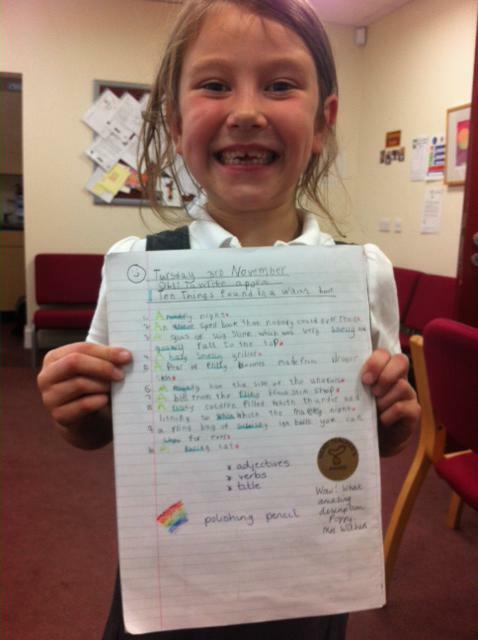 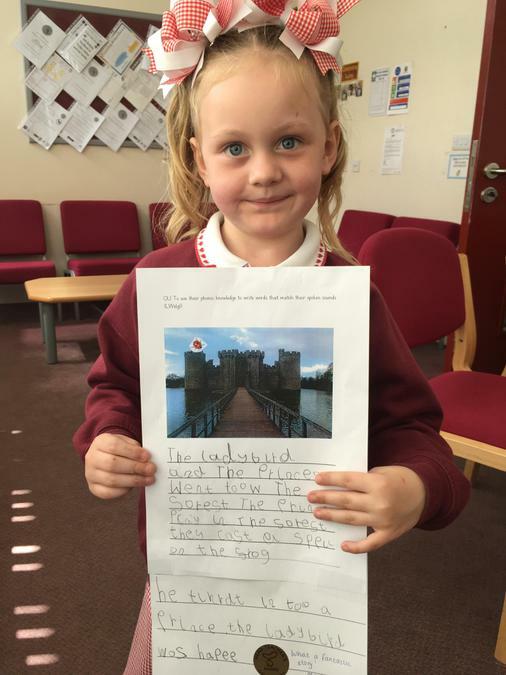 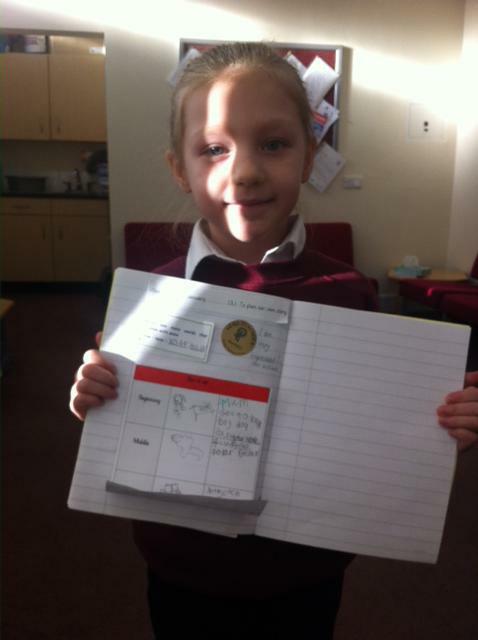 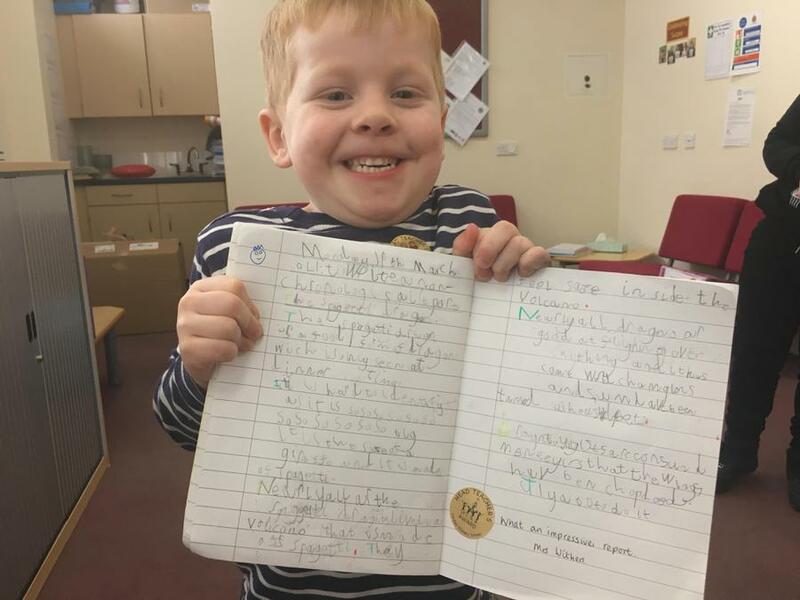 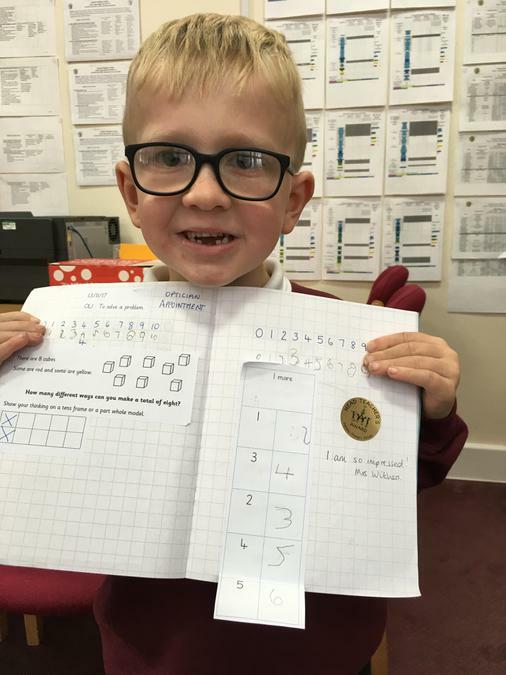 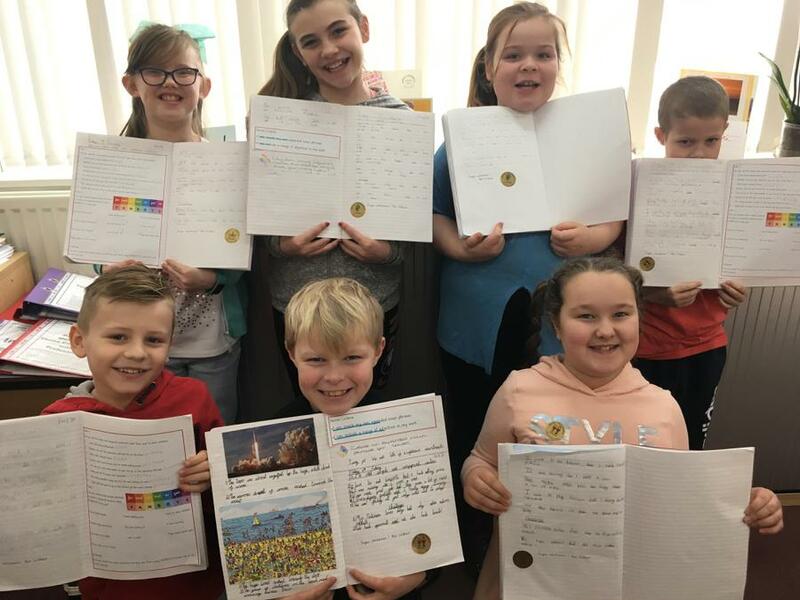 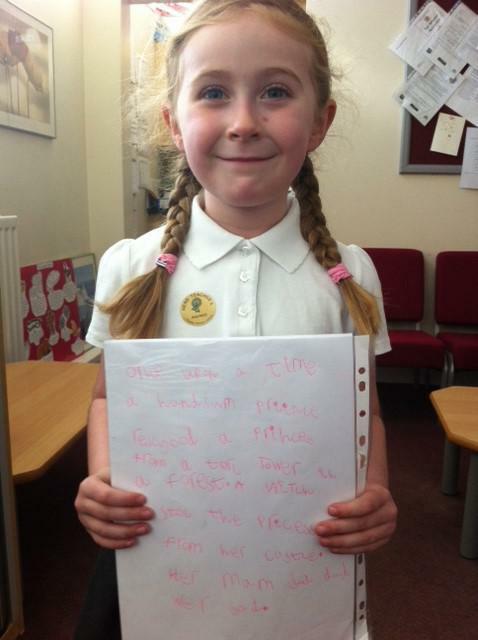 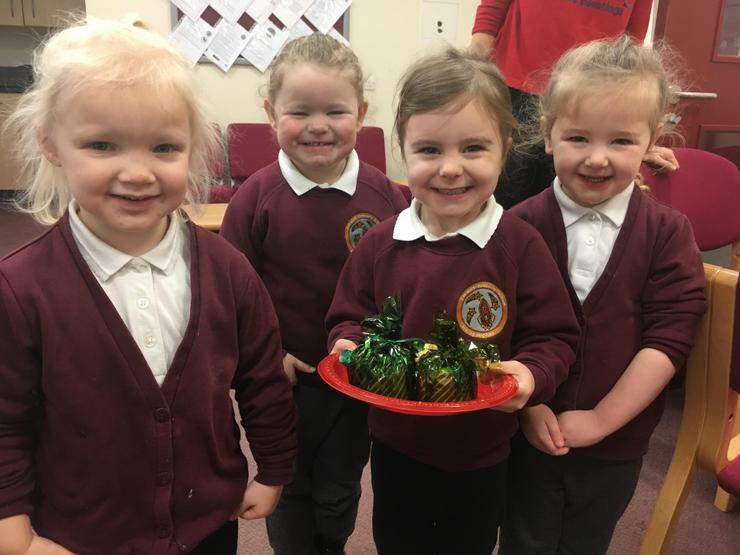 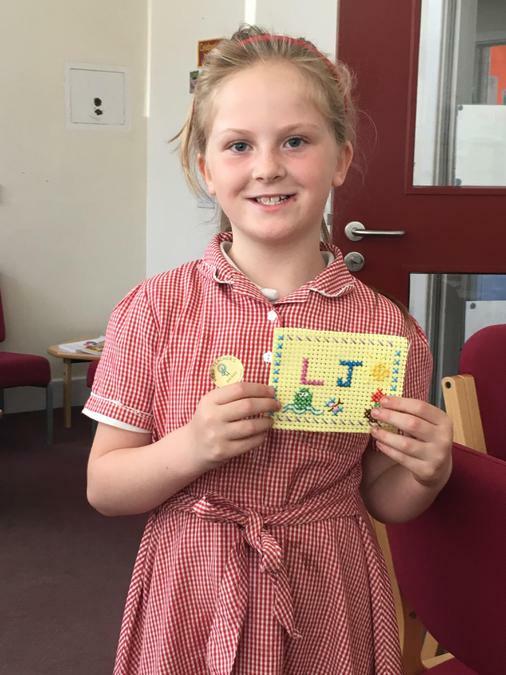 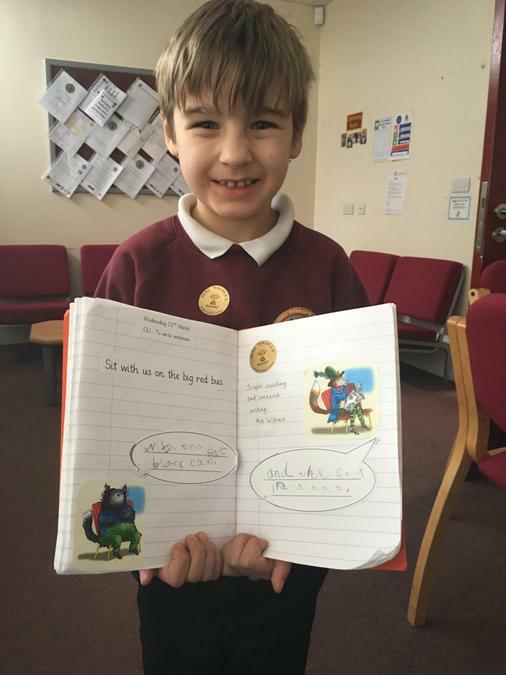 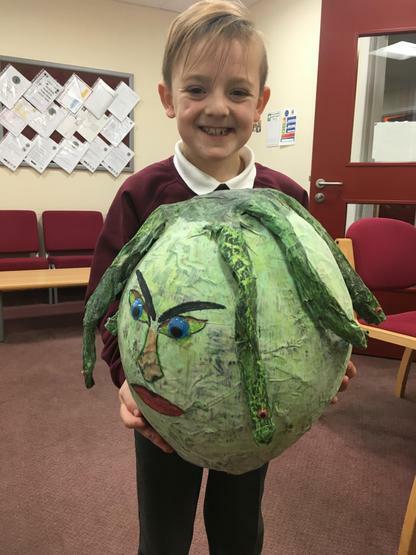 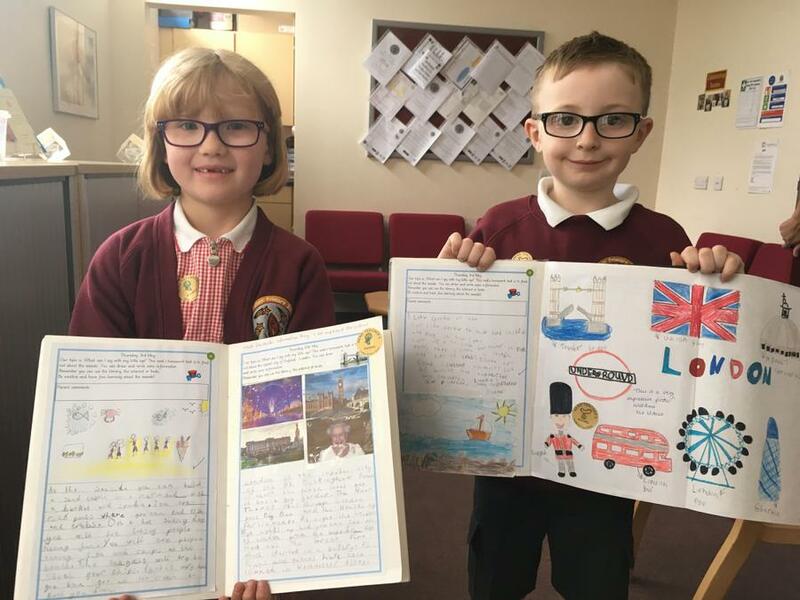 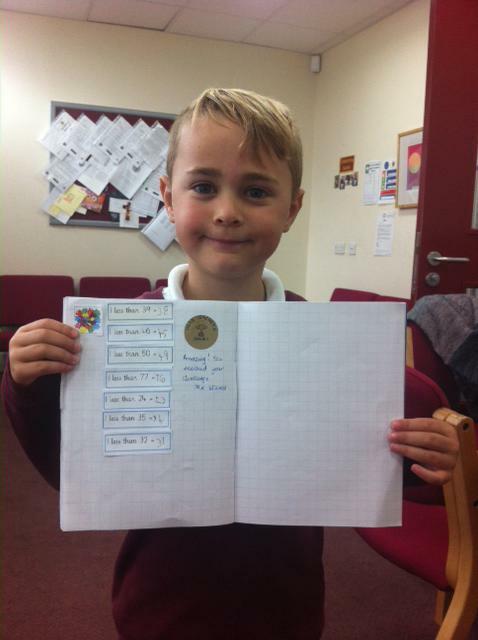 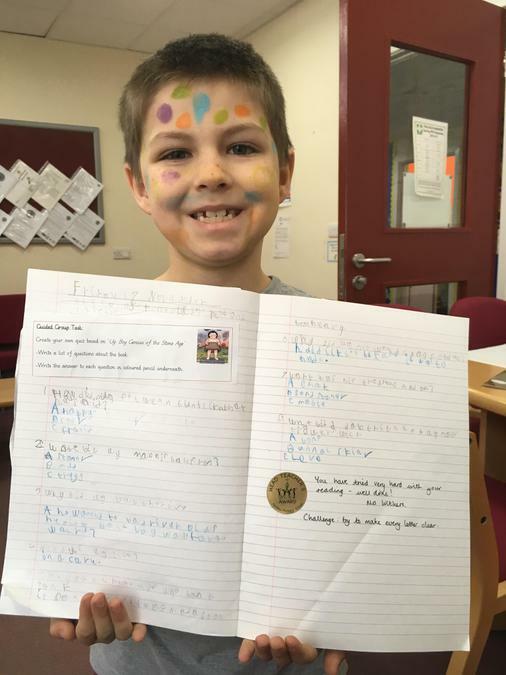 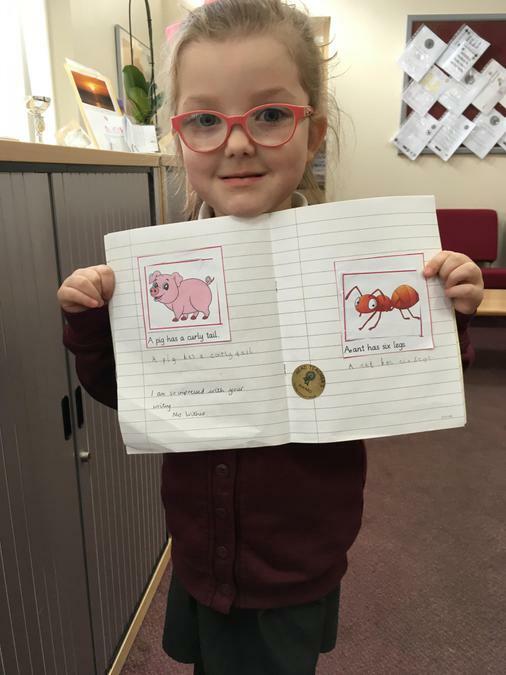 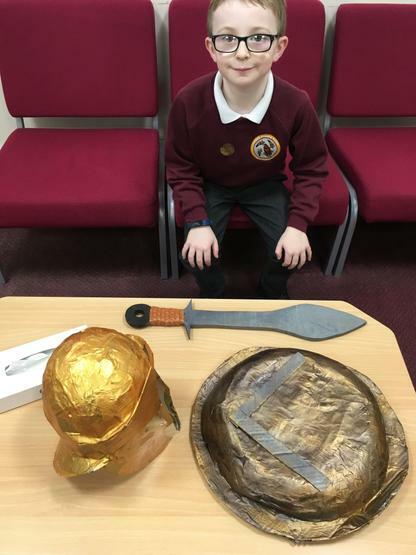 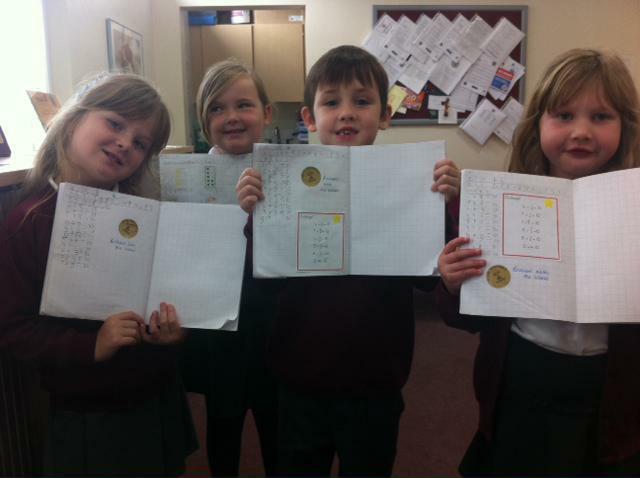 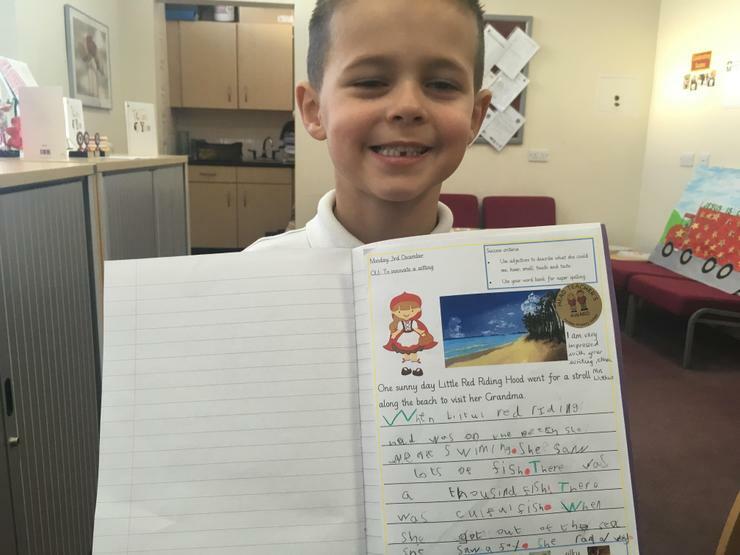 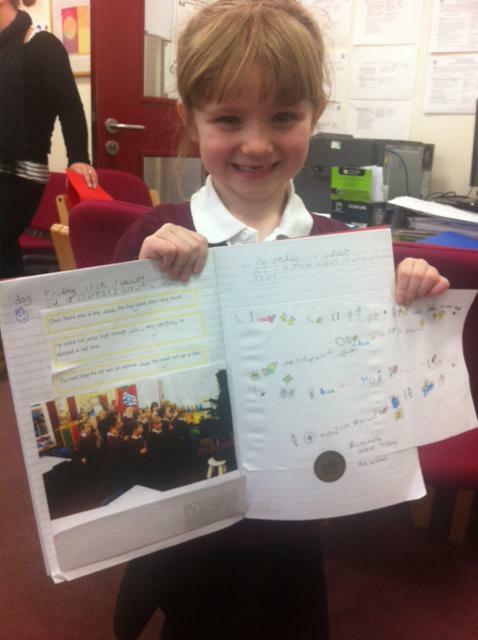 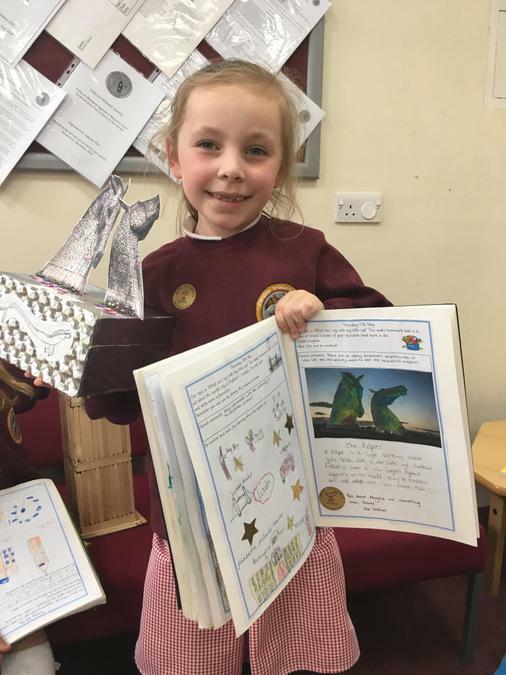 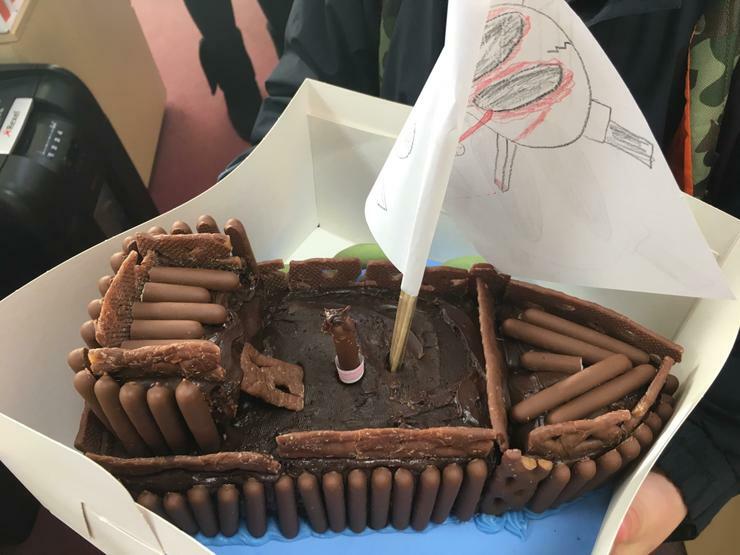 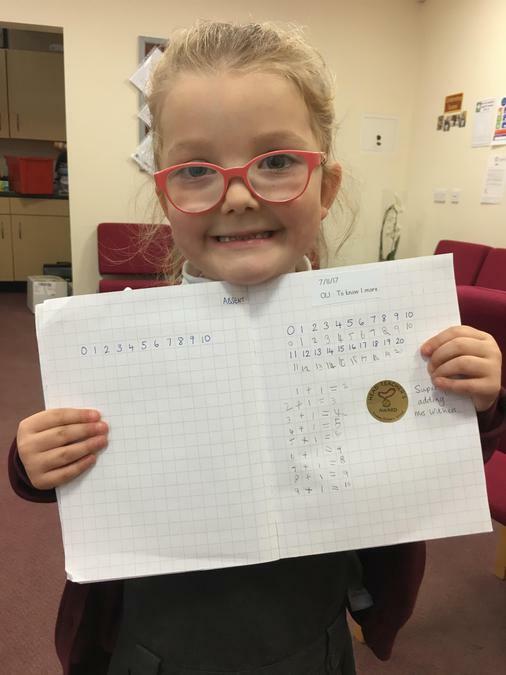 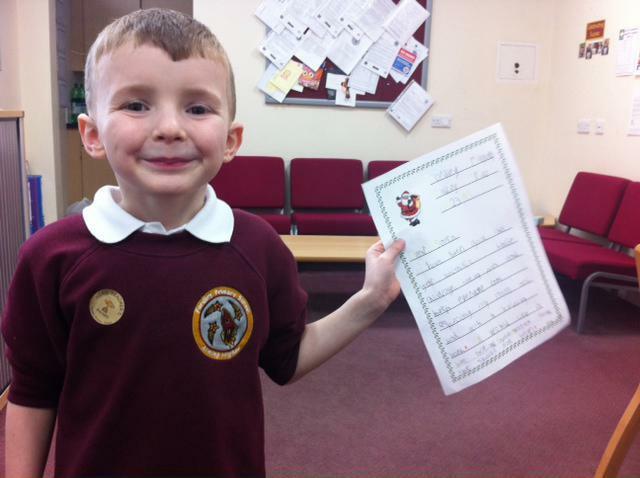 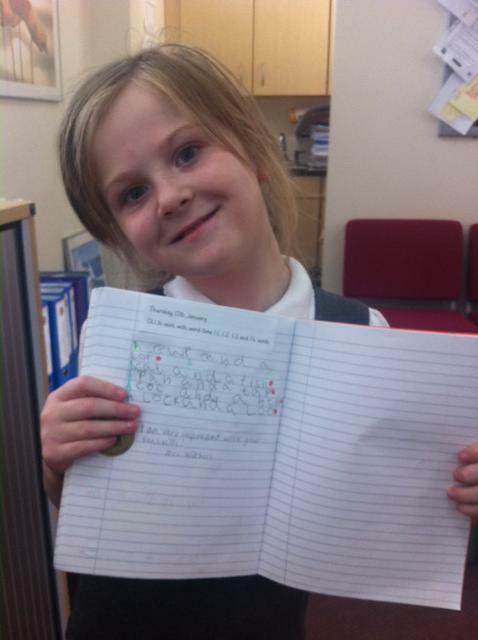 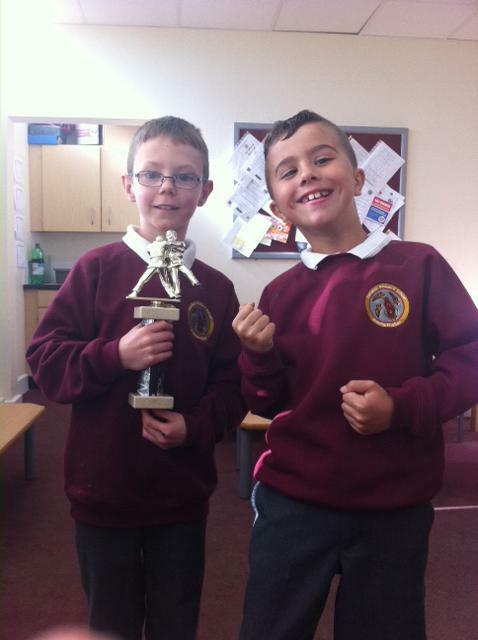 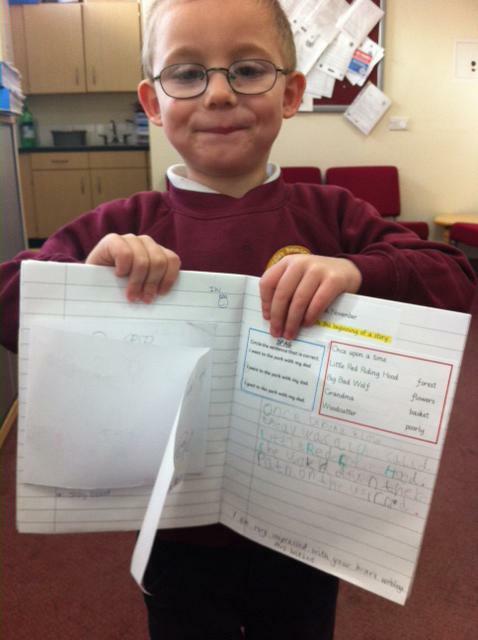 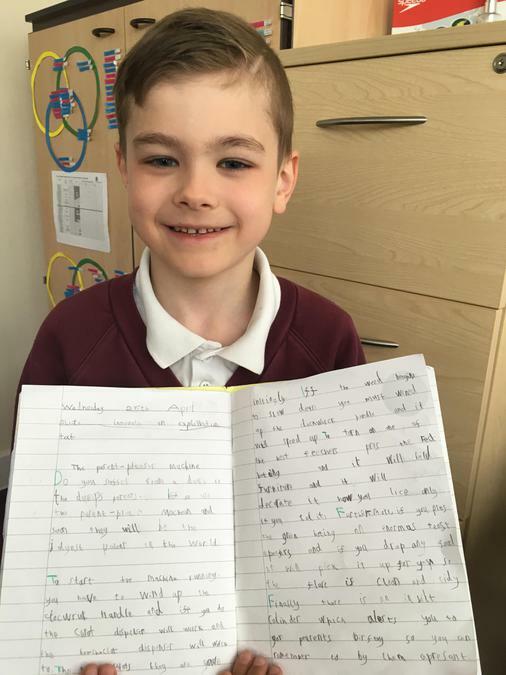 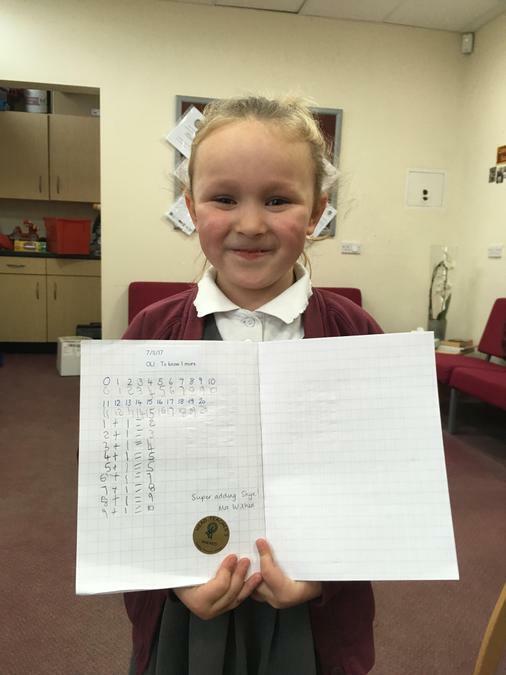 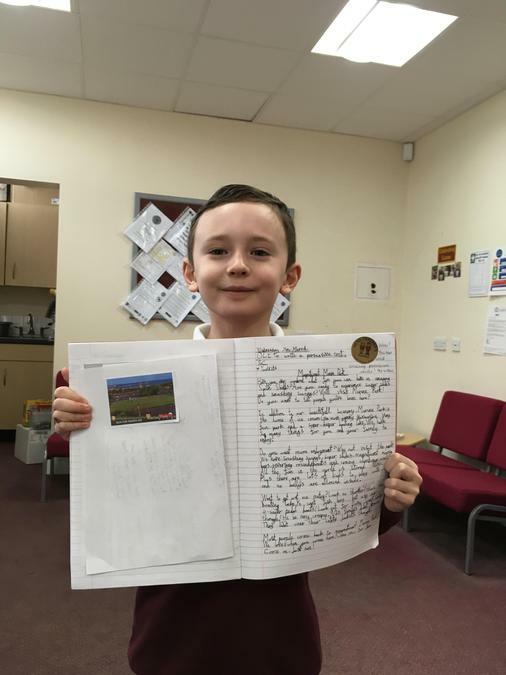 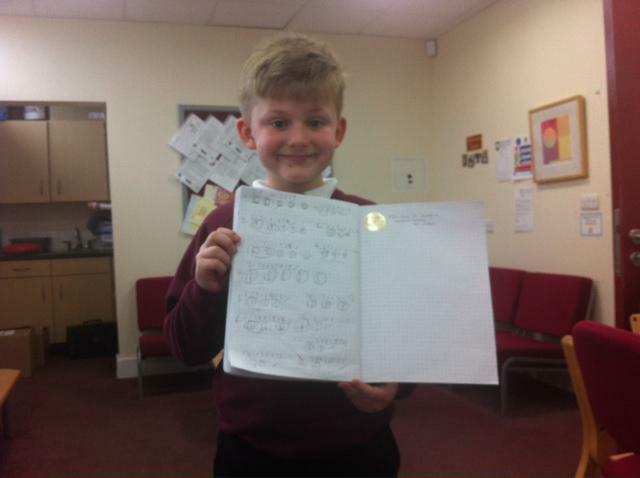 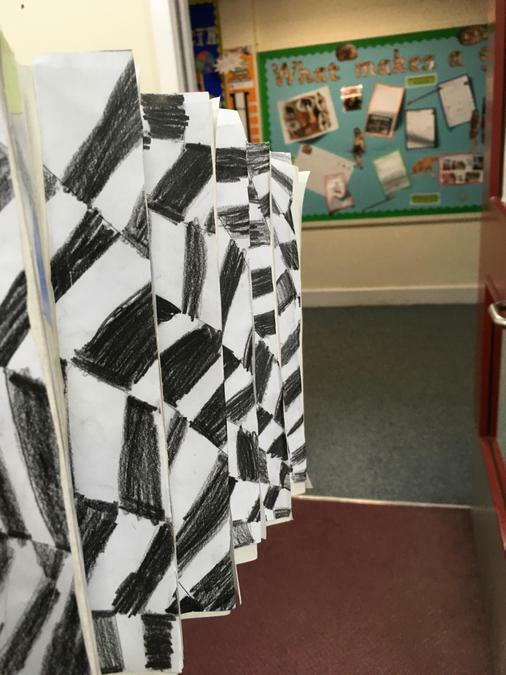 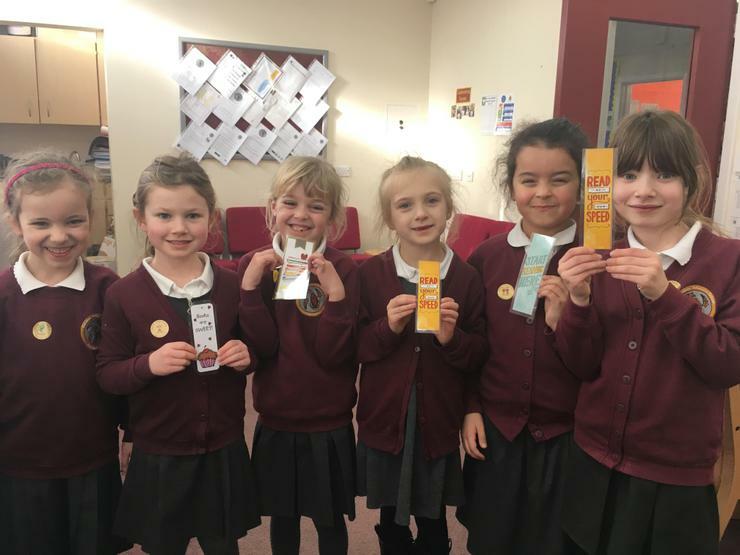 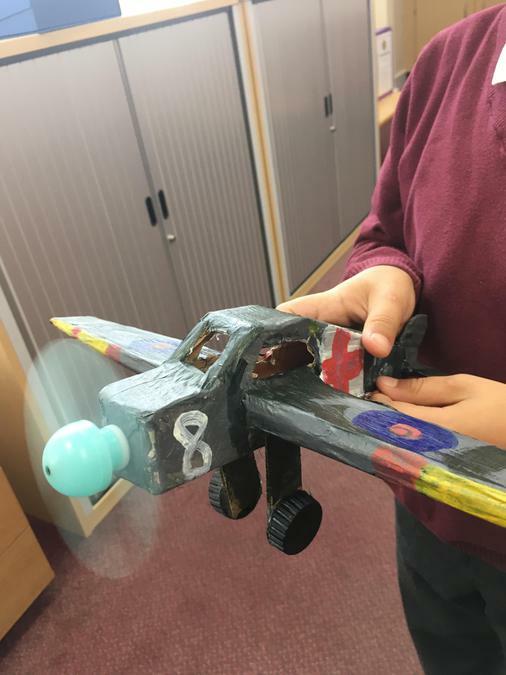 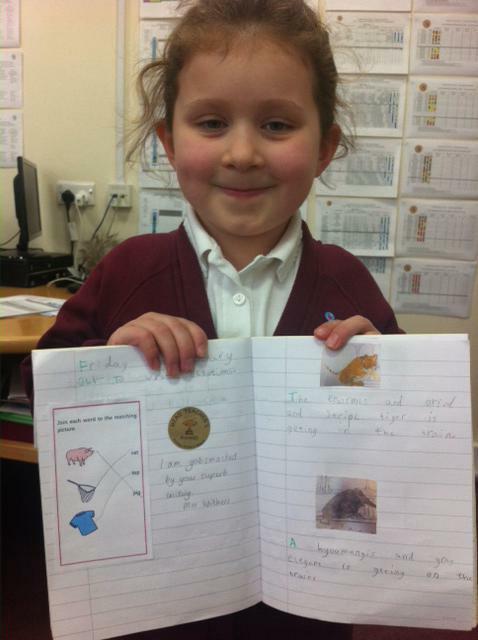 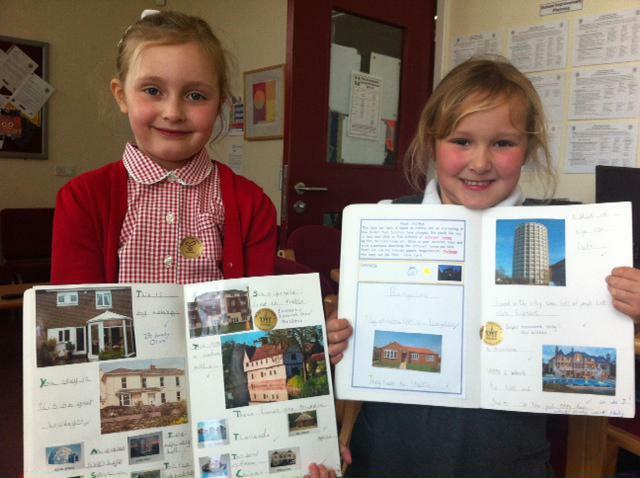 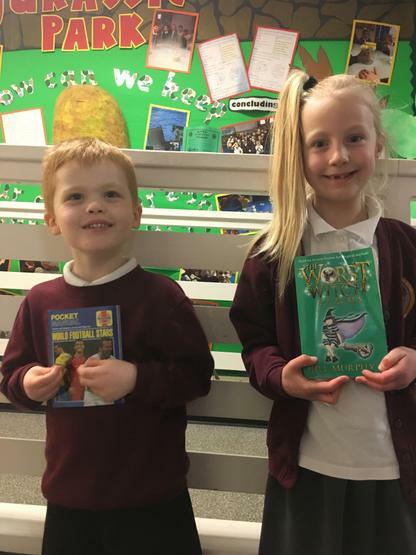 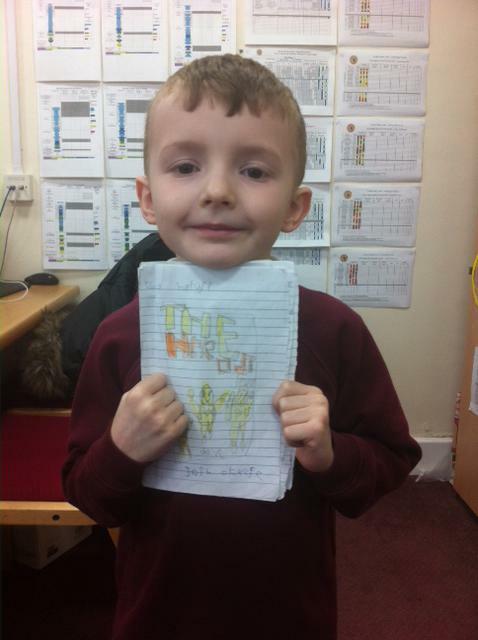 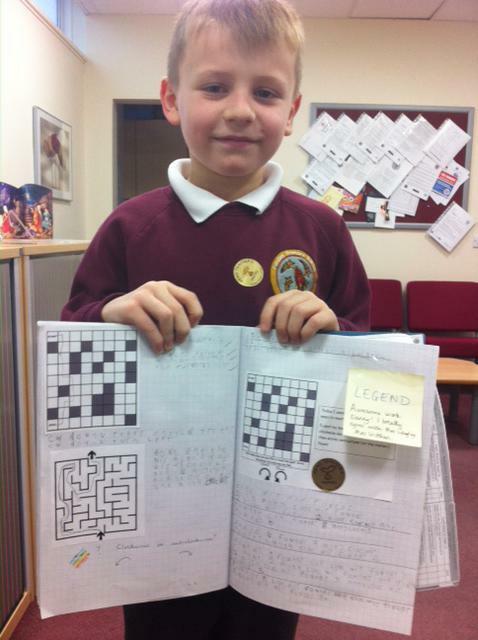 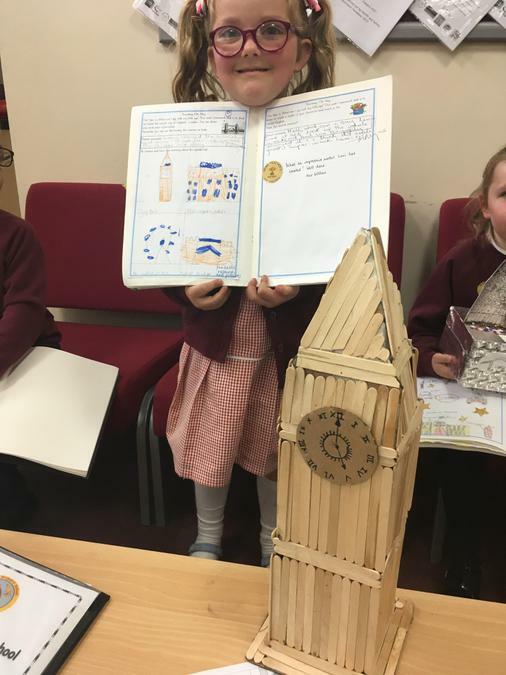 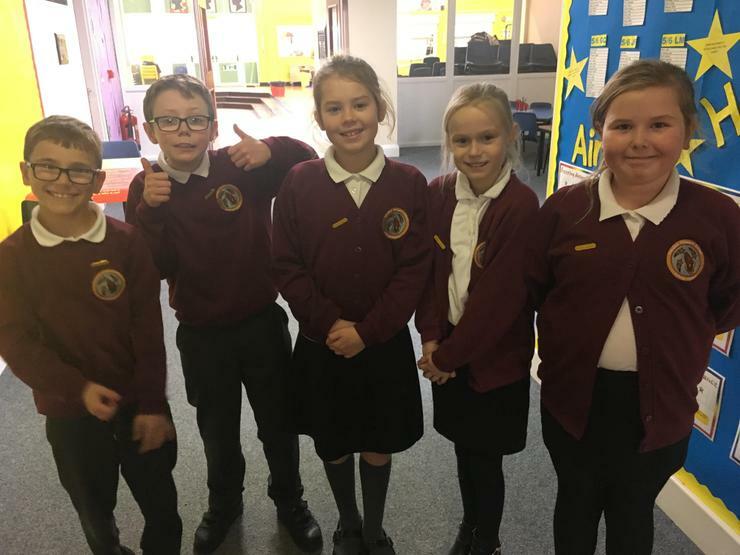 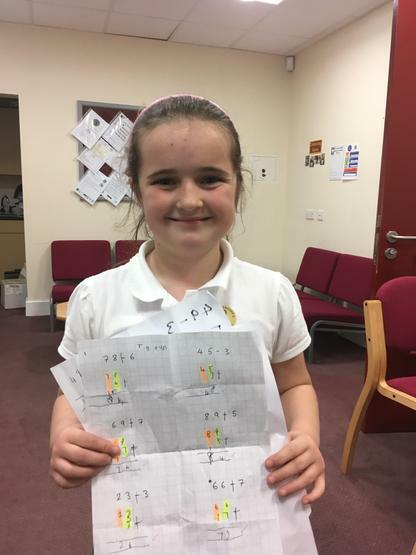 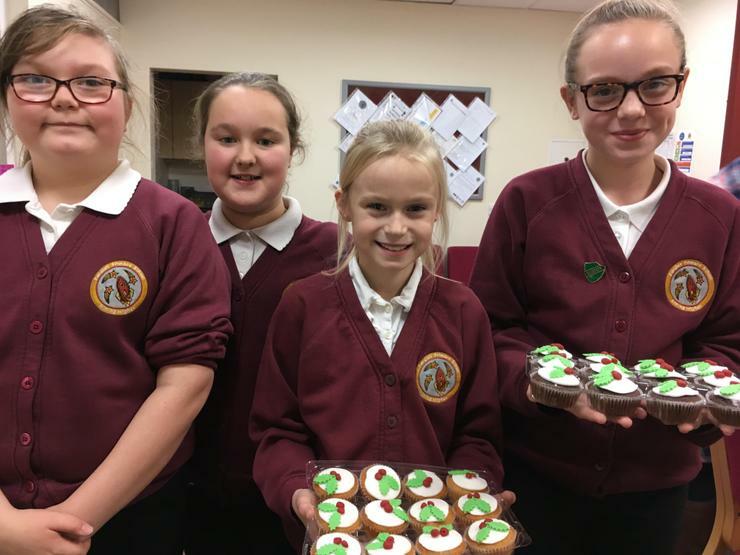 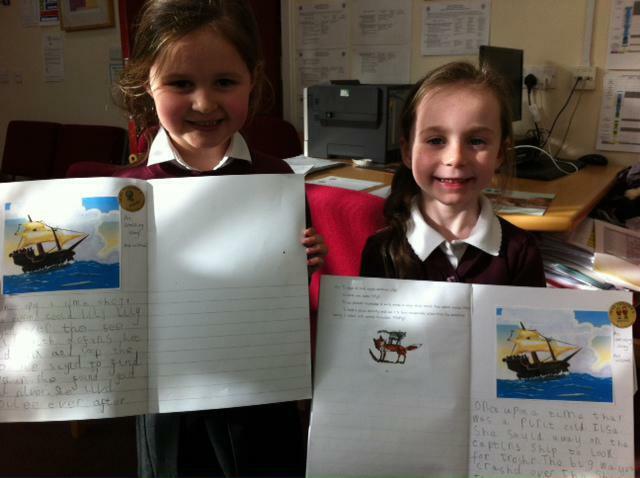 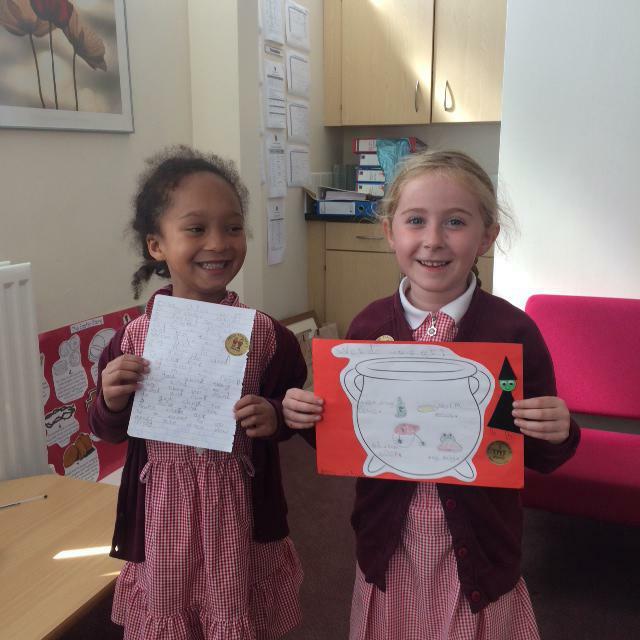 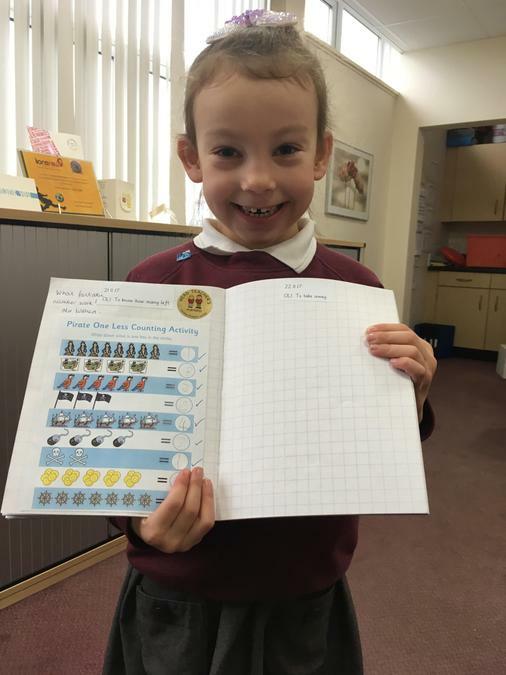 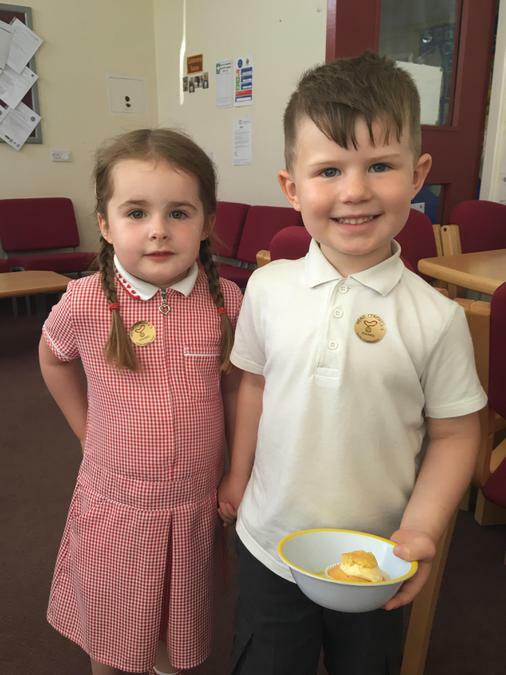 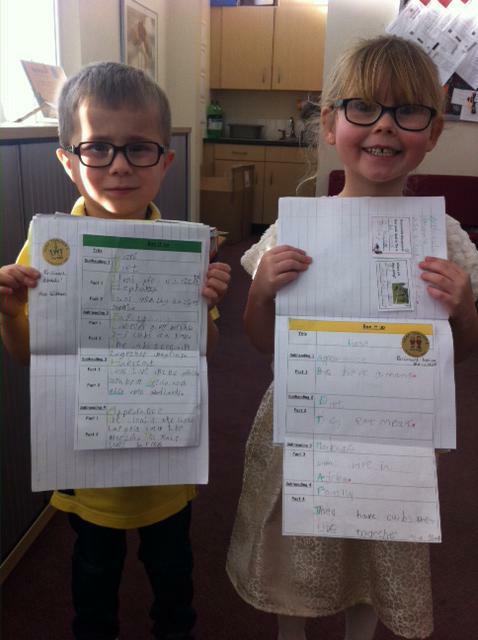 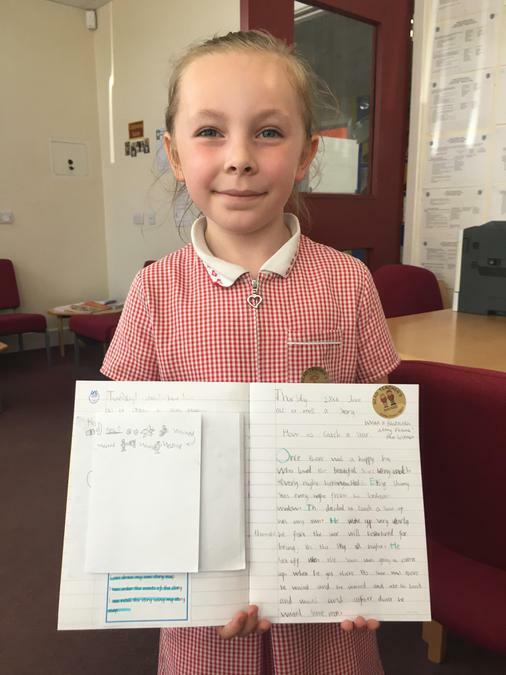 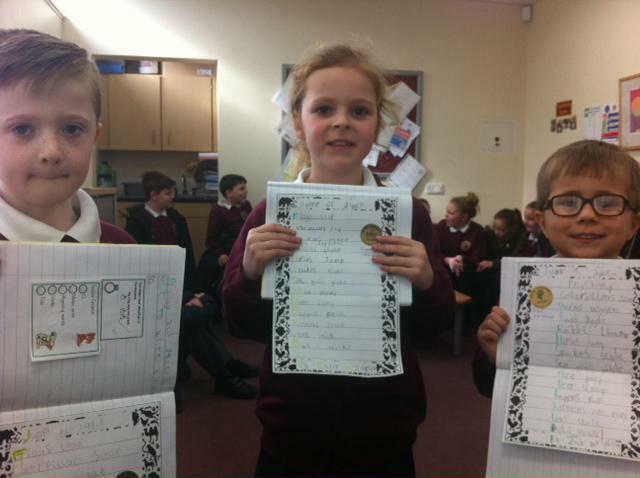 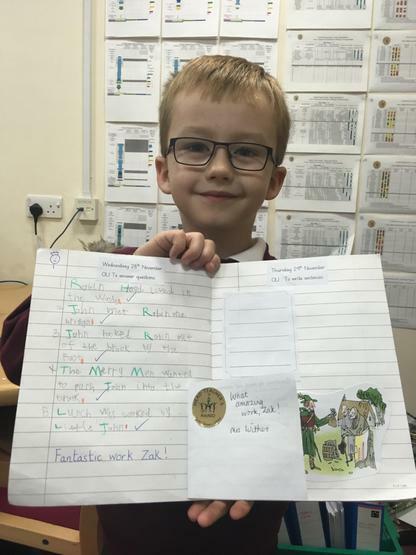 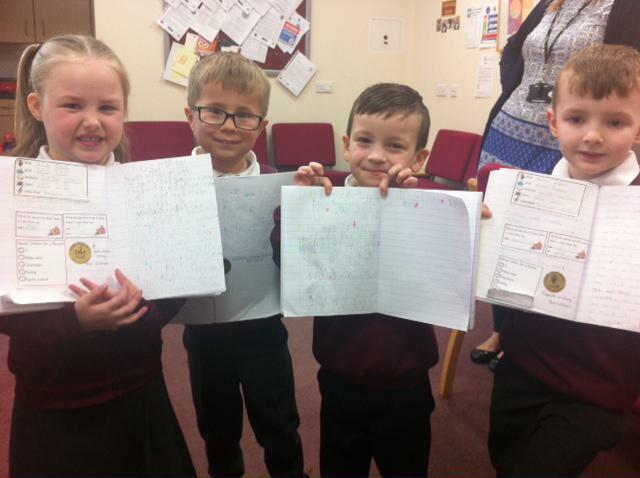 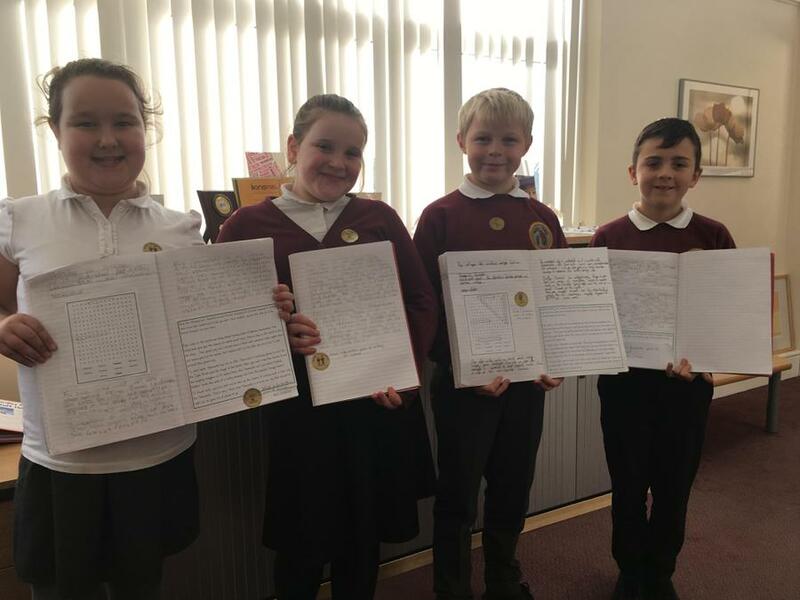 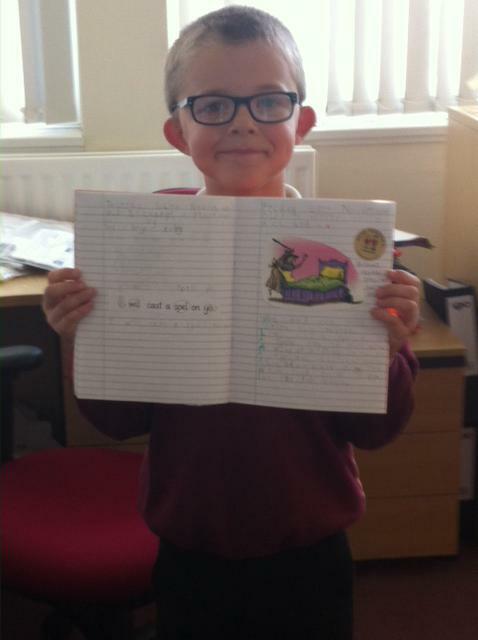 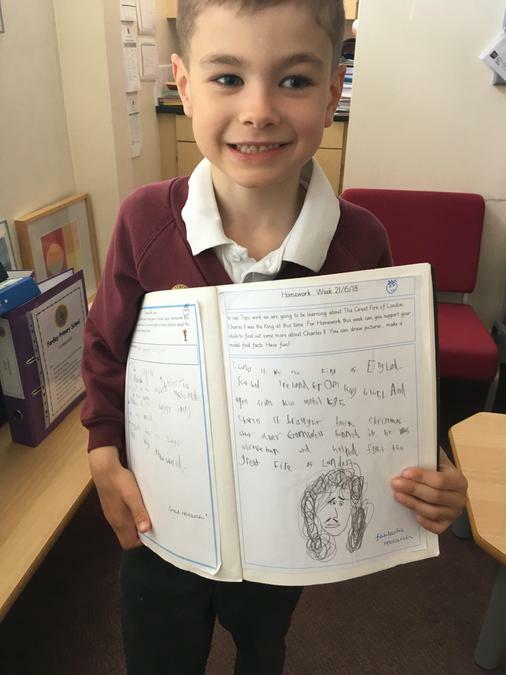 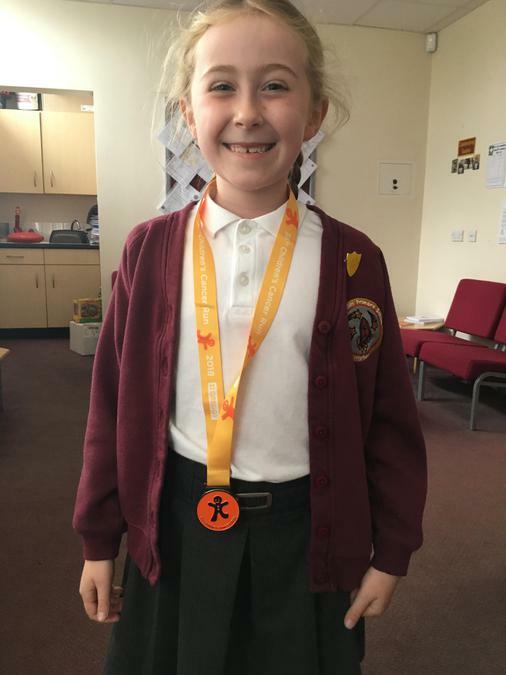 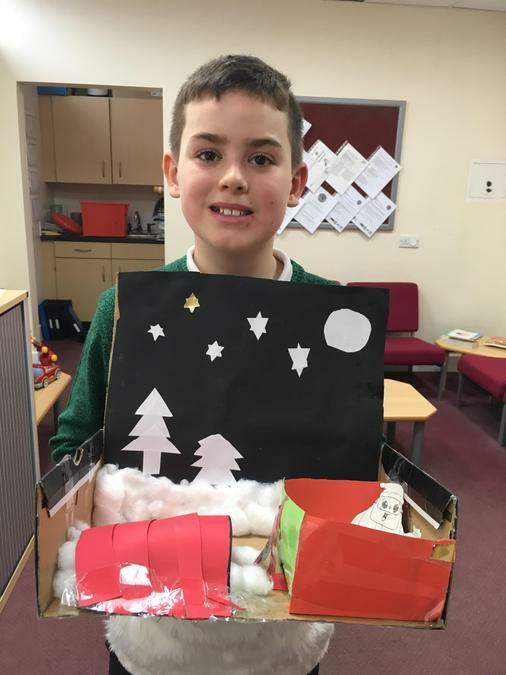 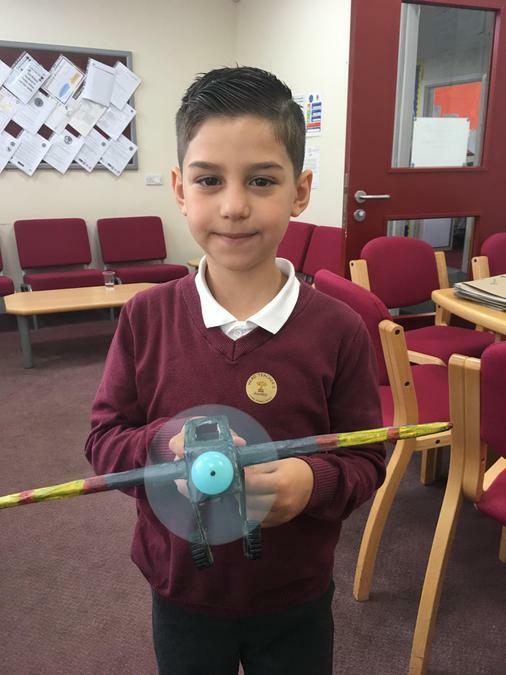 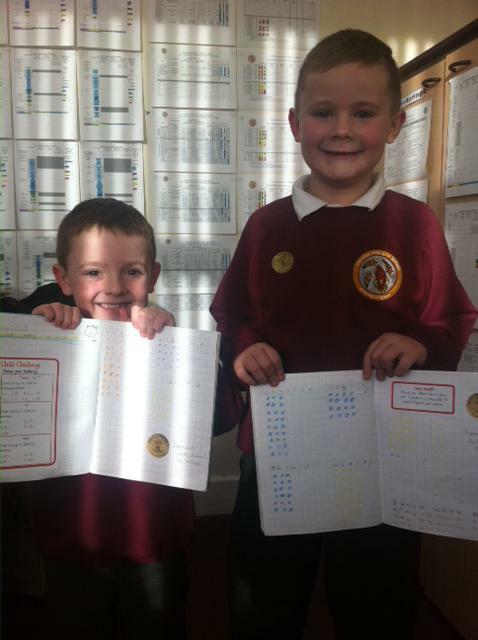 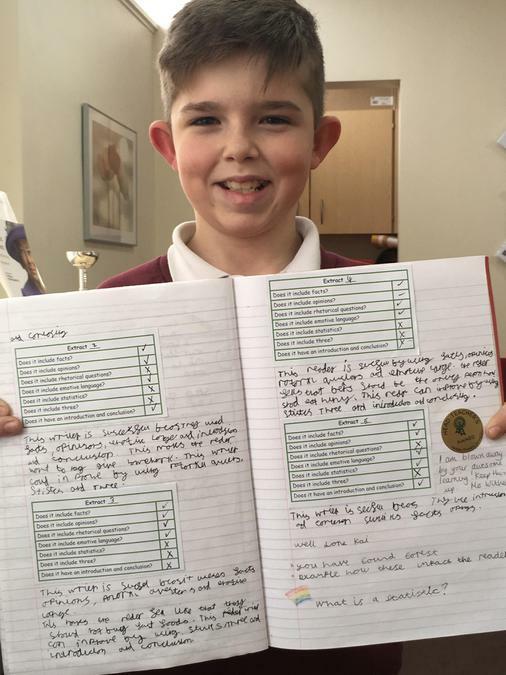 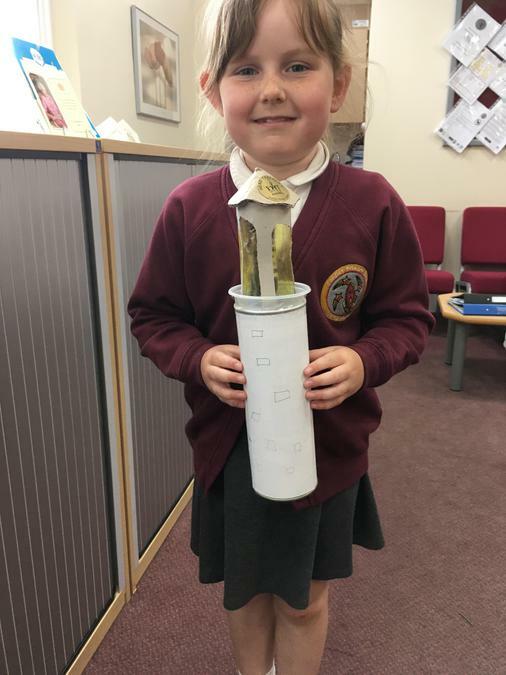 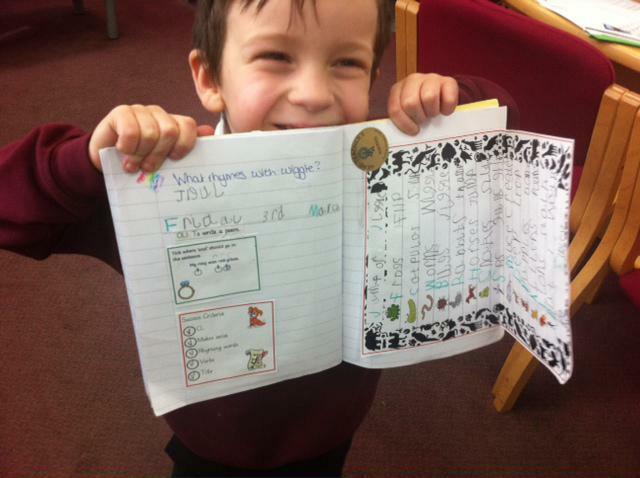 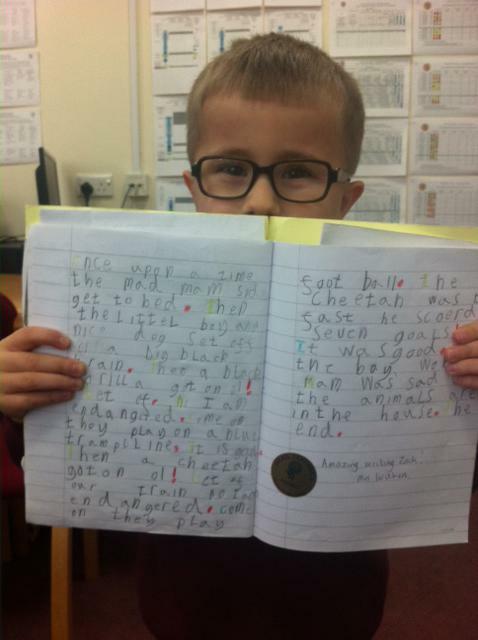 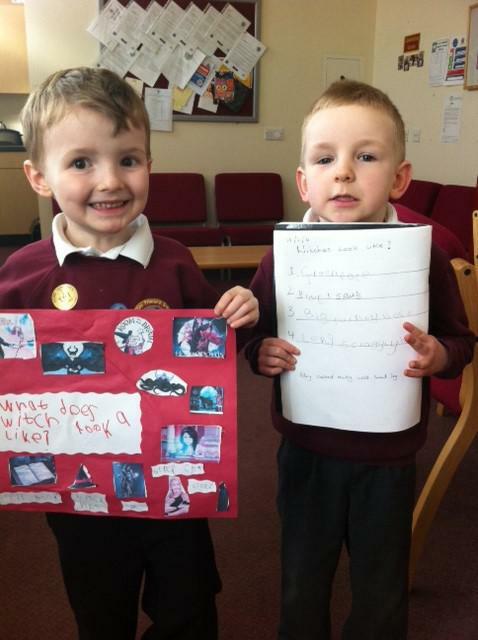 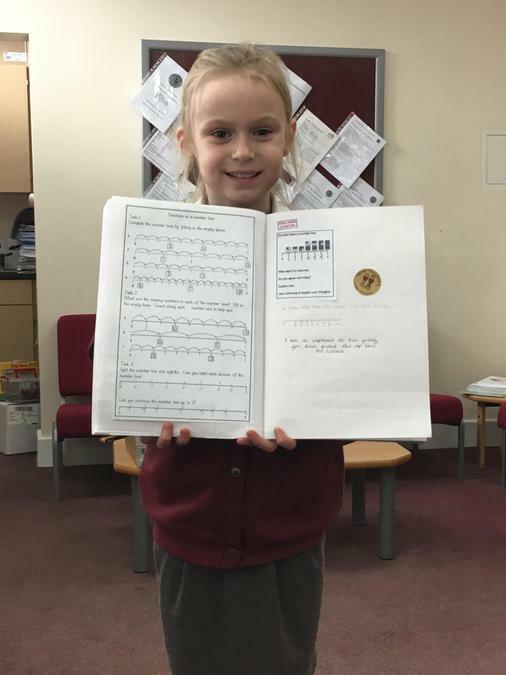 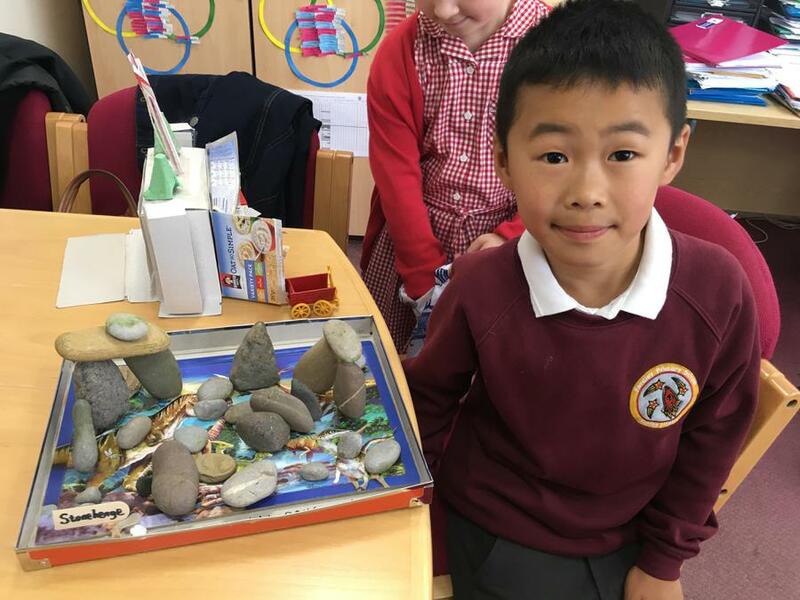 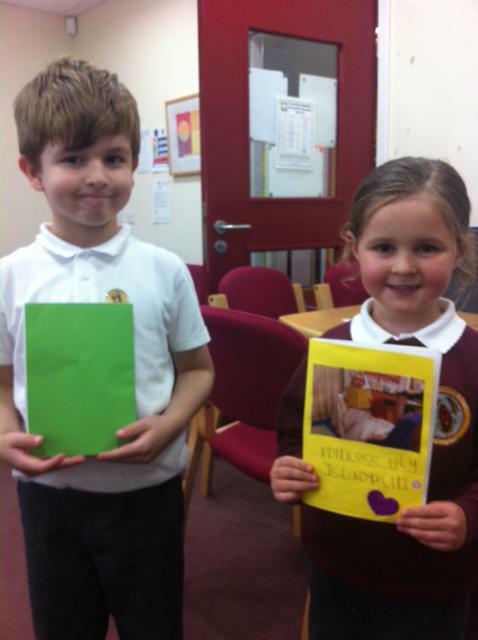 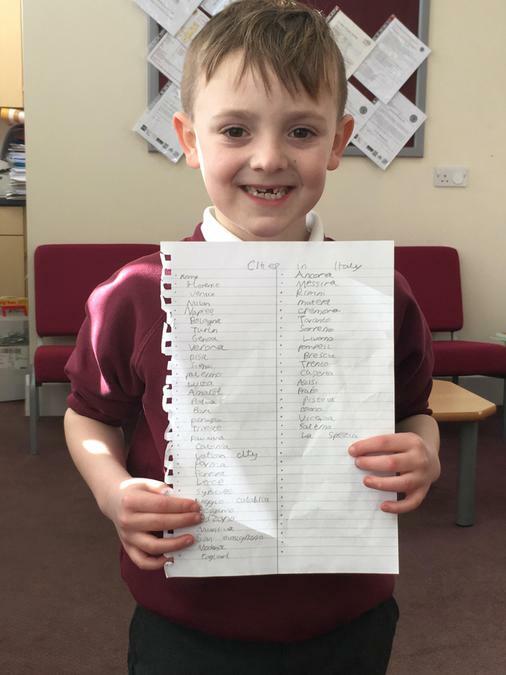 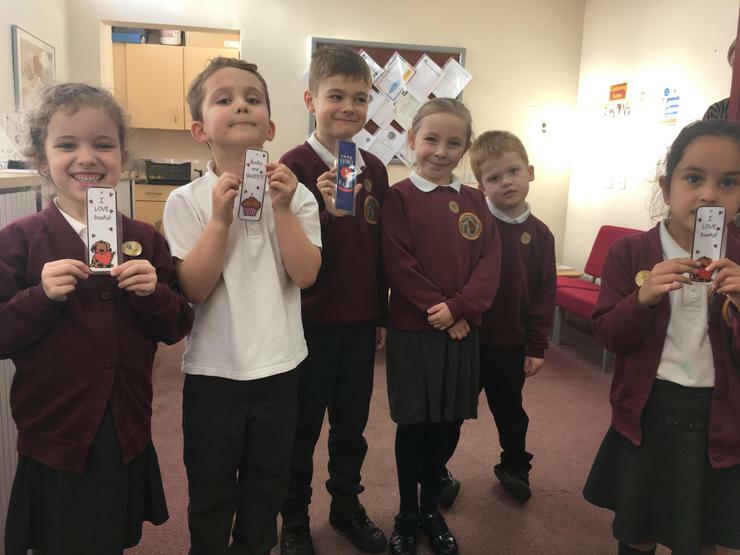 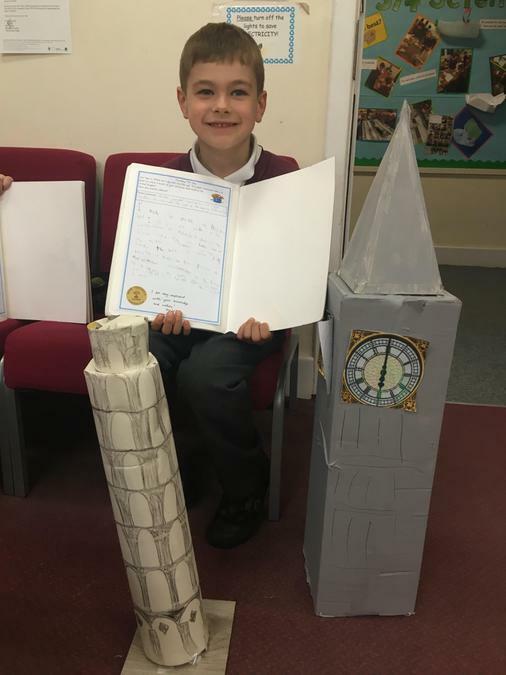 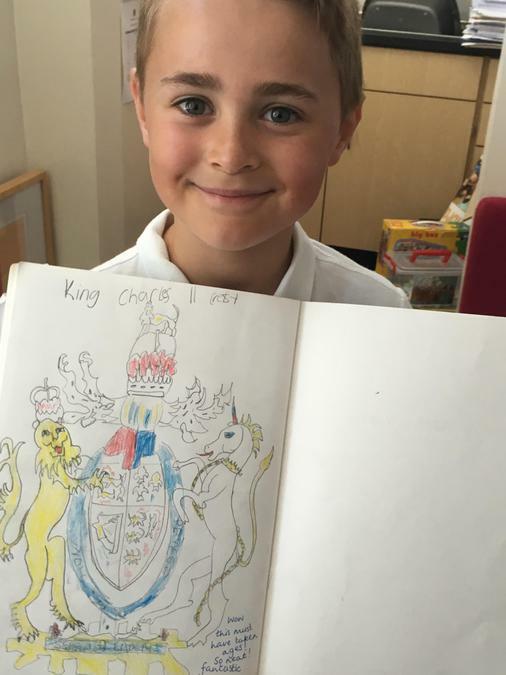 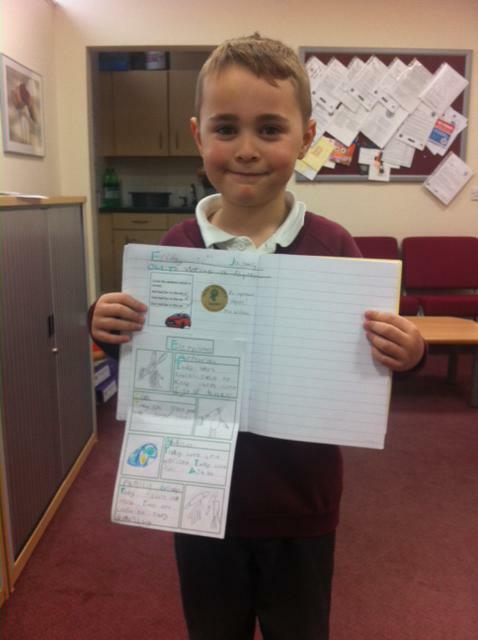 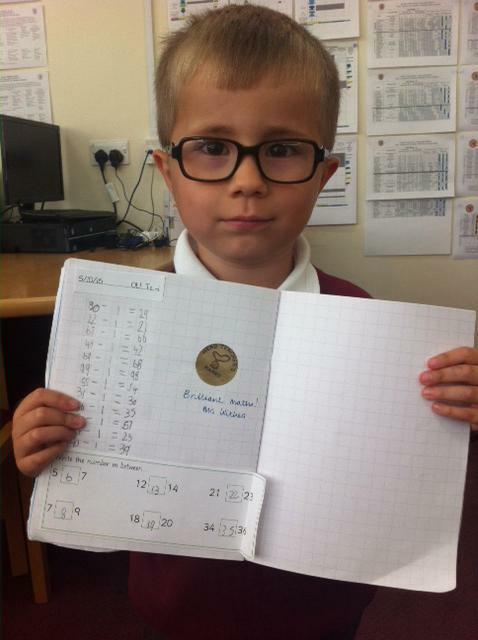 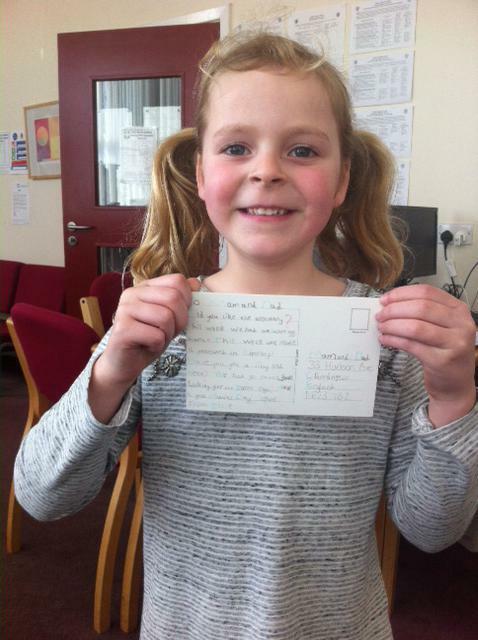 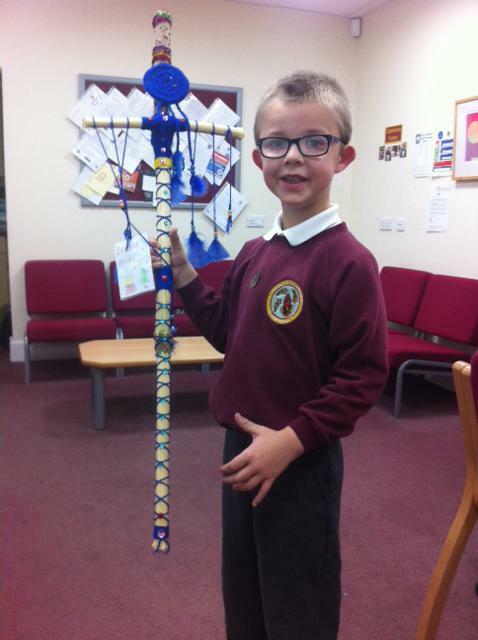 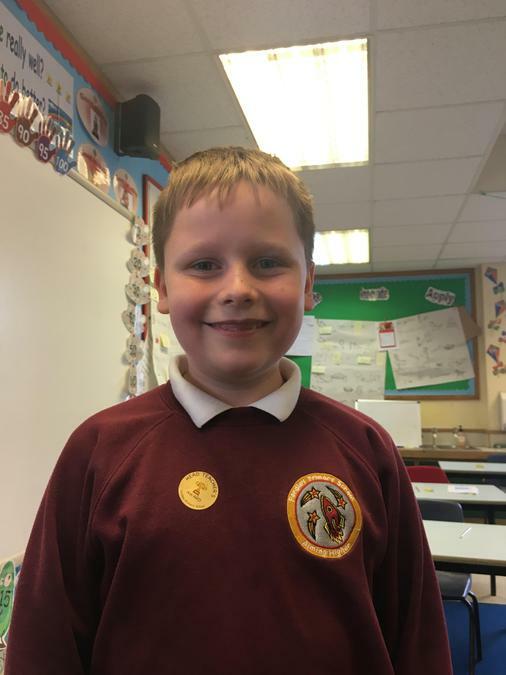 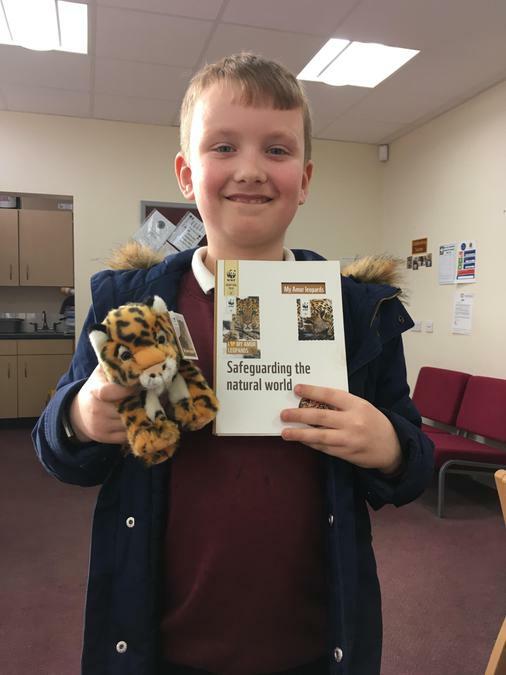 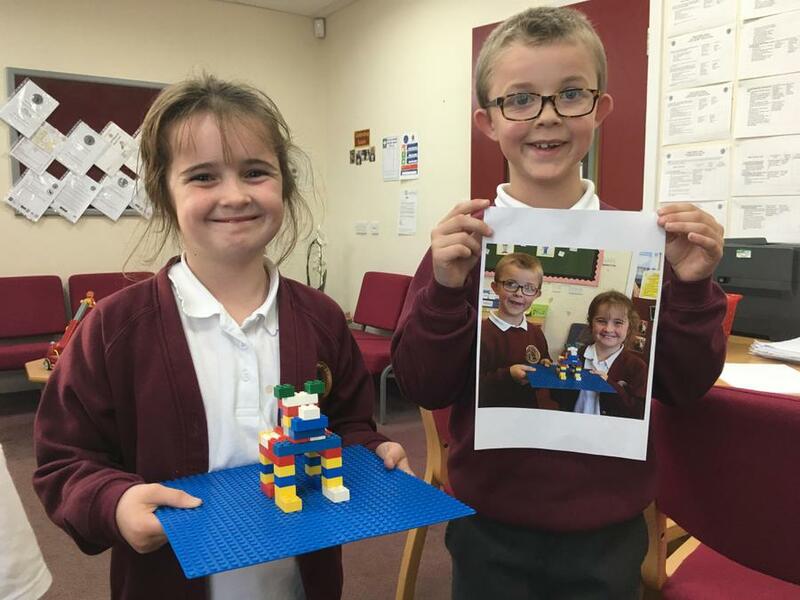 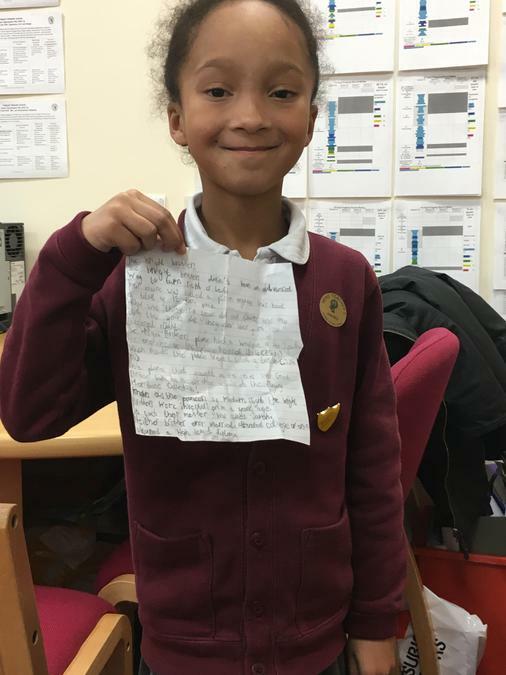 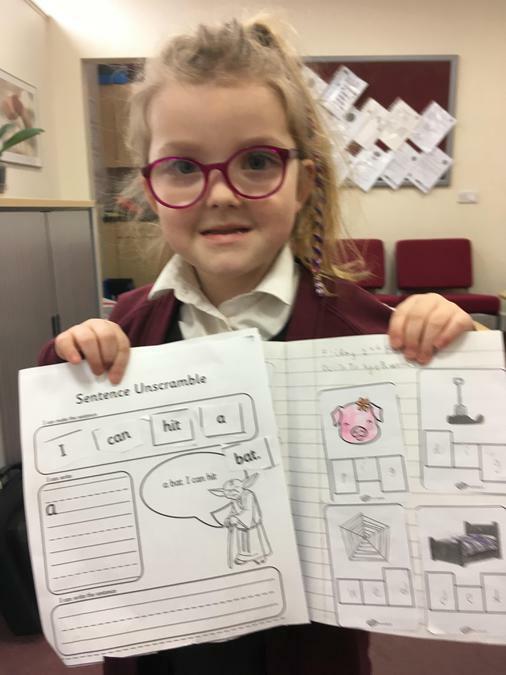 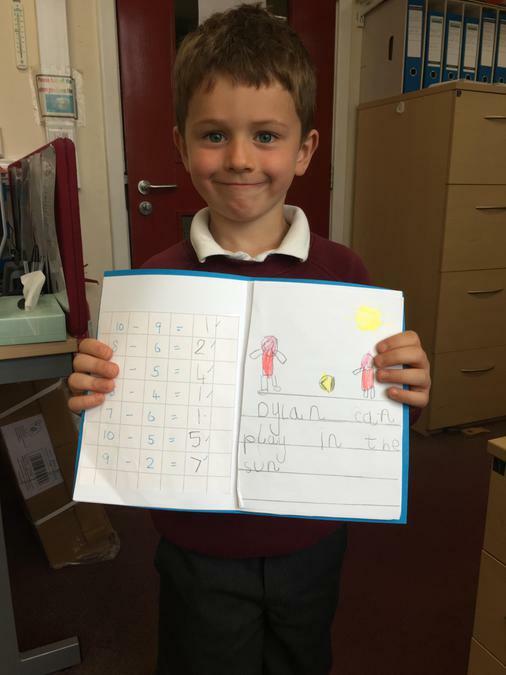 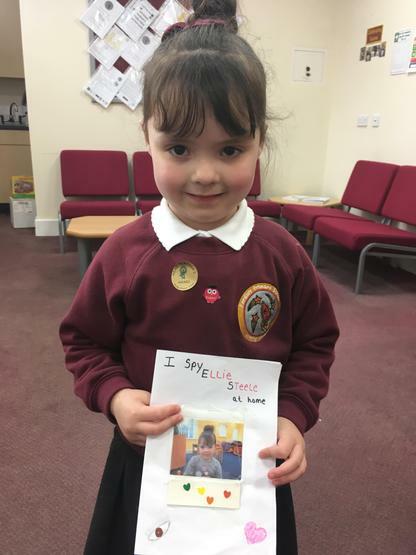 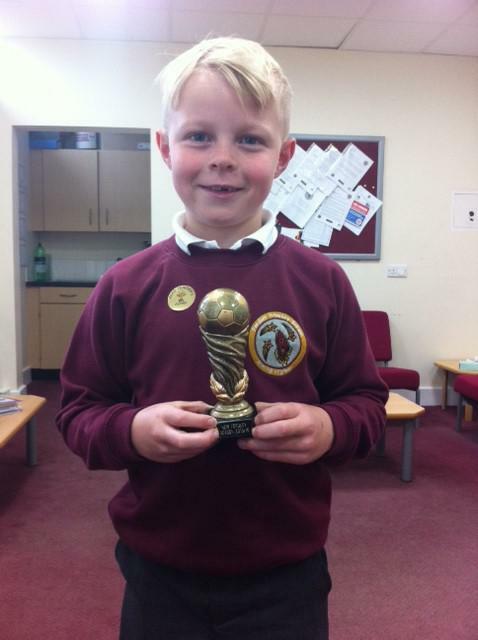 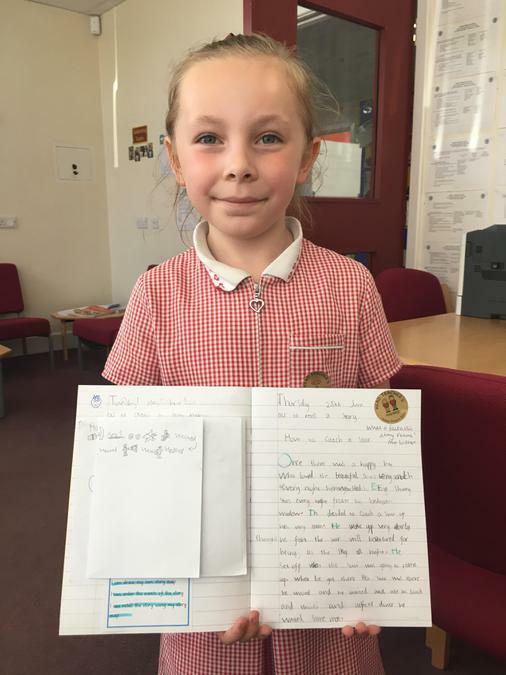 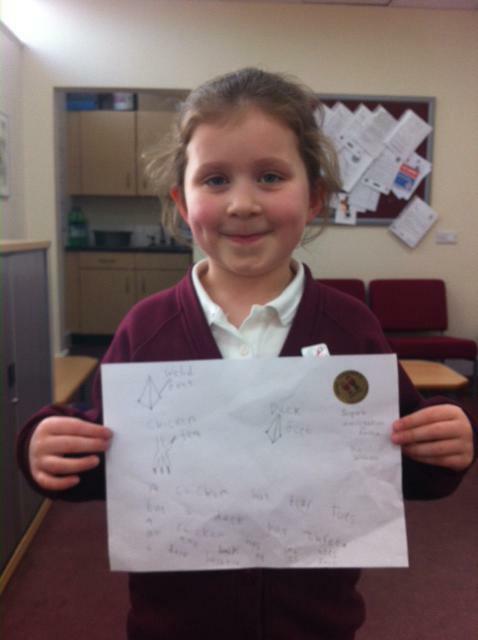 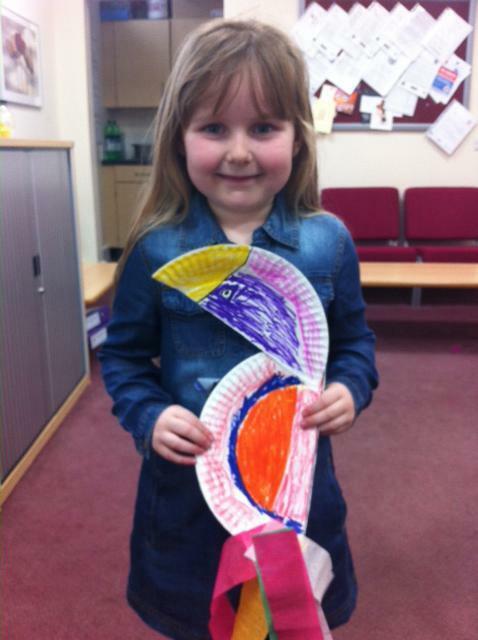 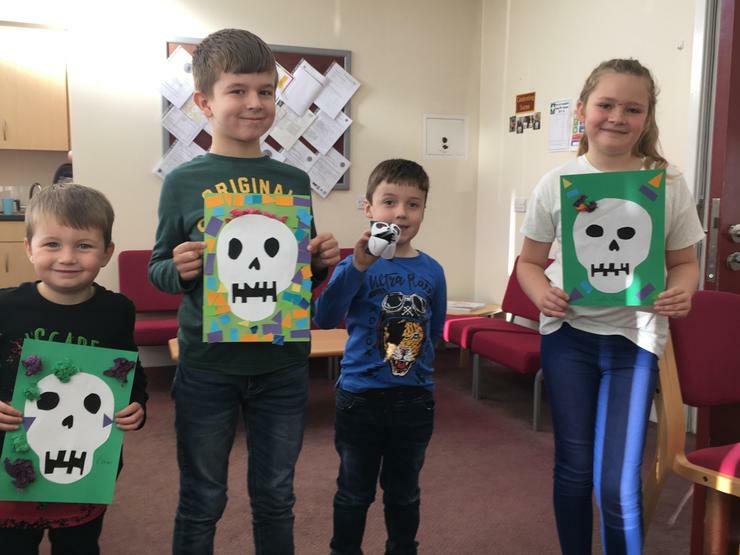 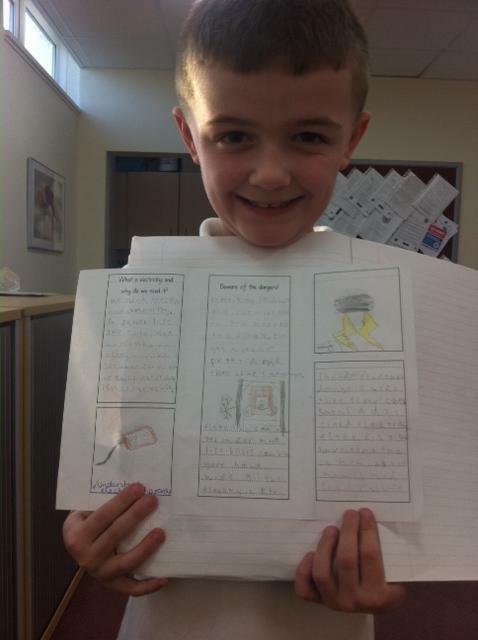 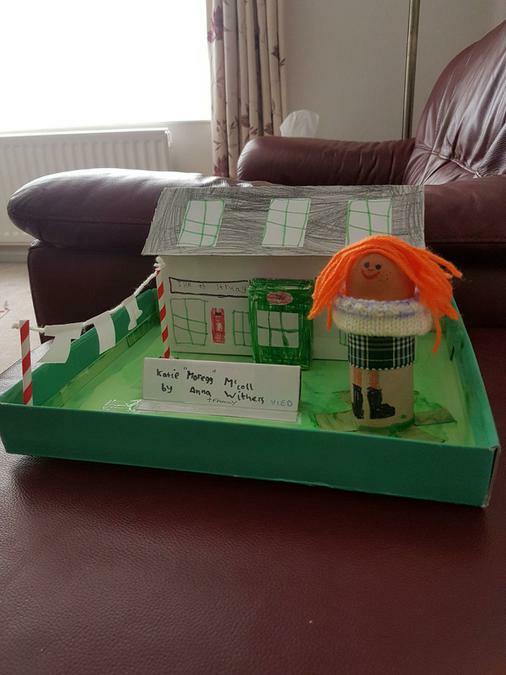 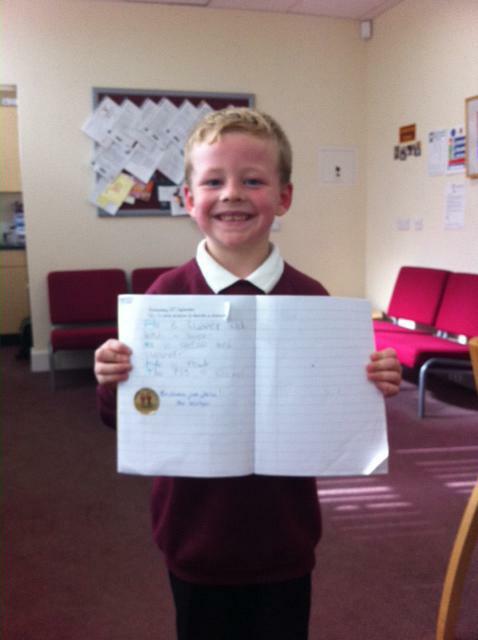 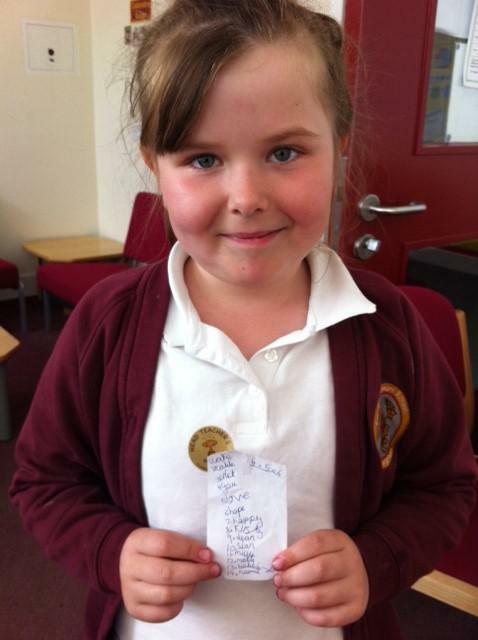 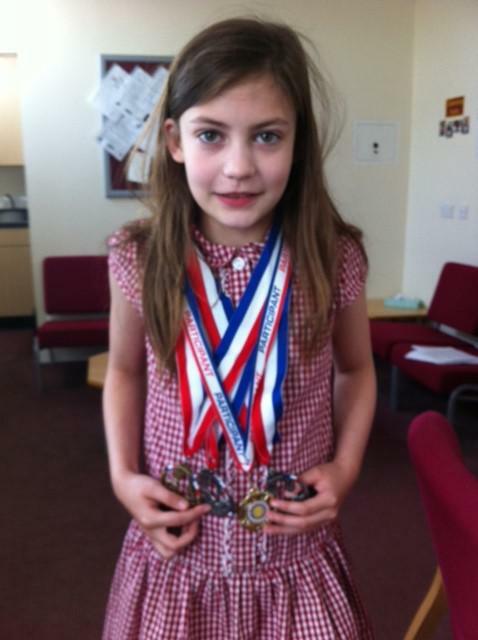 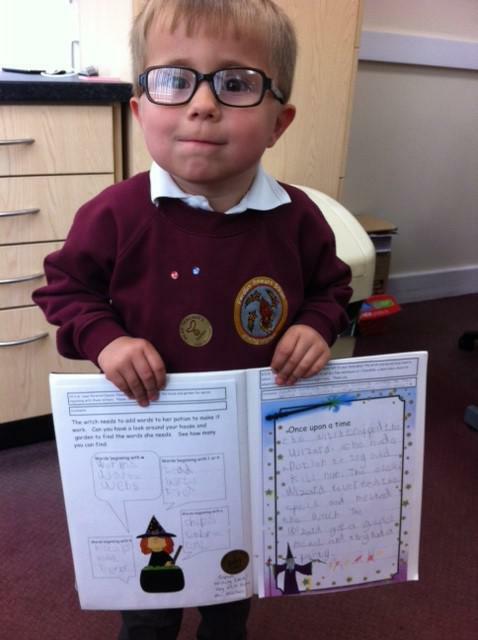 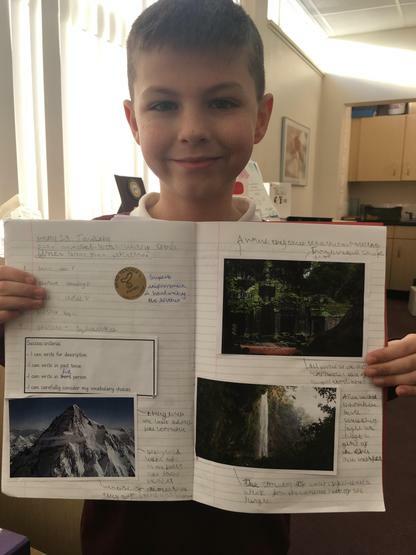 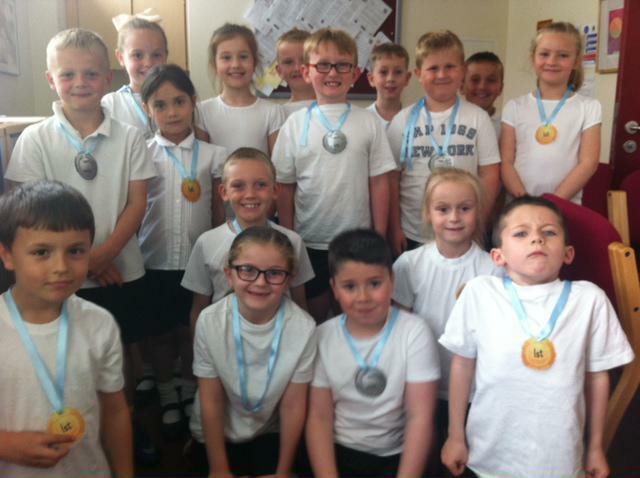 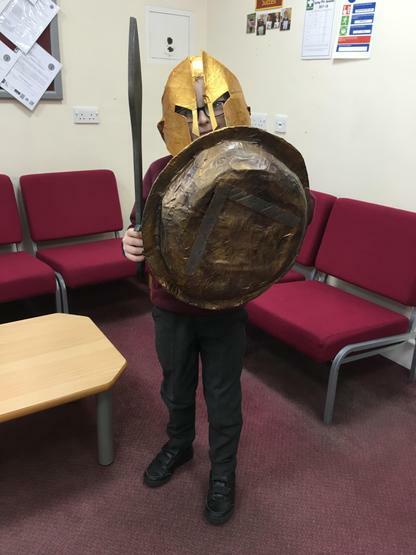 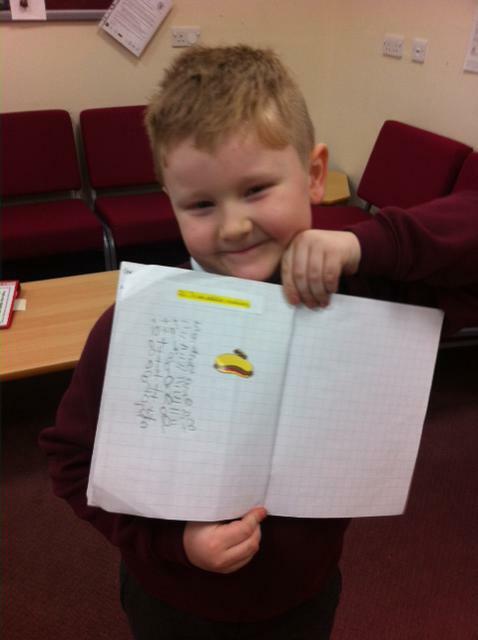 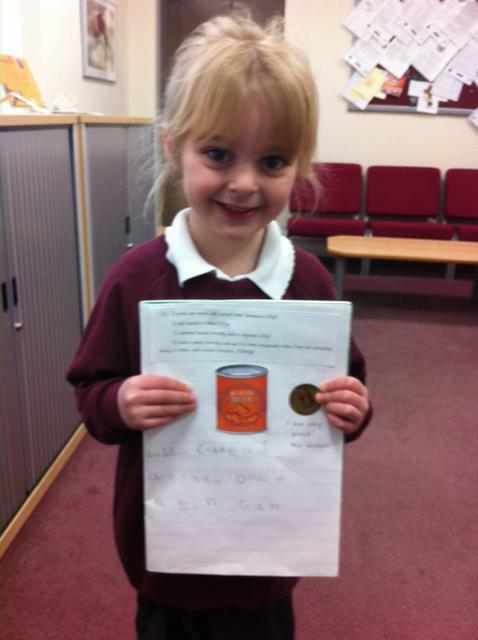 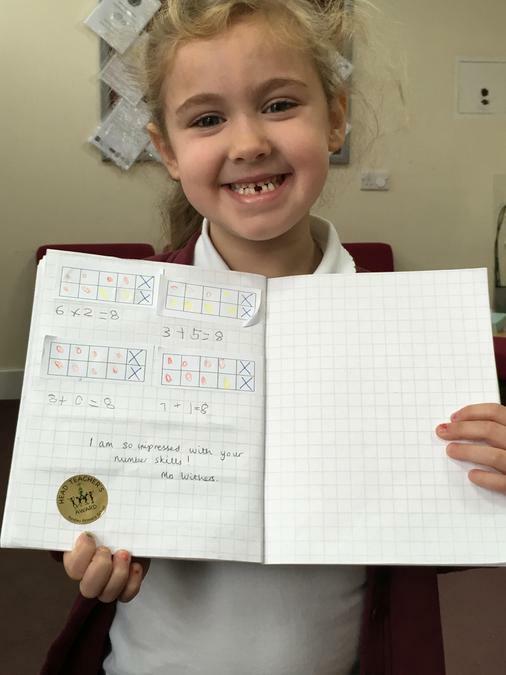 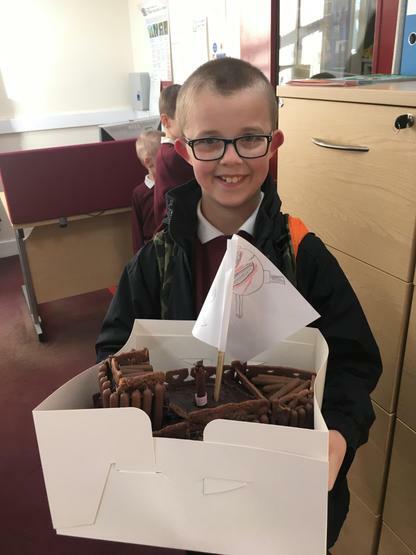 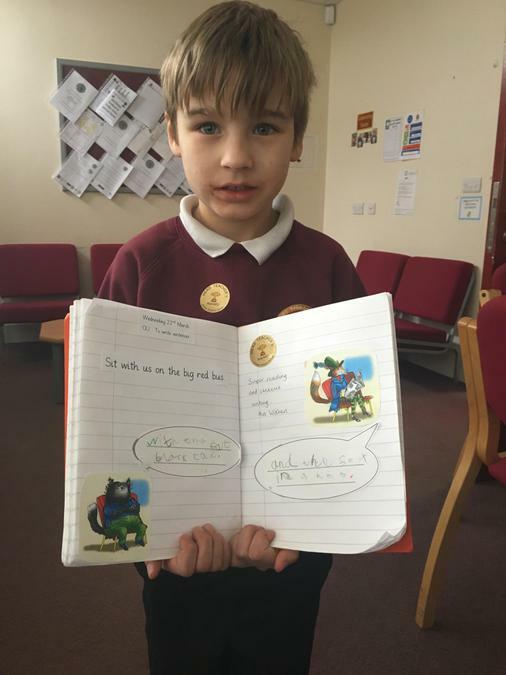 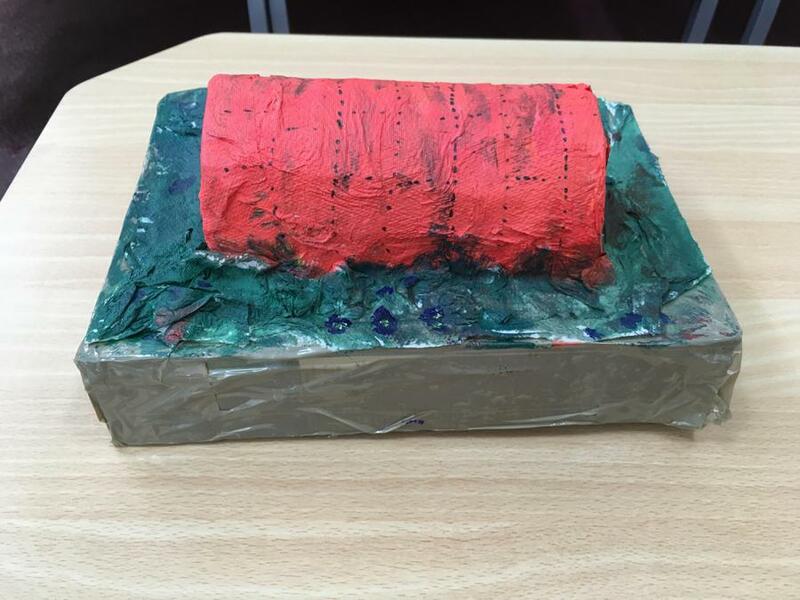 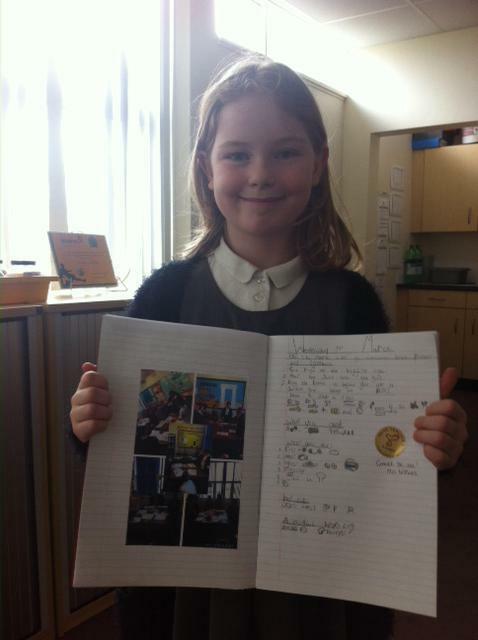 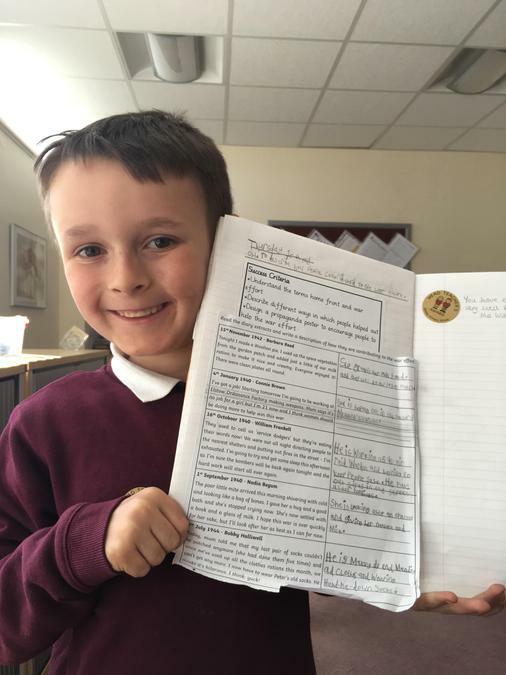 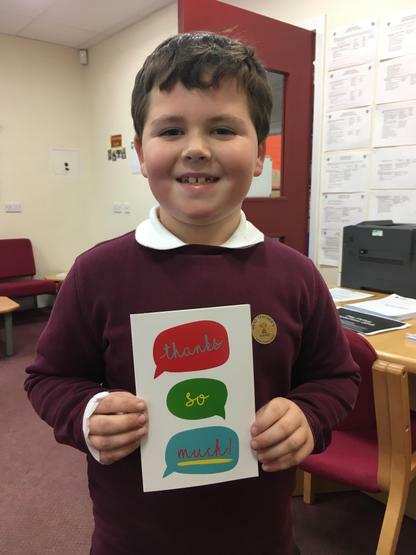 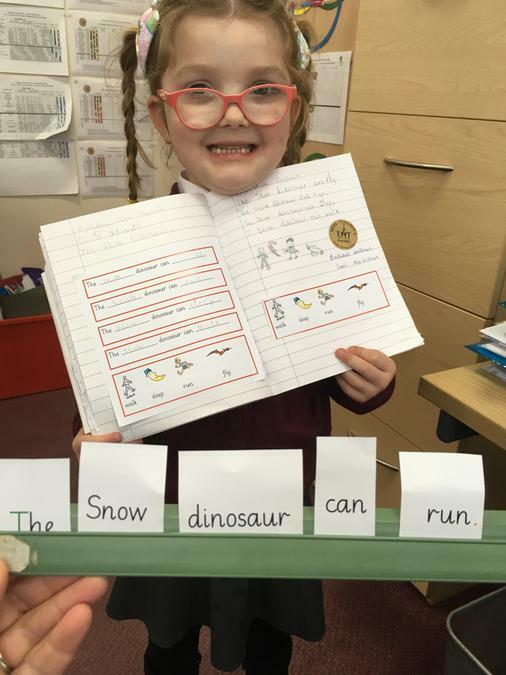 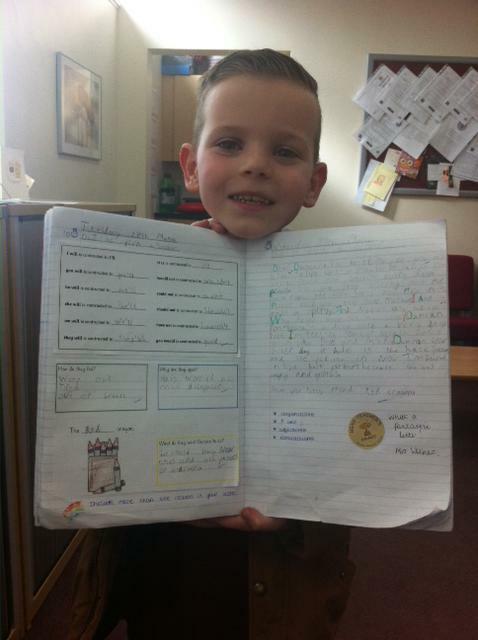 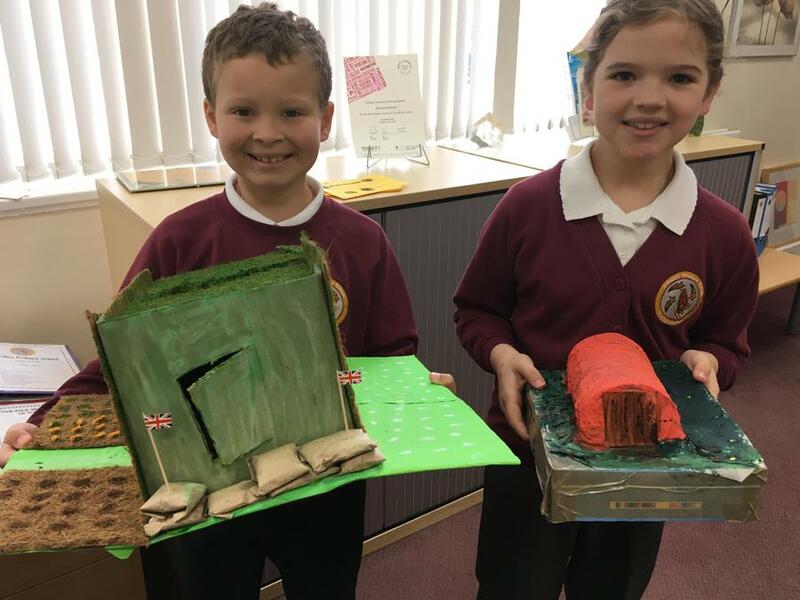 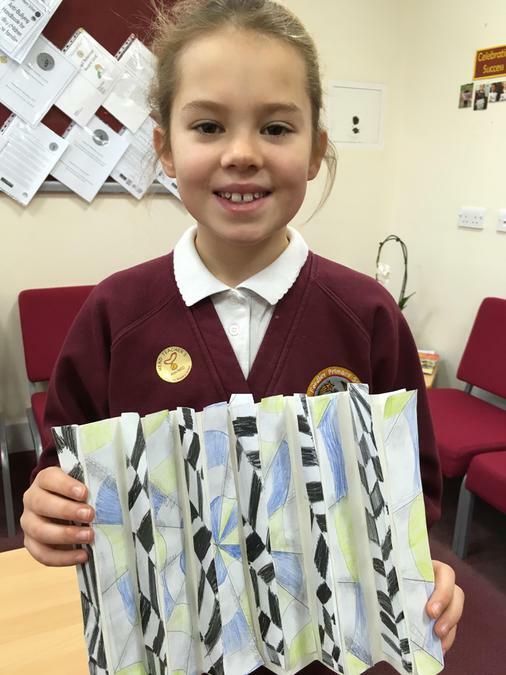 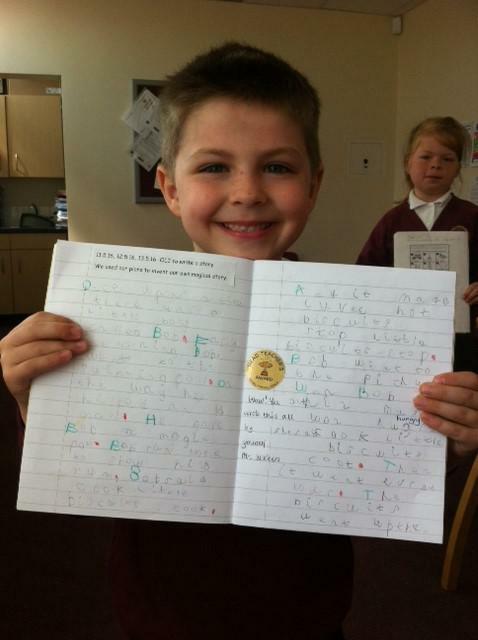 March 6th 2015 - Visitors to my office this week included amazing writing from Y1 and Y5, fabulous learning in Reception and a first place trophy for curling! 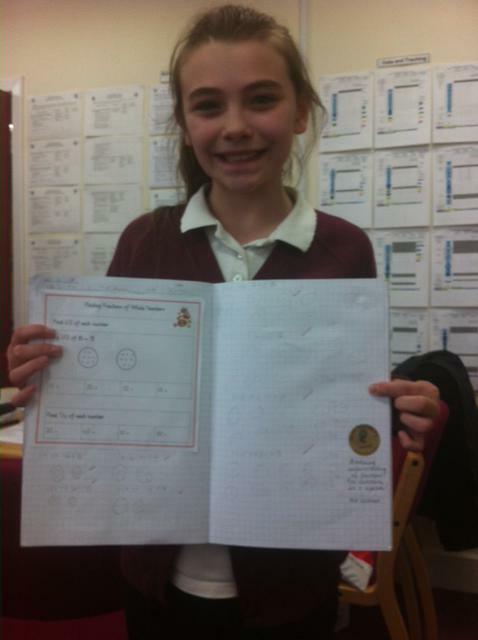 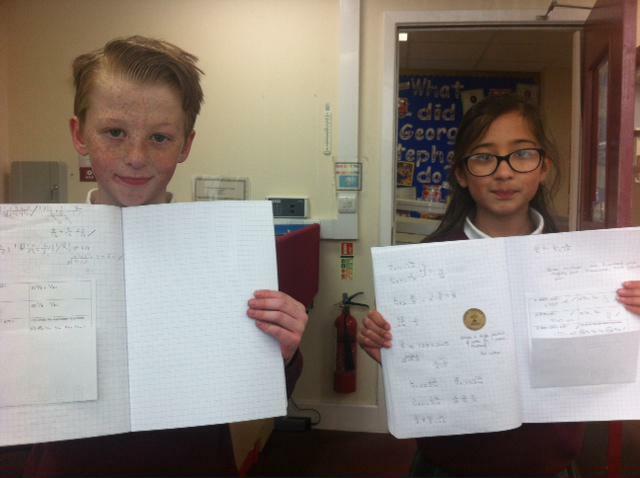 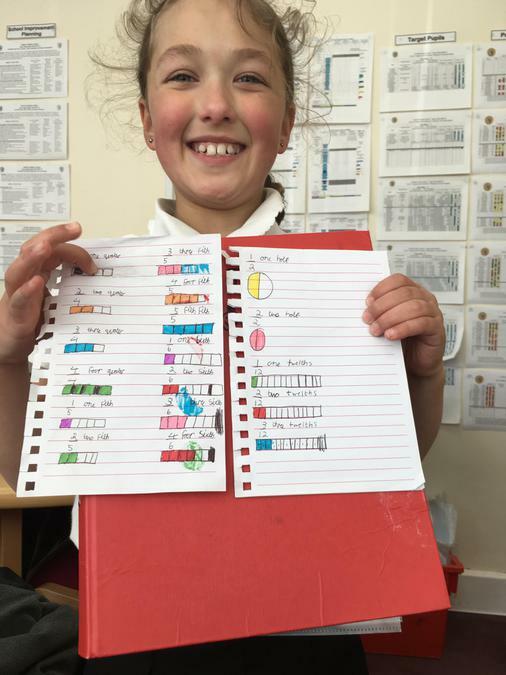 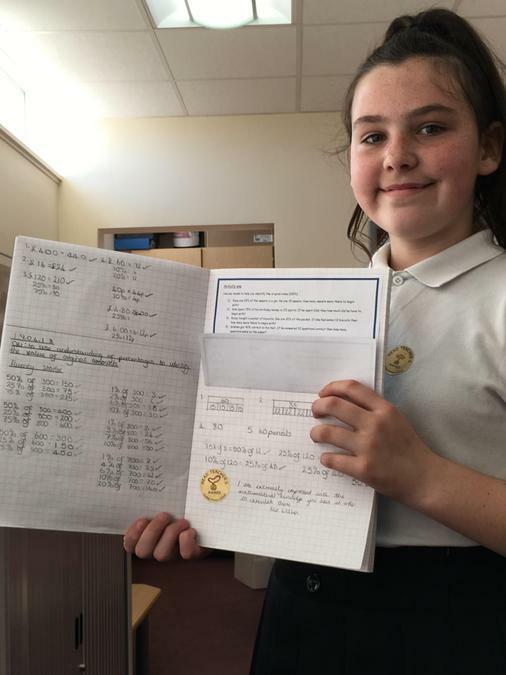 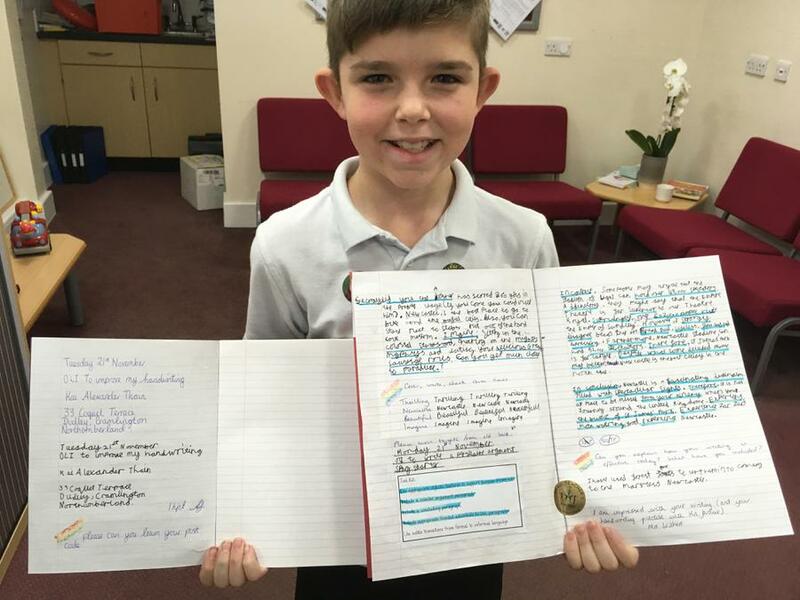 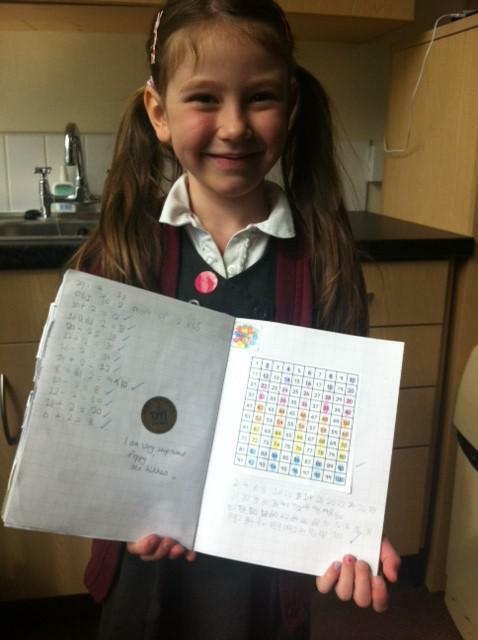 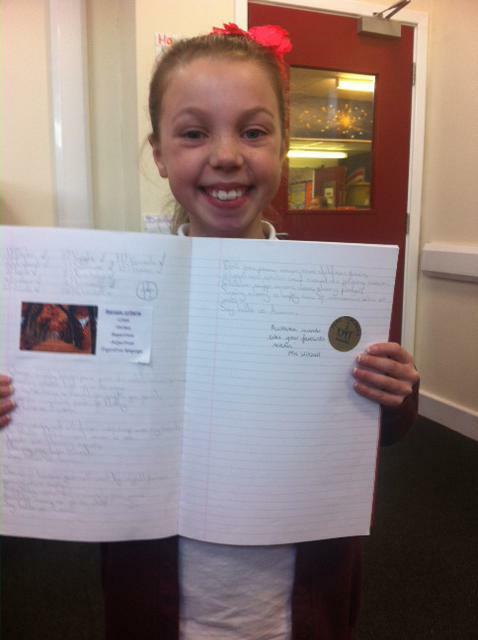 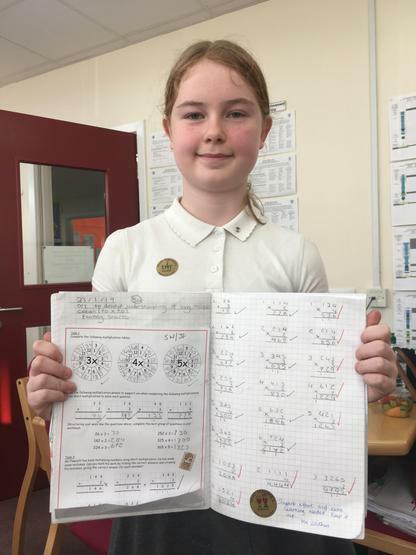 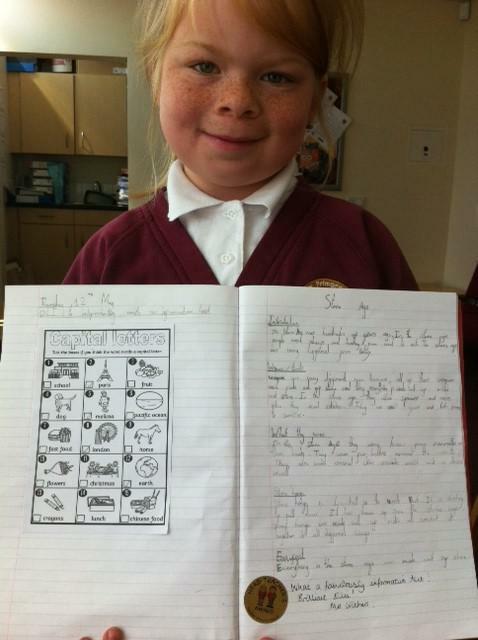 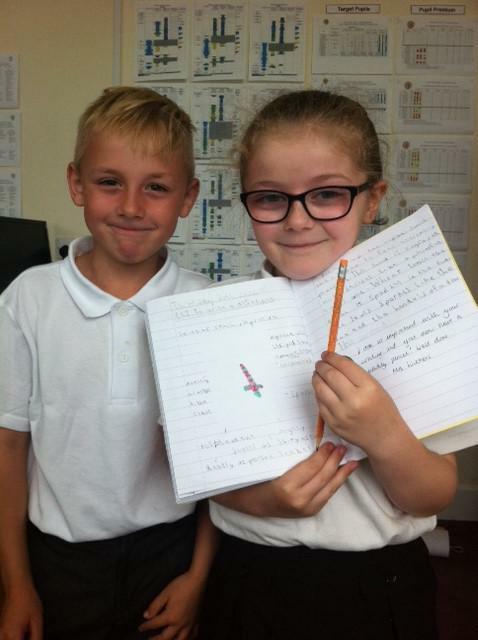 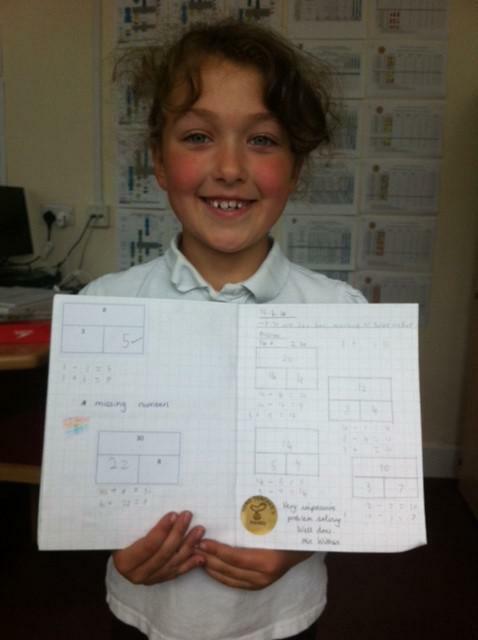 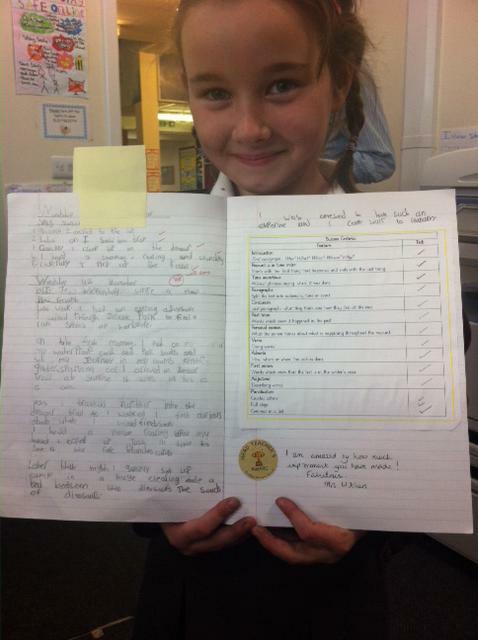 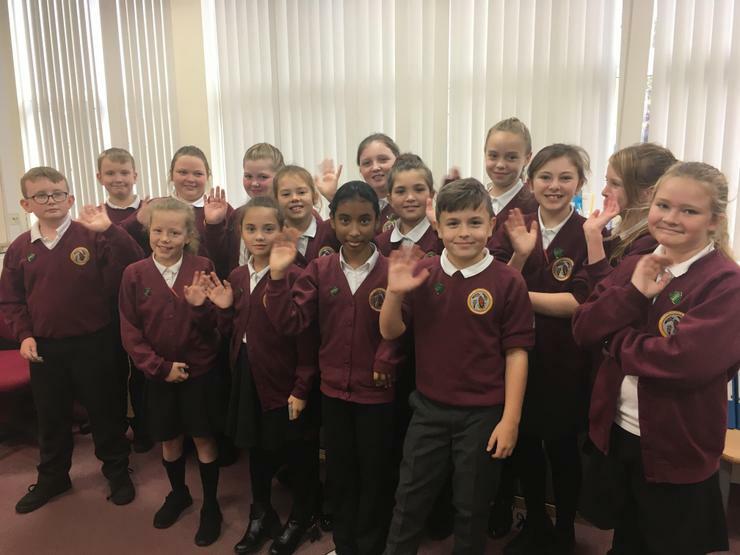 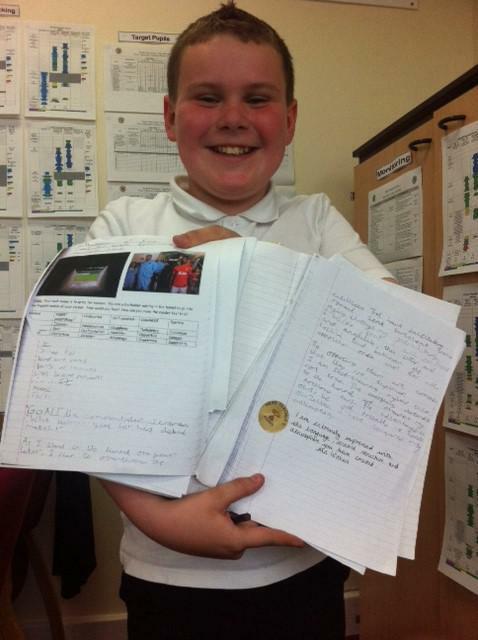 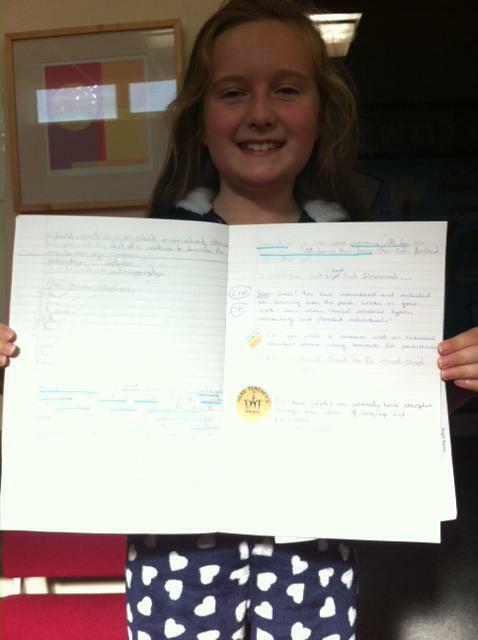 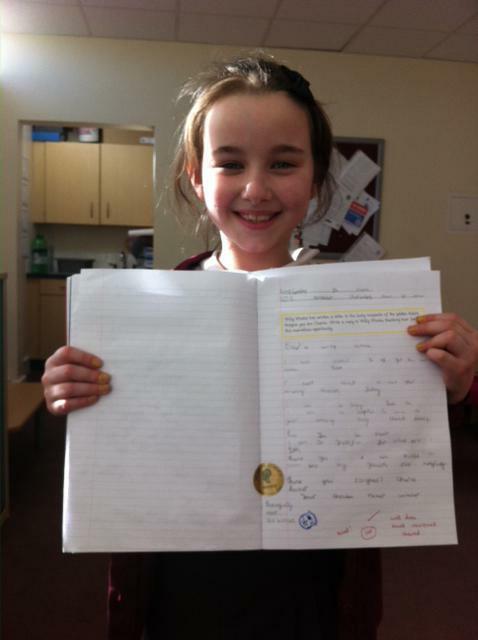 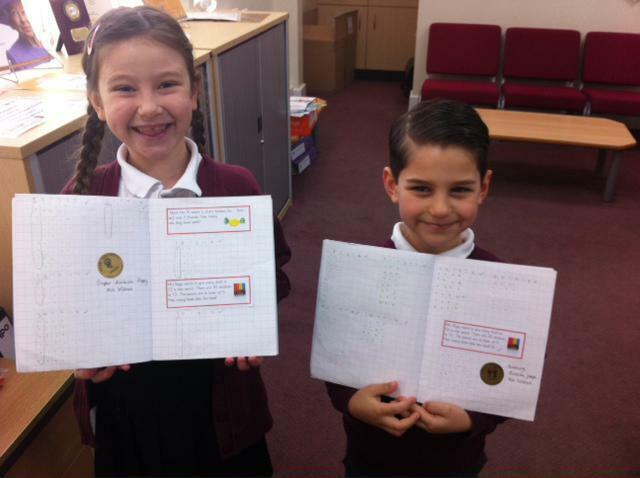 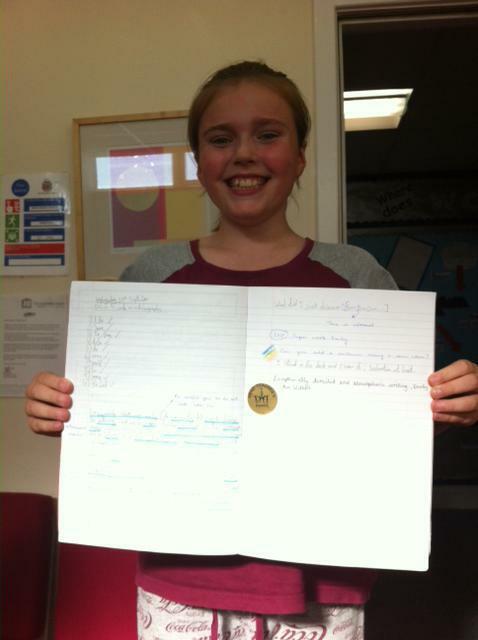 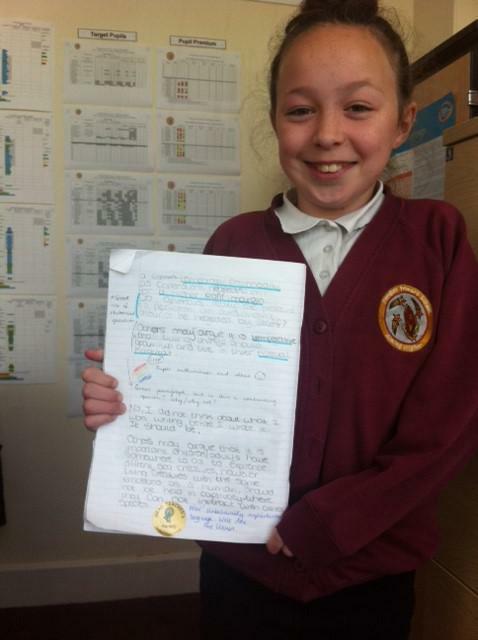 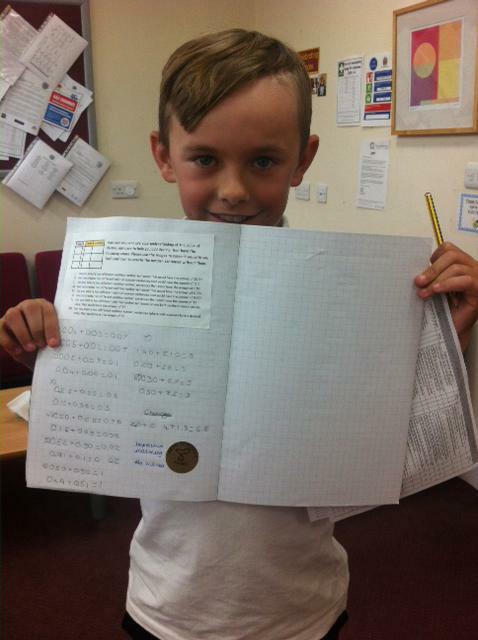 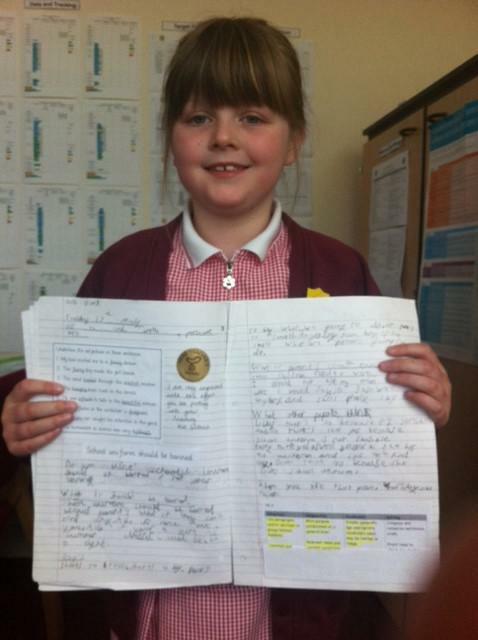 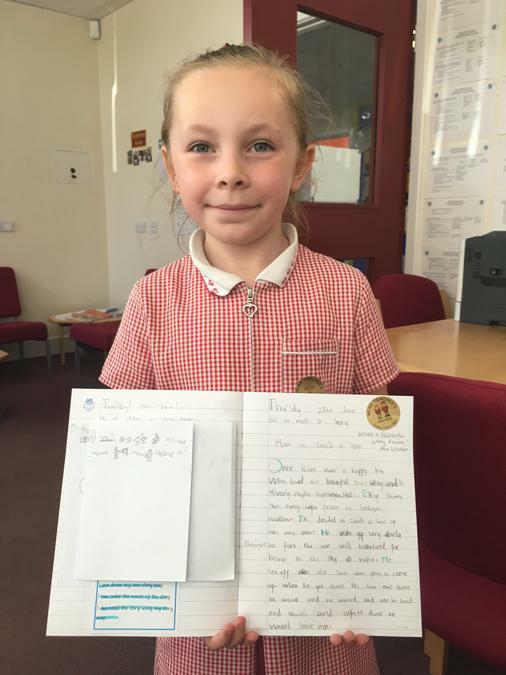 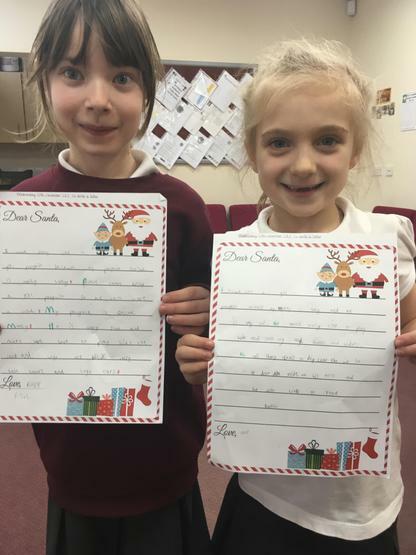 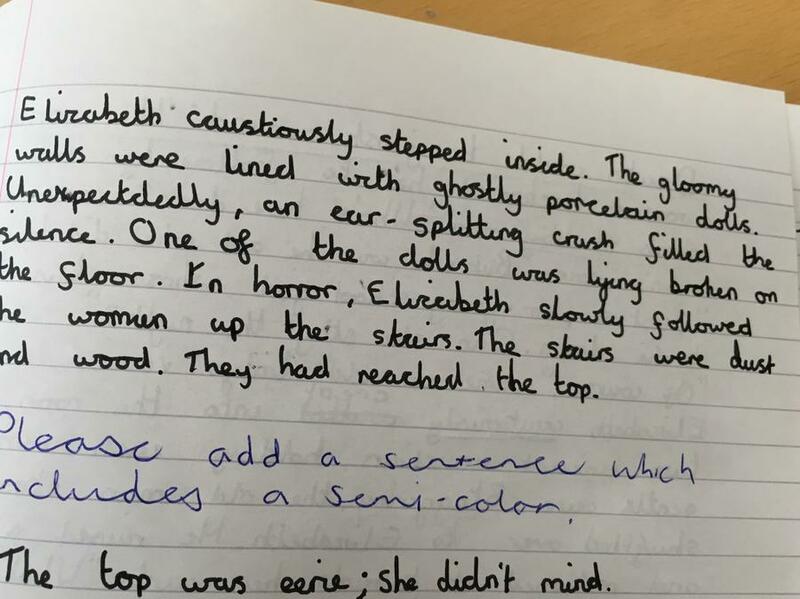 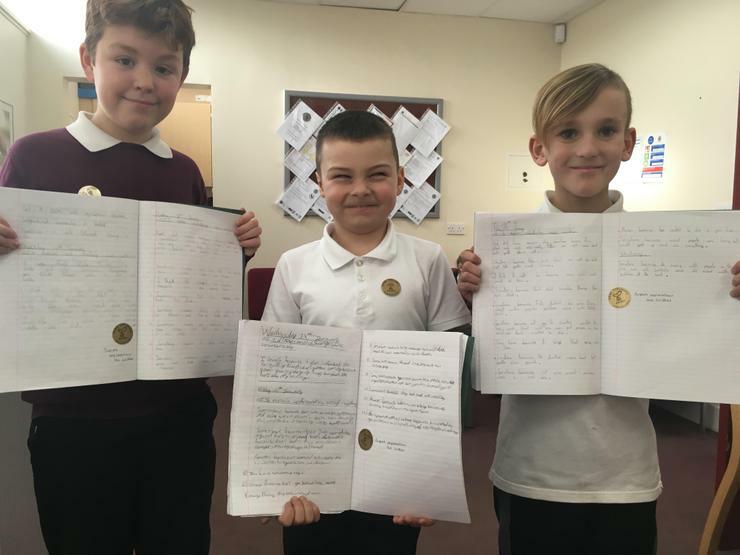 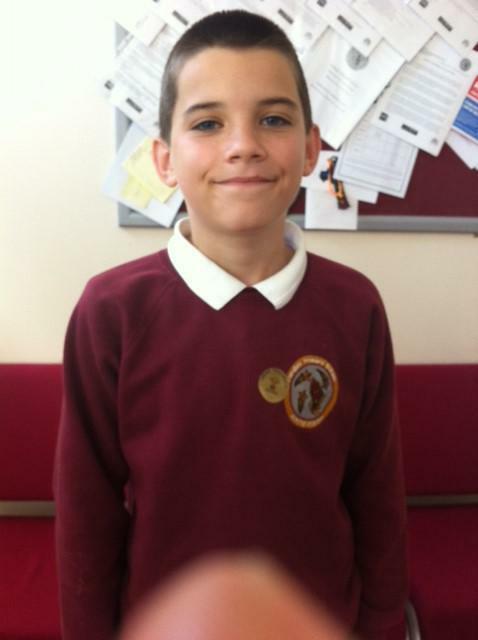 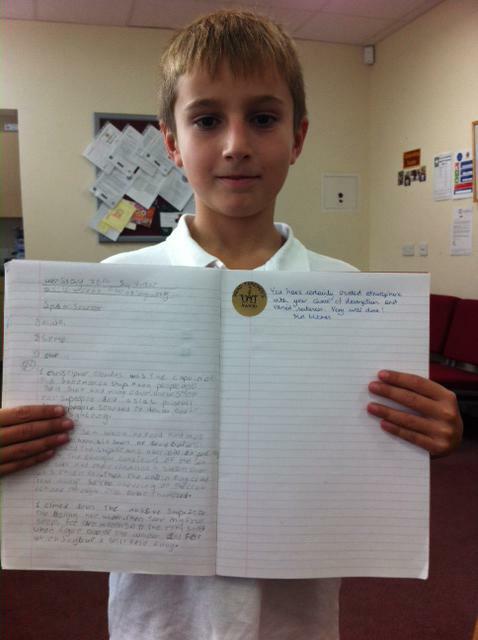 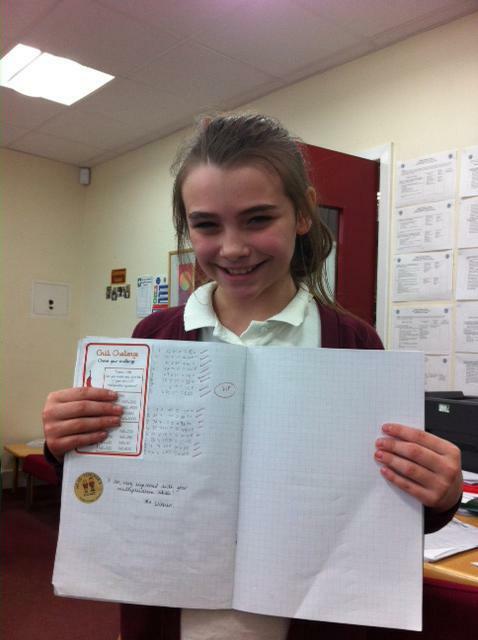 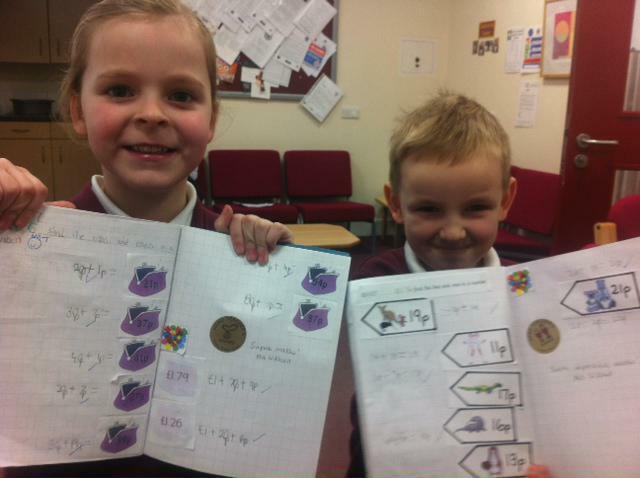 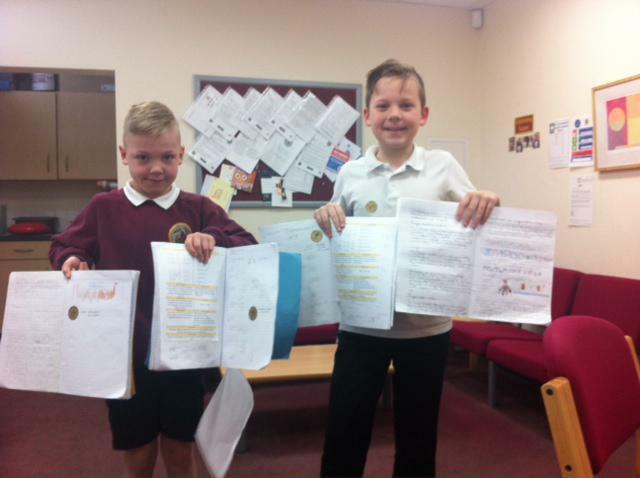 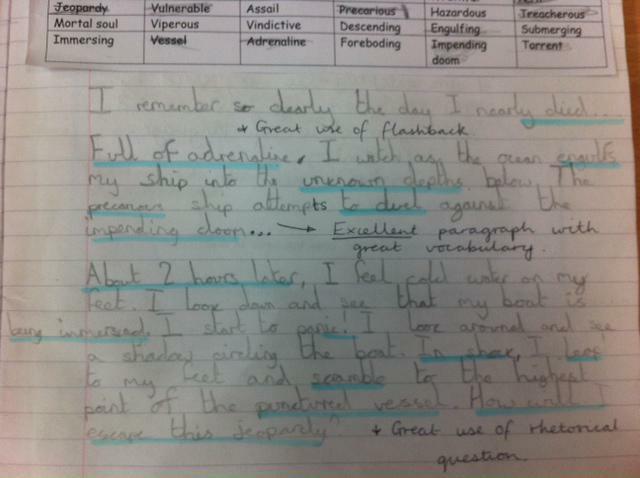 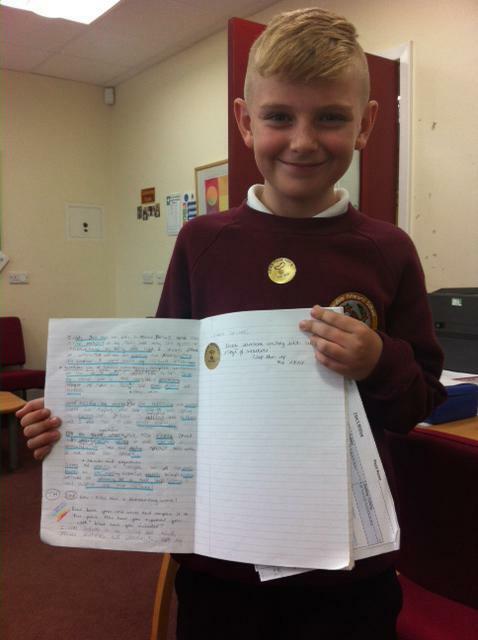 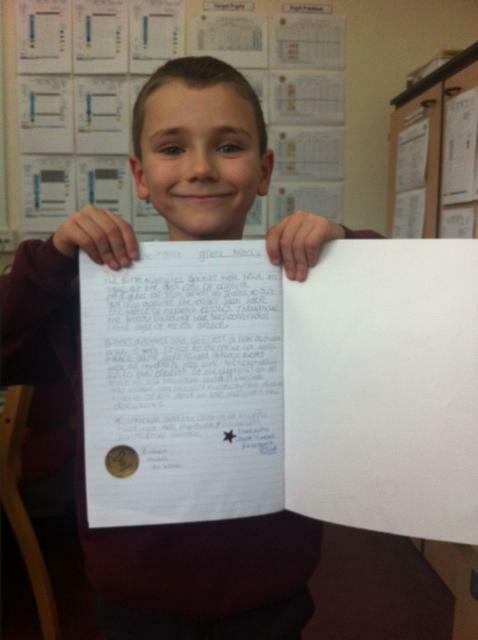 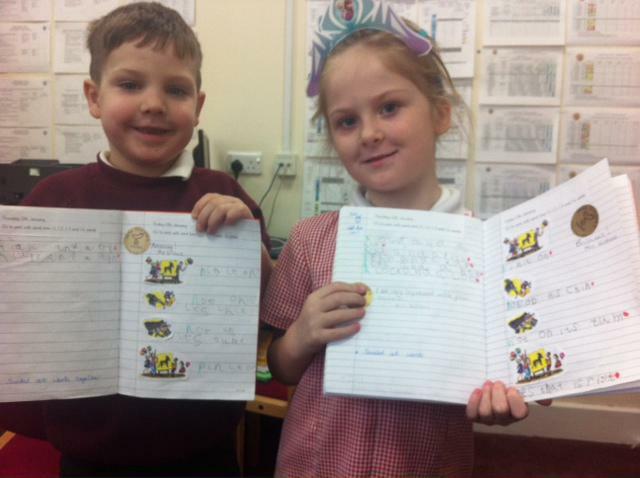 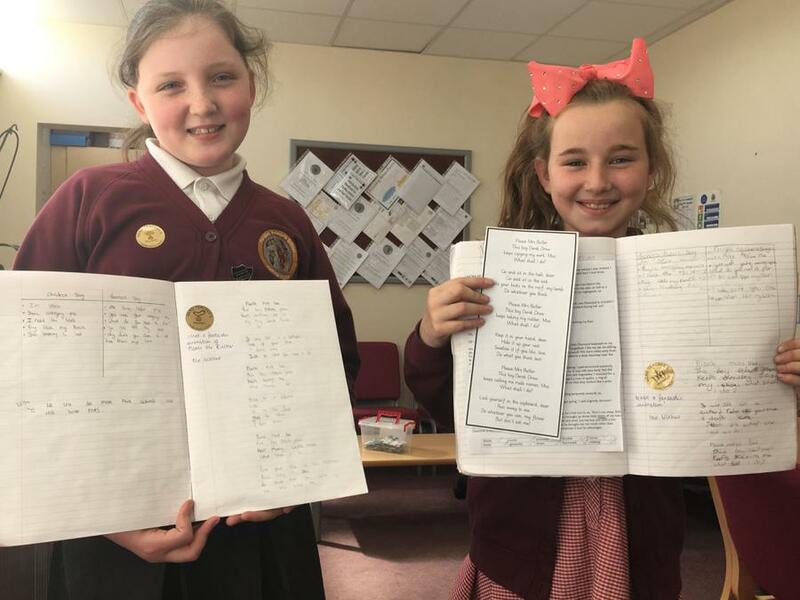 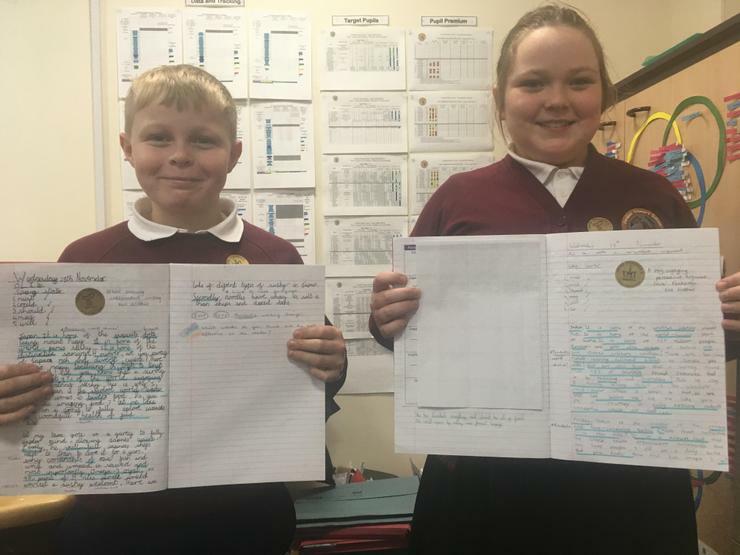 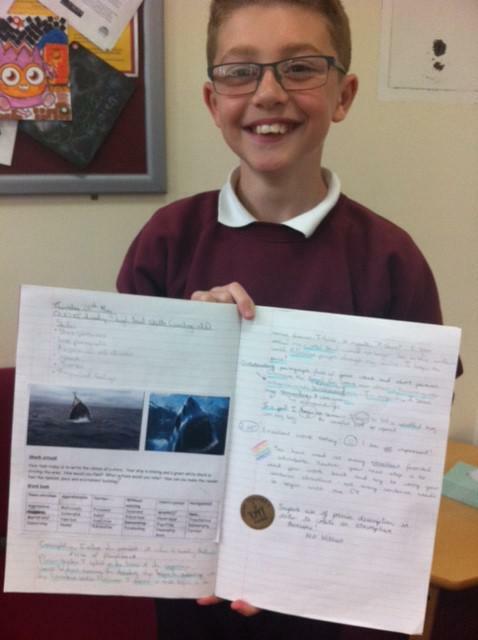 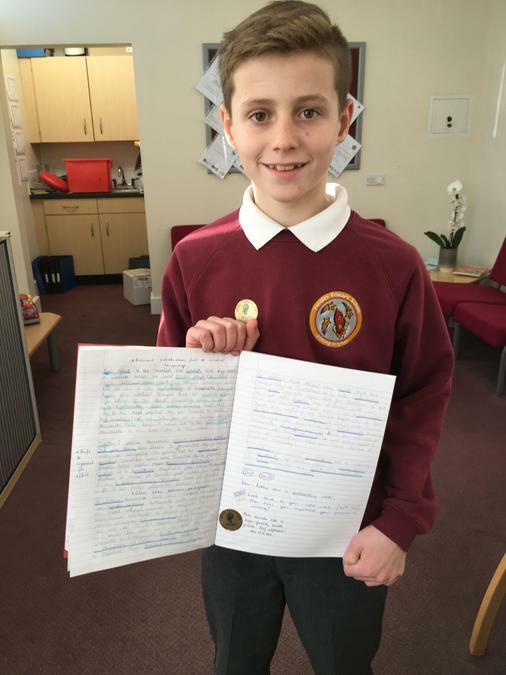 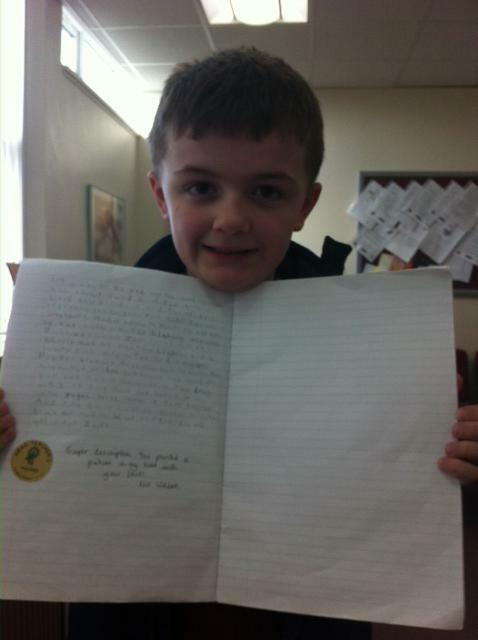 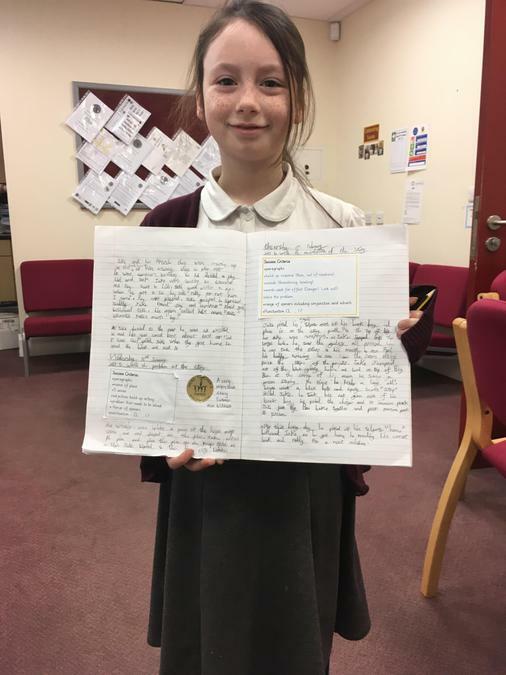 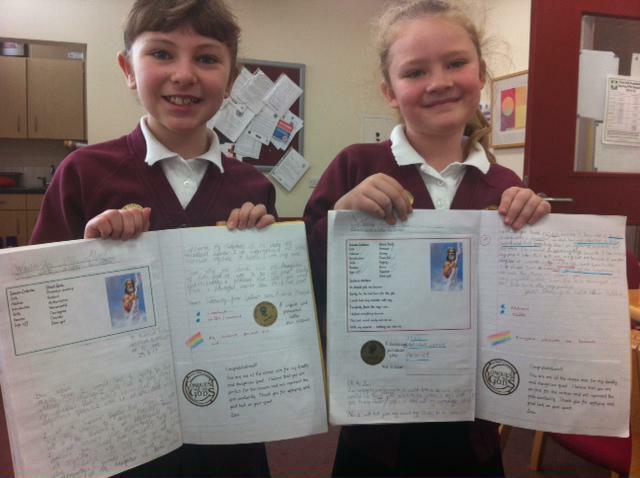 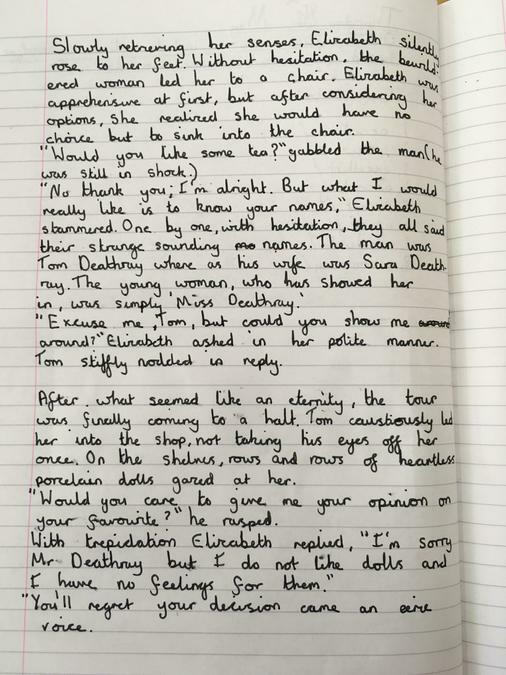 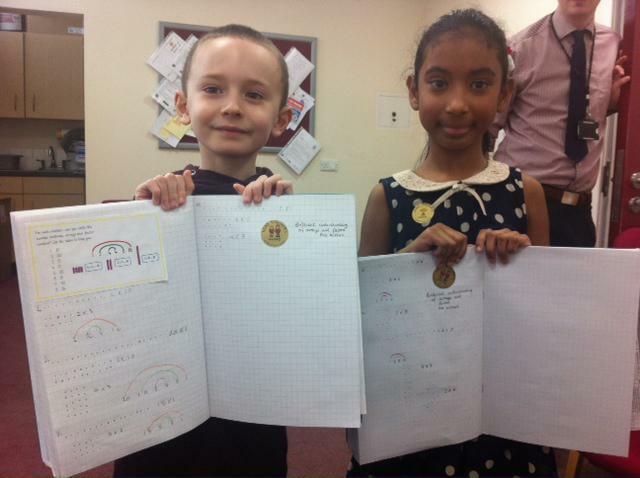 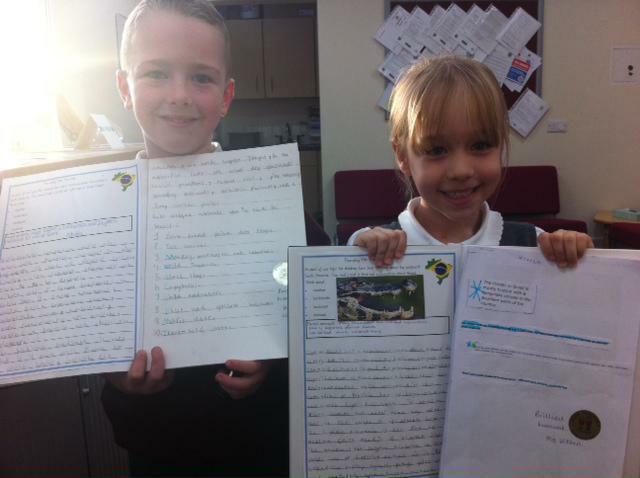 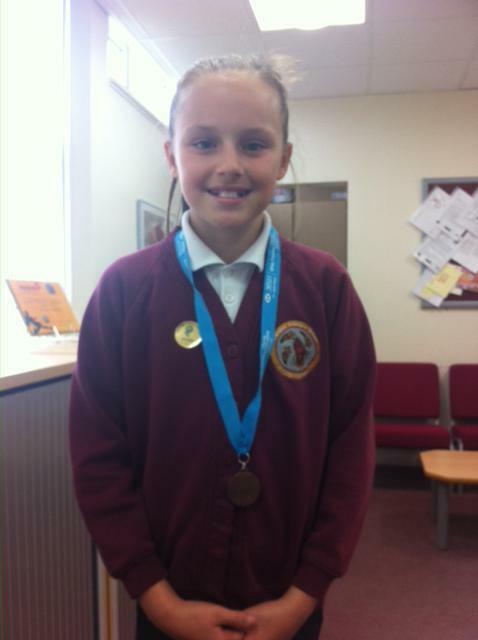 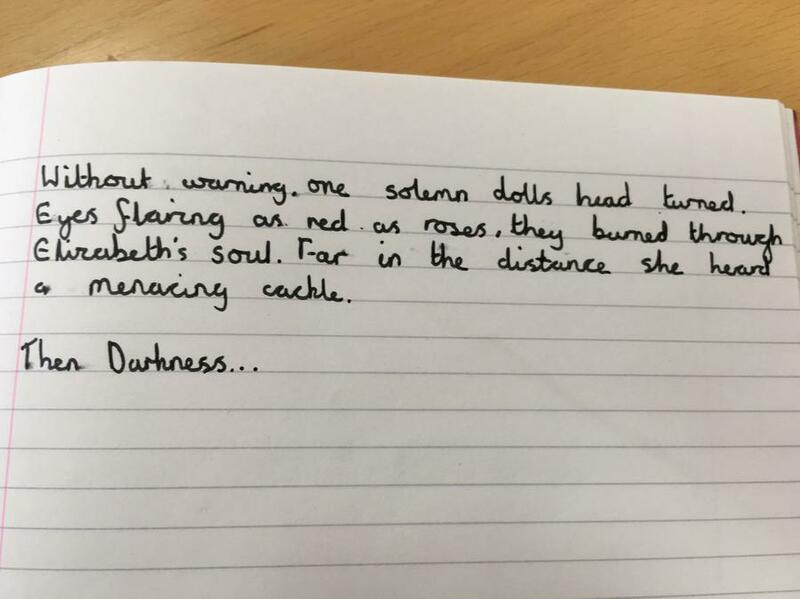 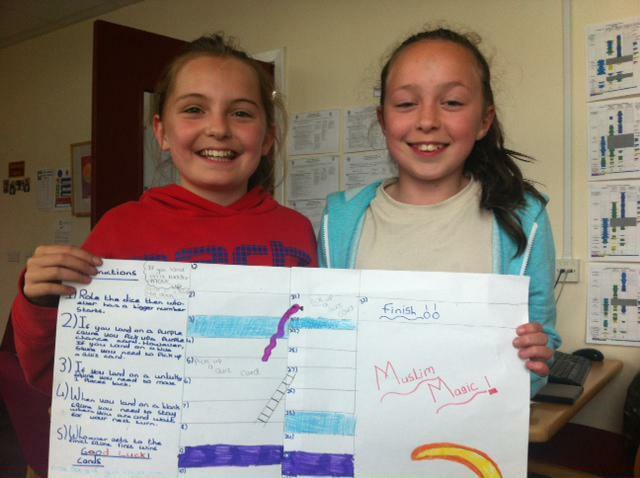 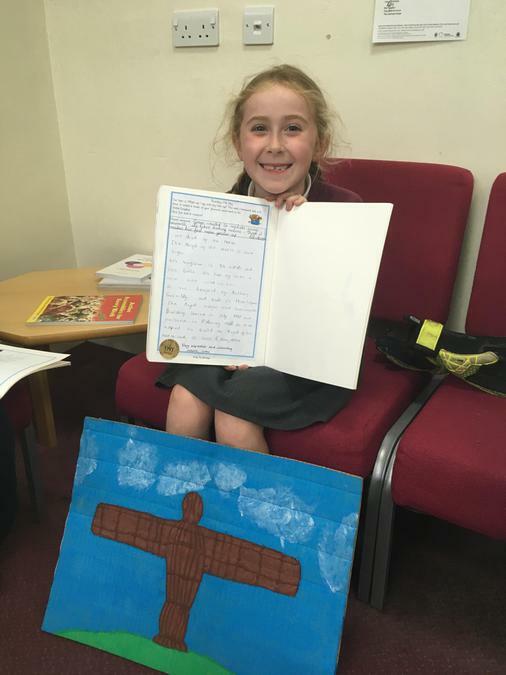 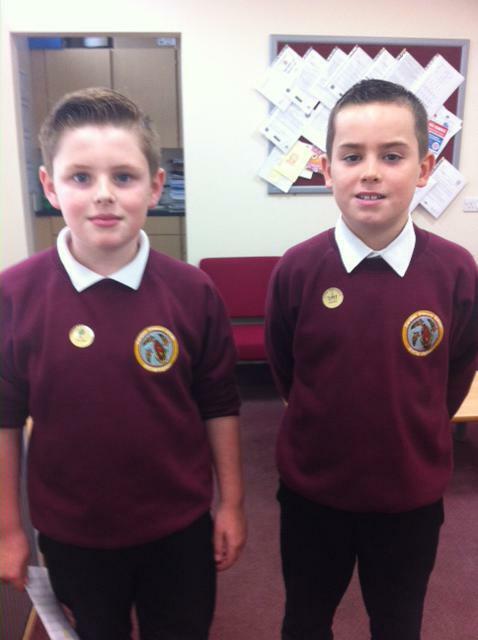 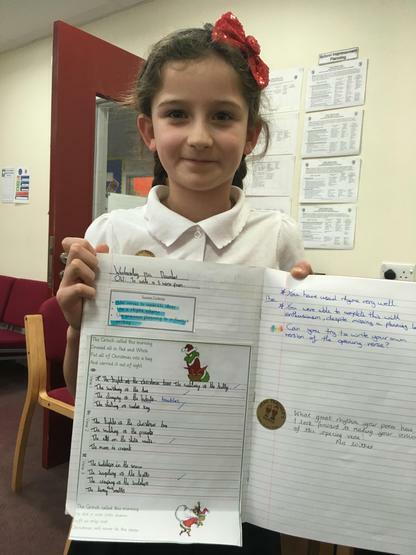 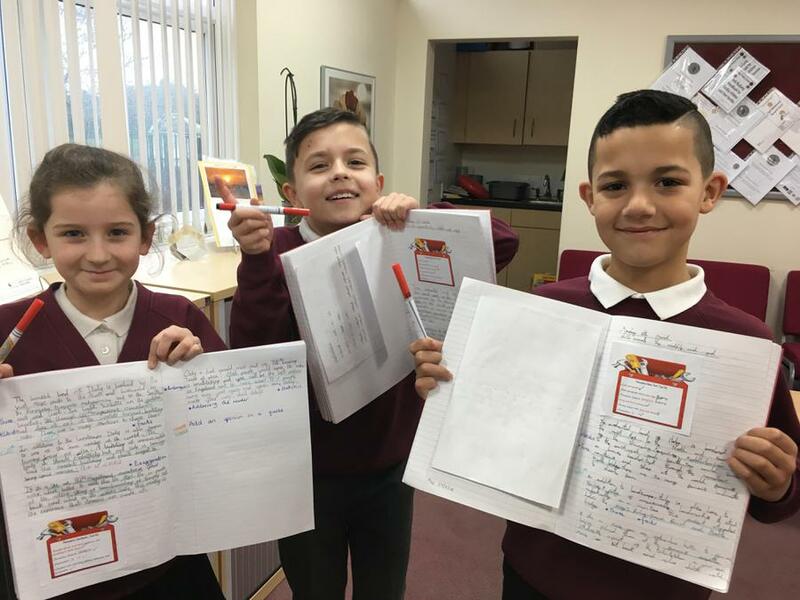 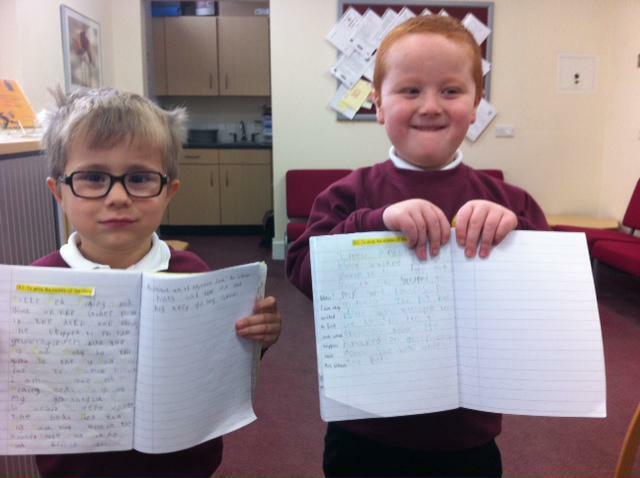 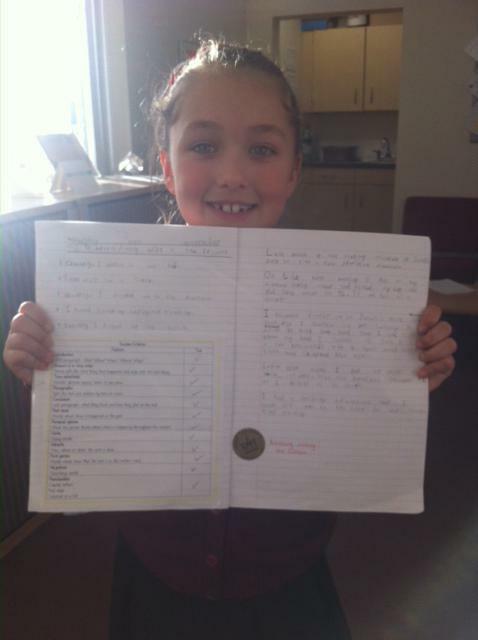 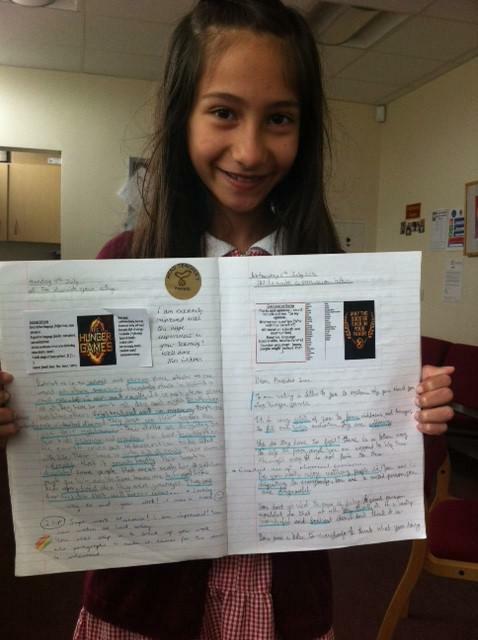 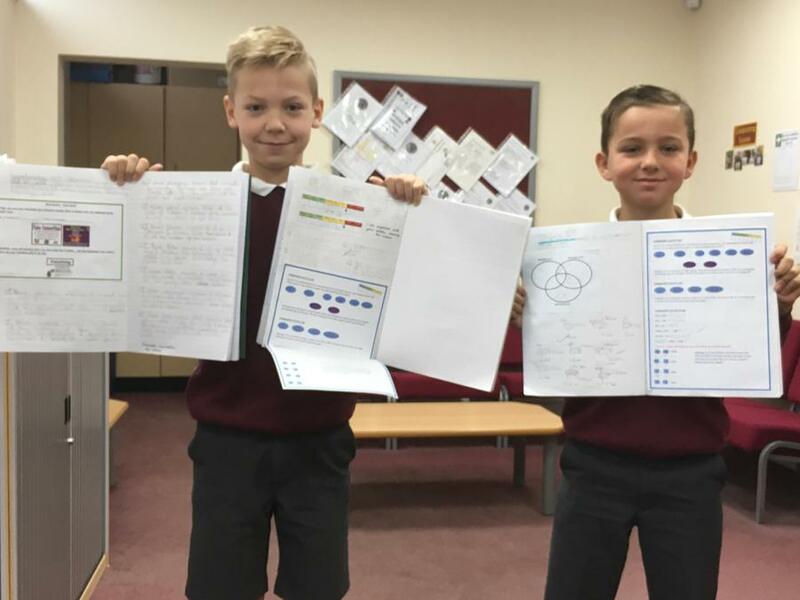 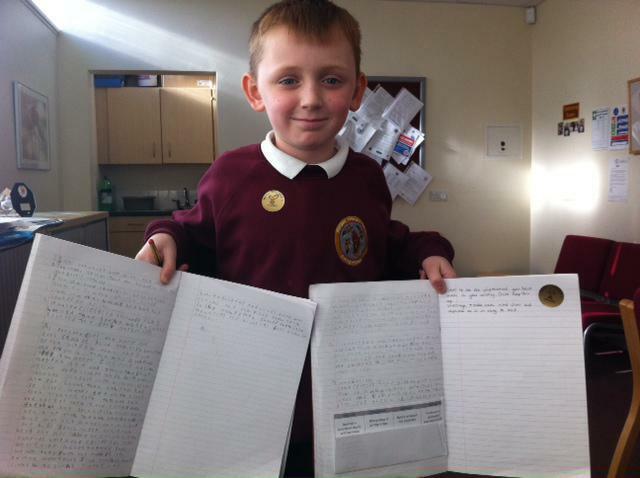 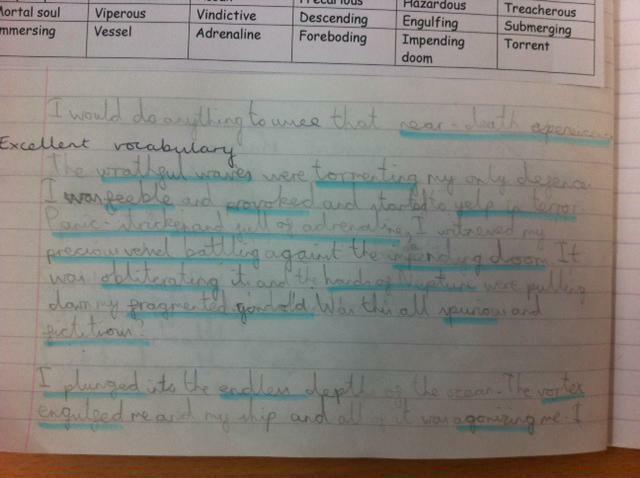 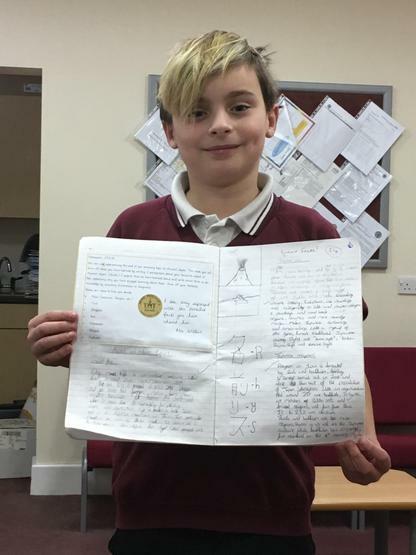 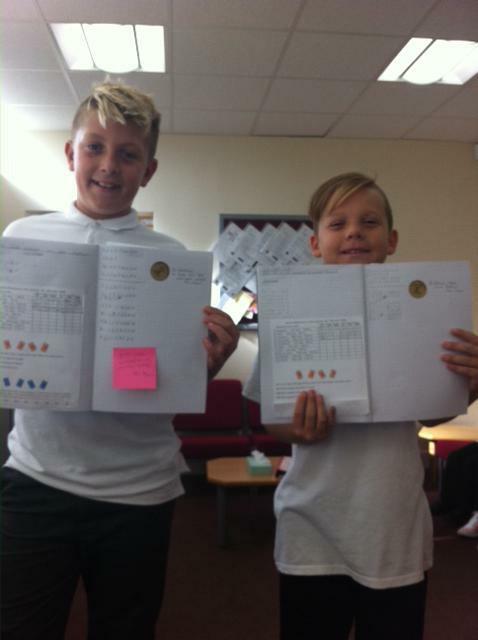 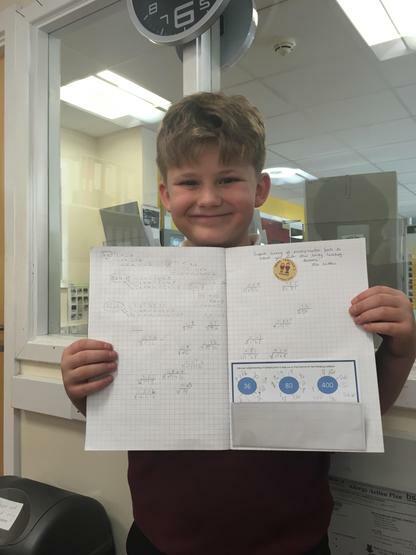 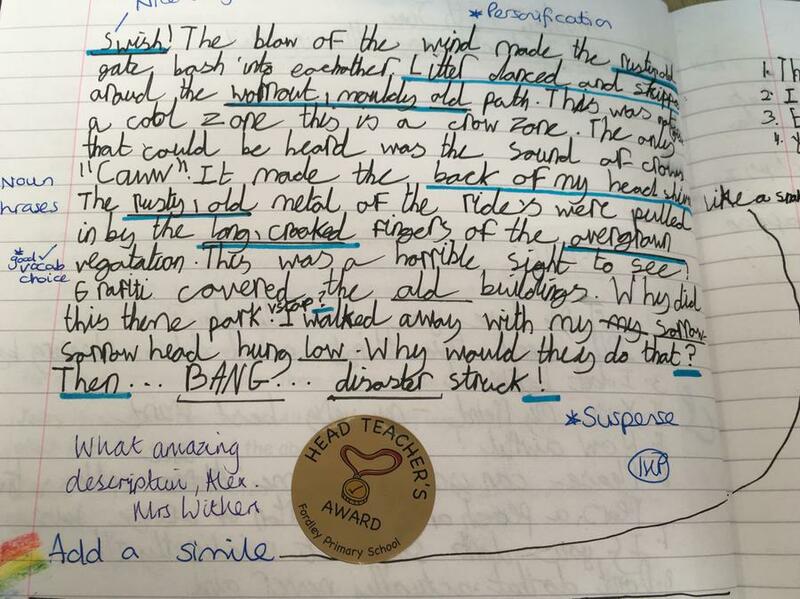 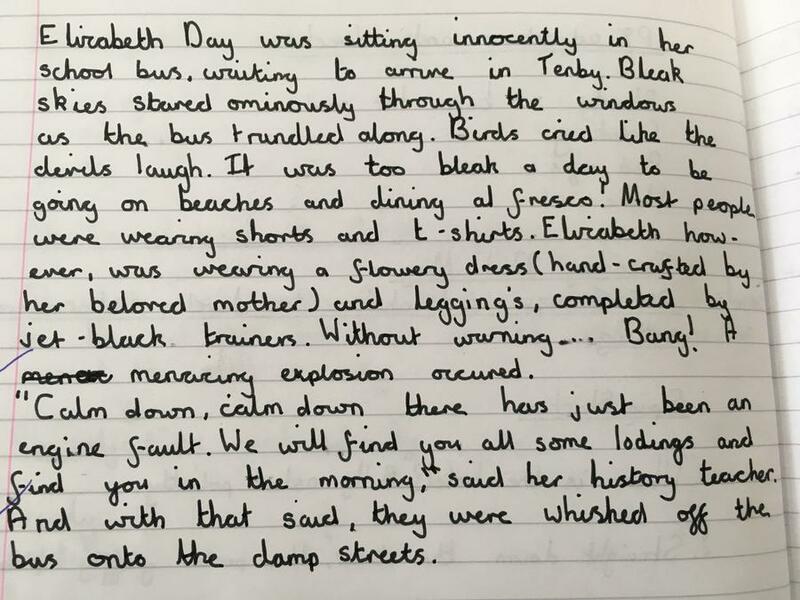 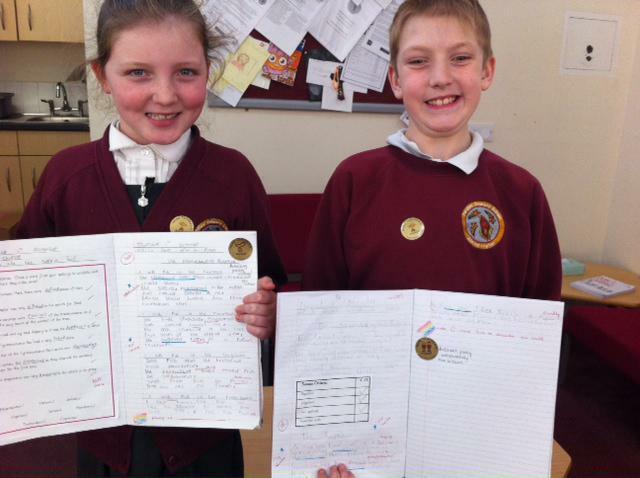 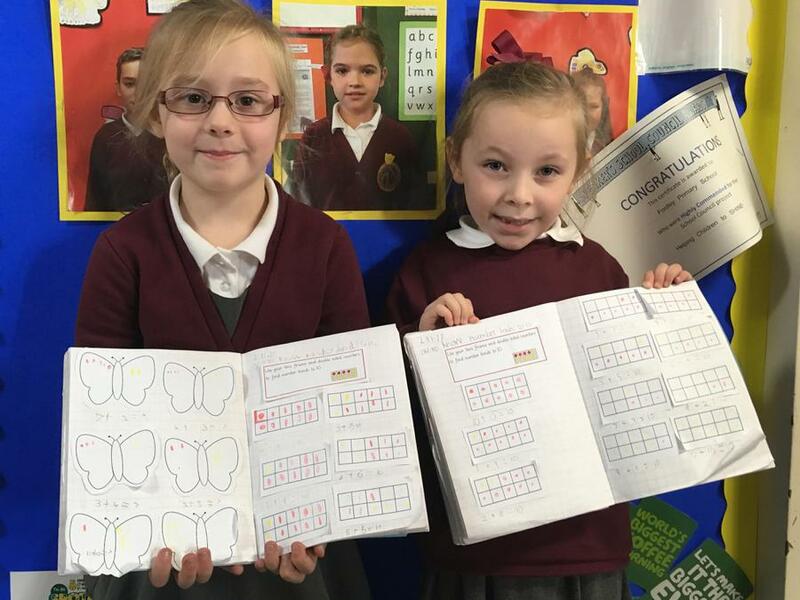 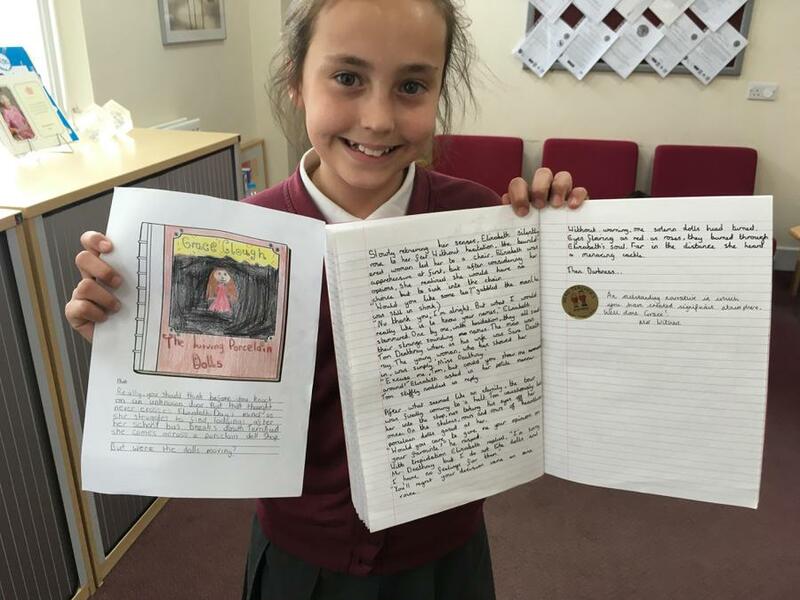 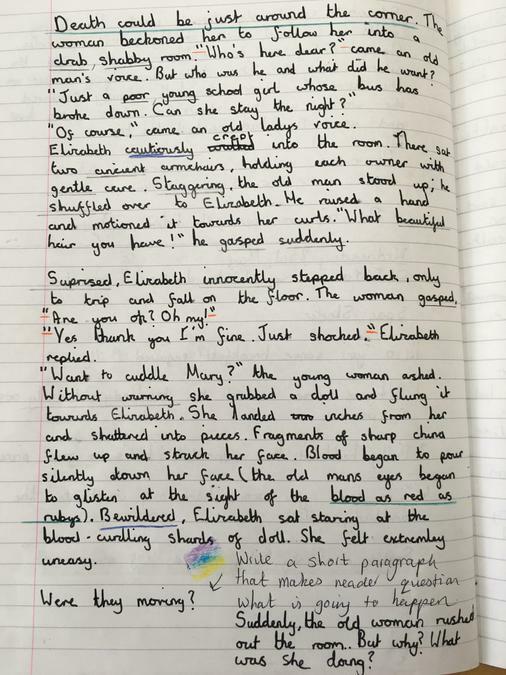 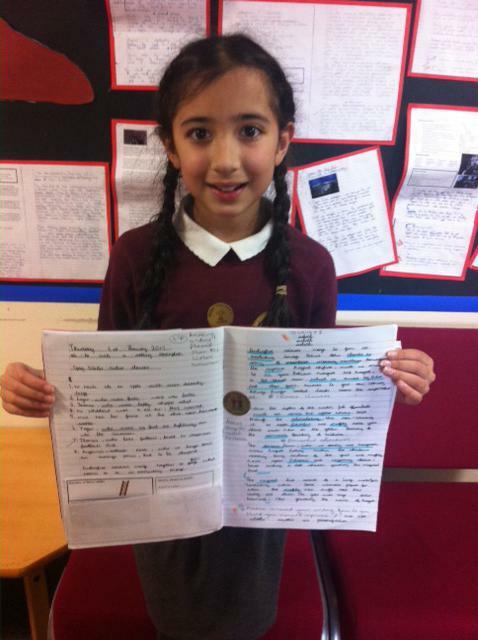 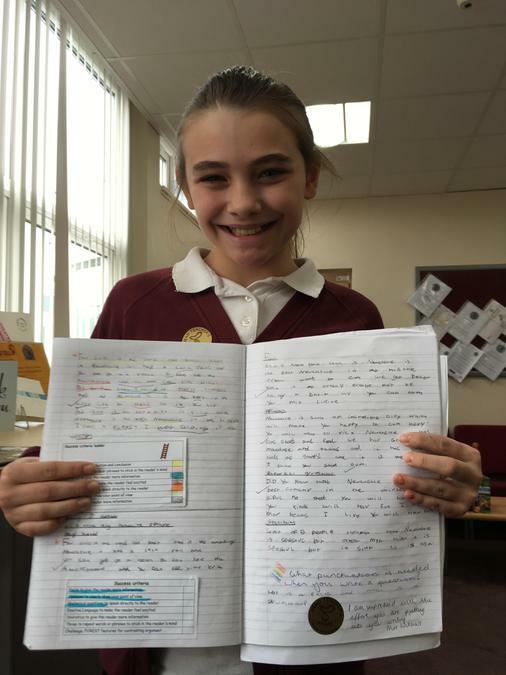 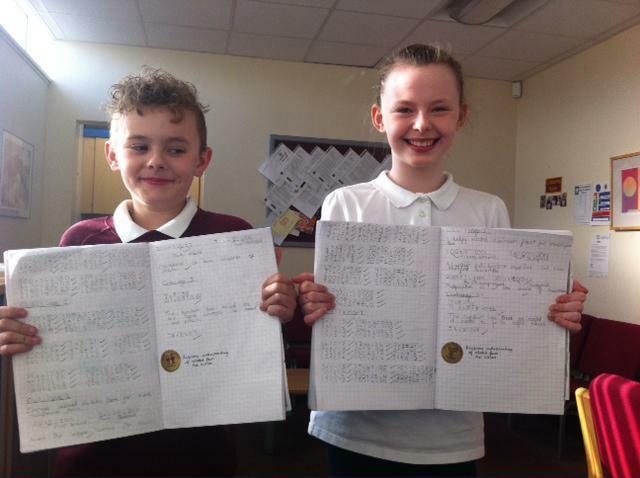 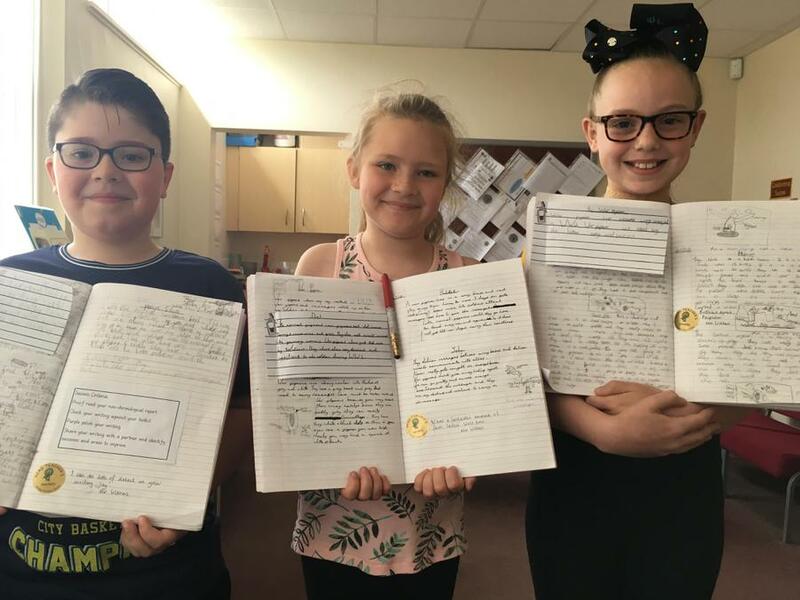 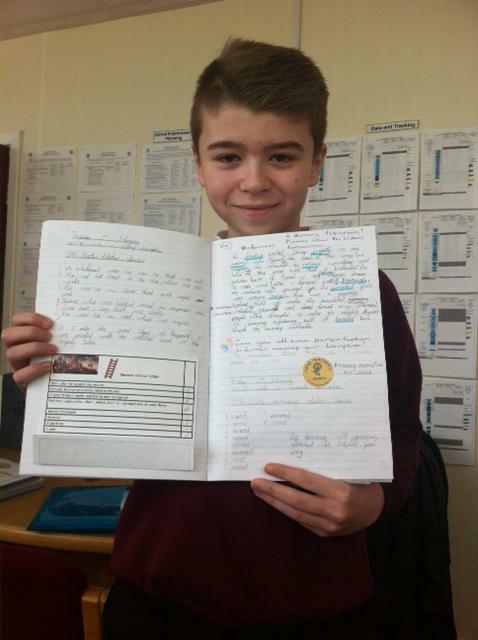 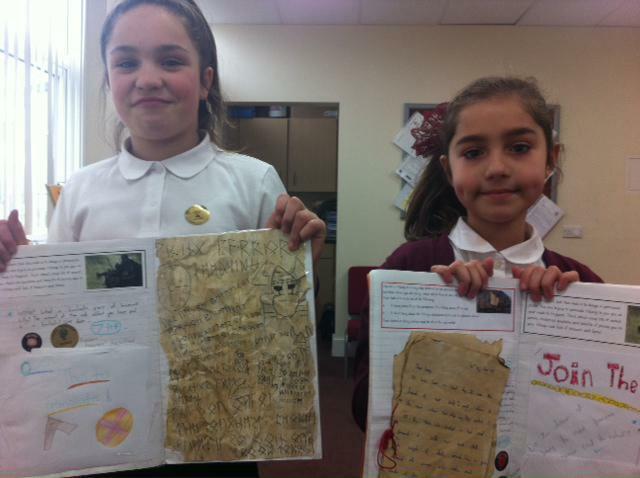 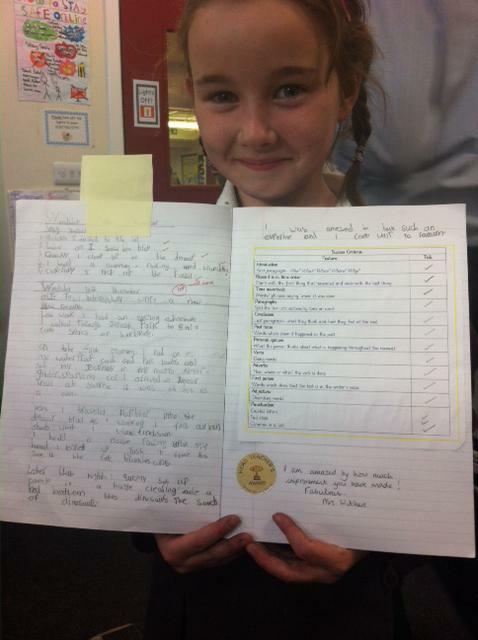 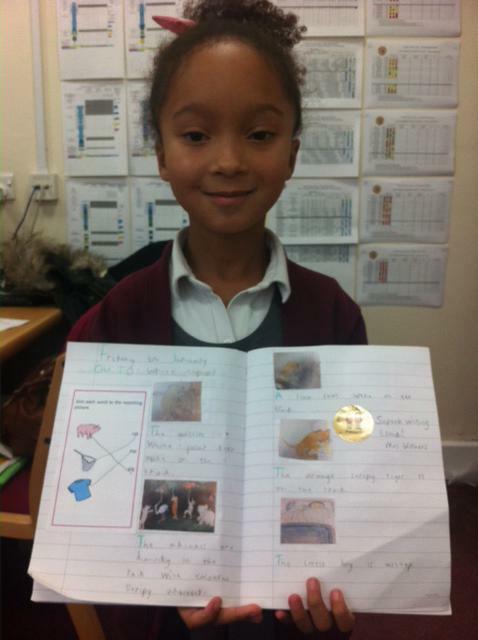 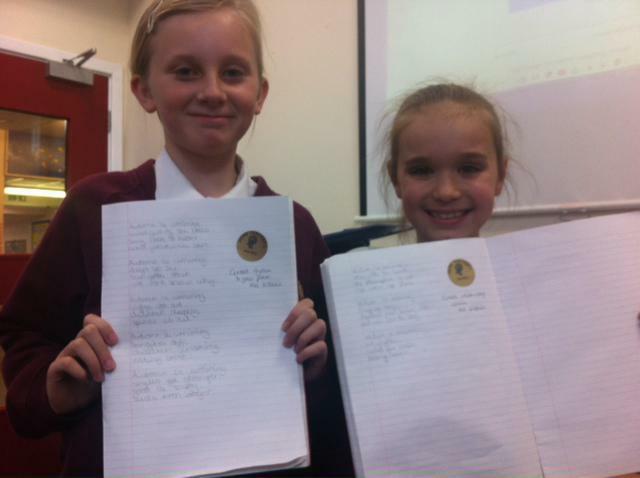 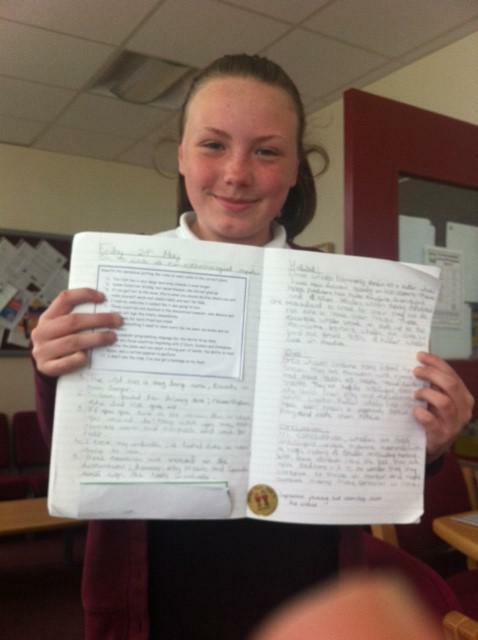 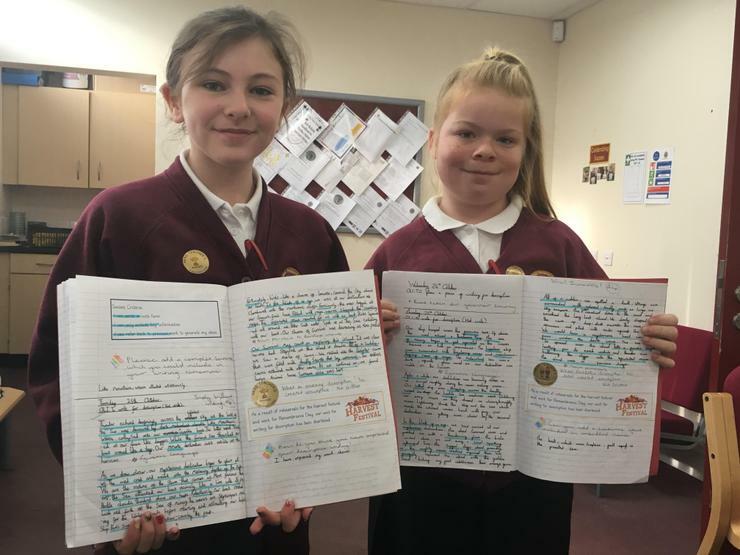 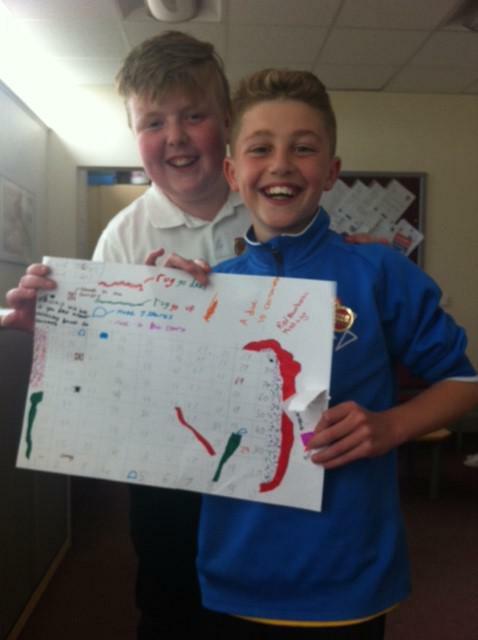 Superb diary writing from two of our Year 6 children. 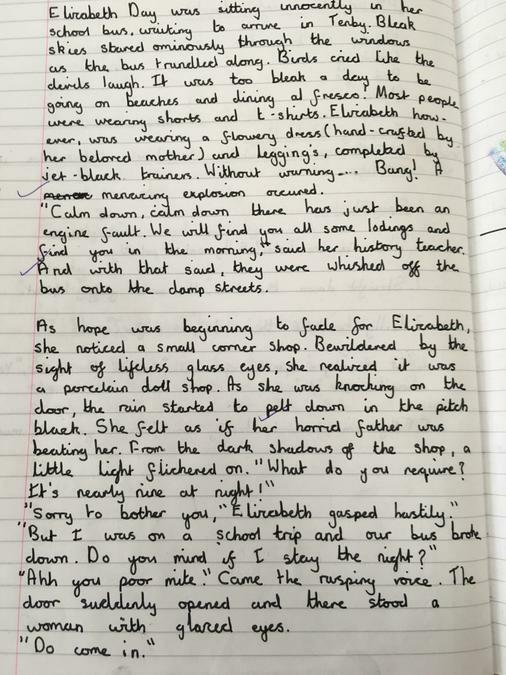 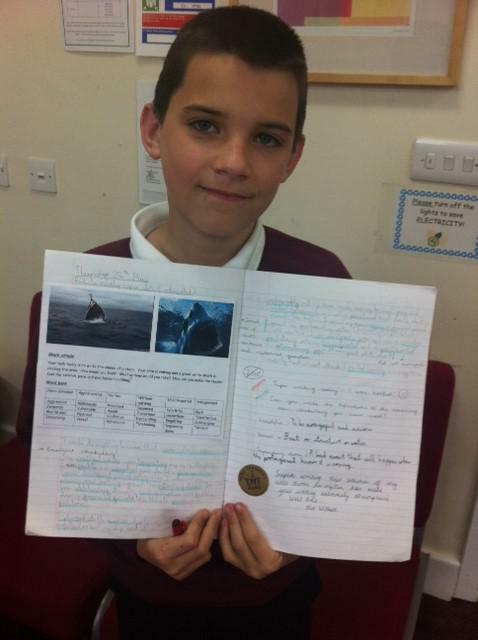 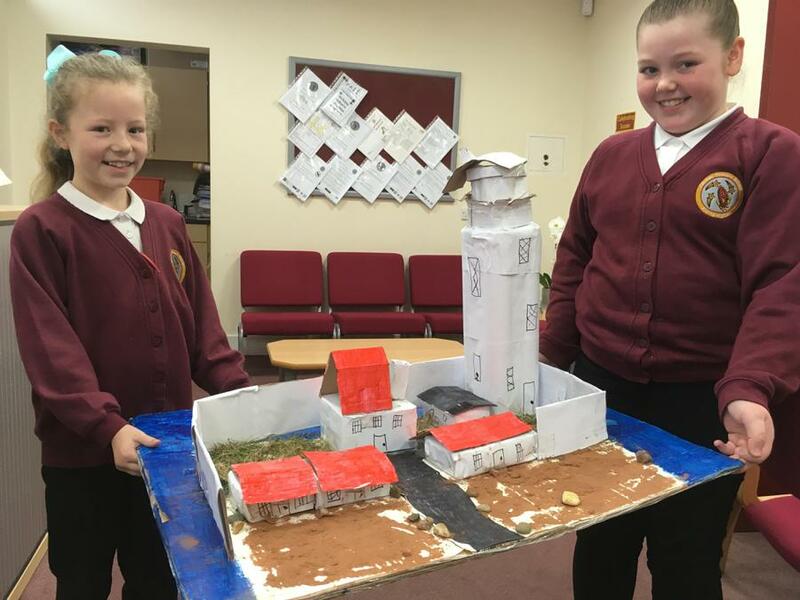 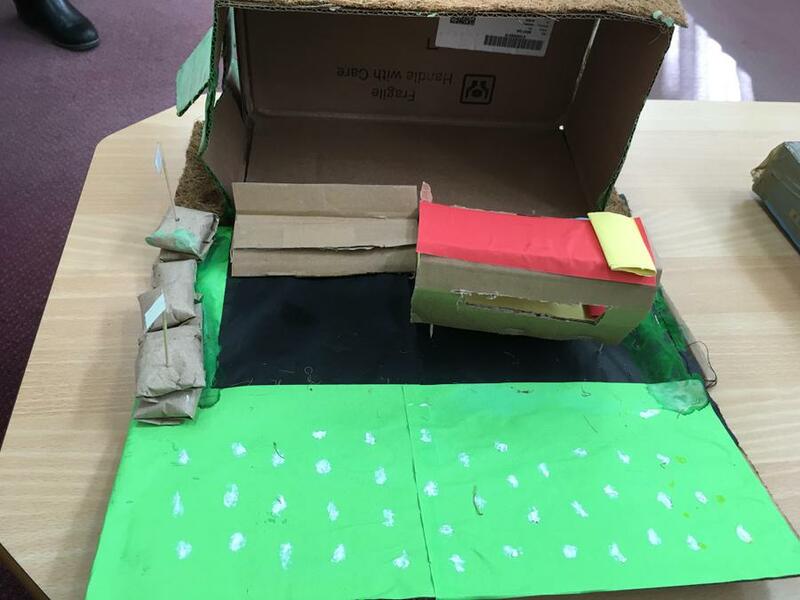 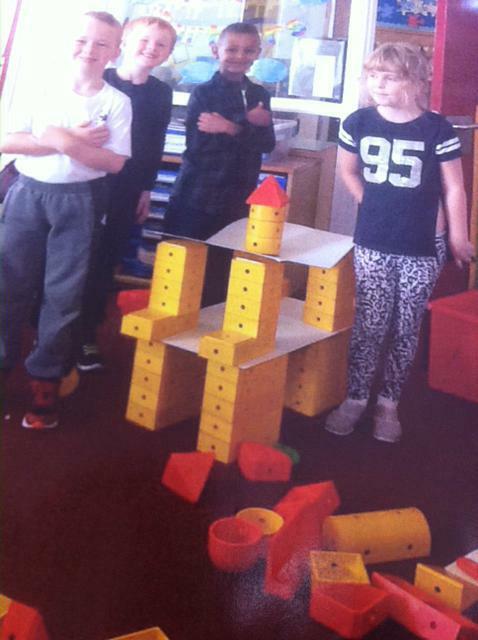 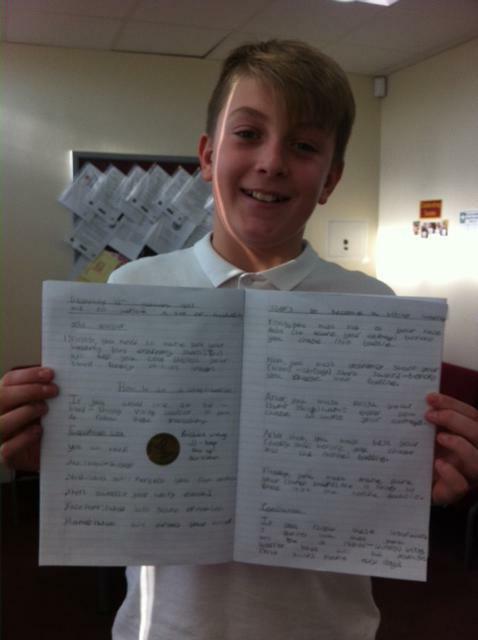 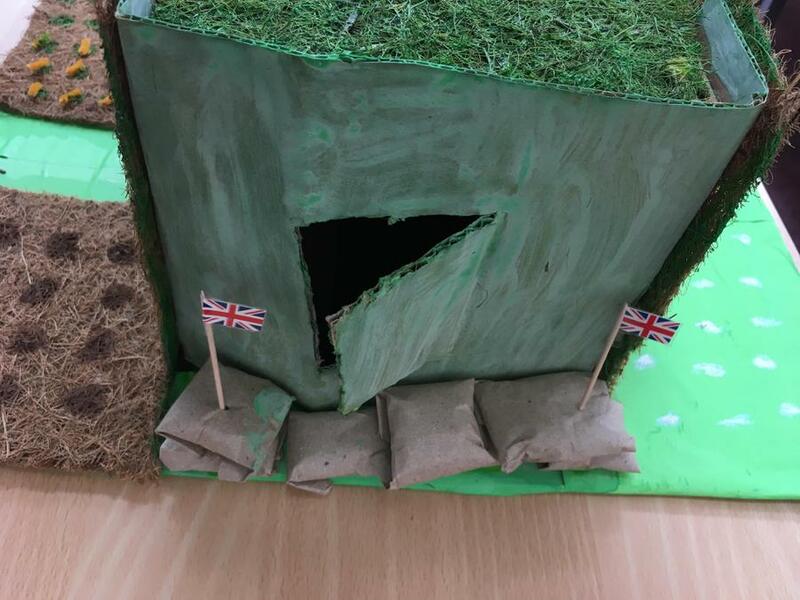 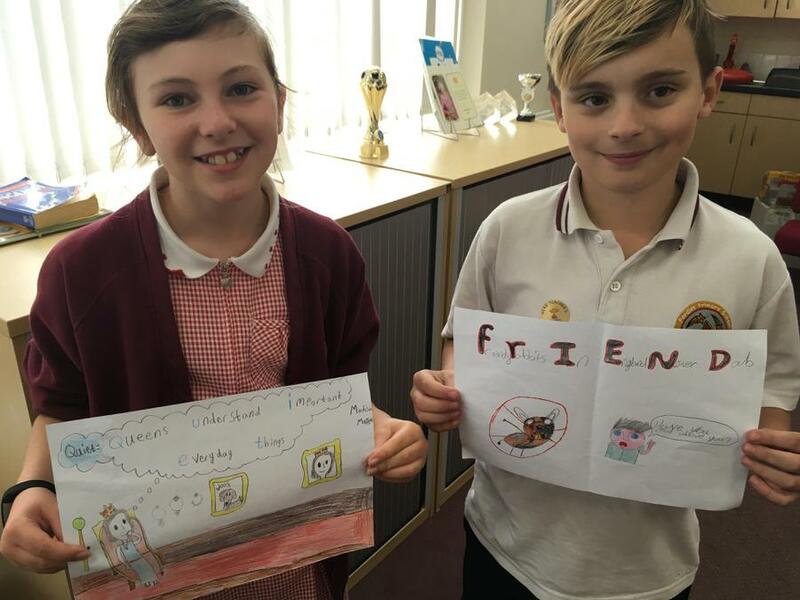 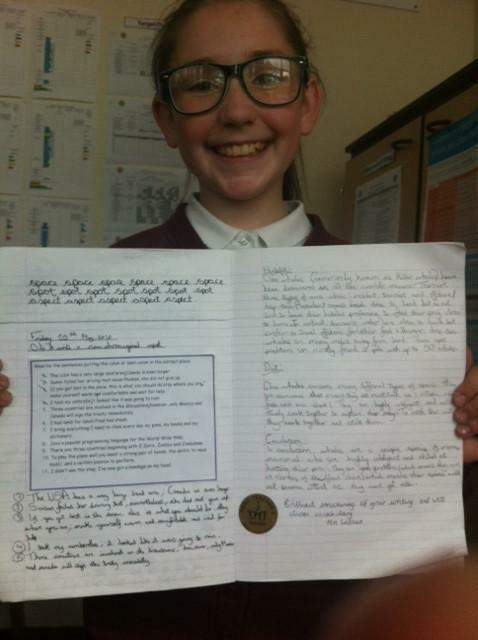 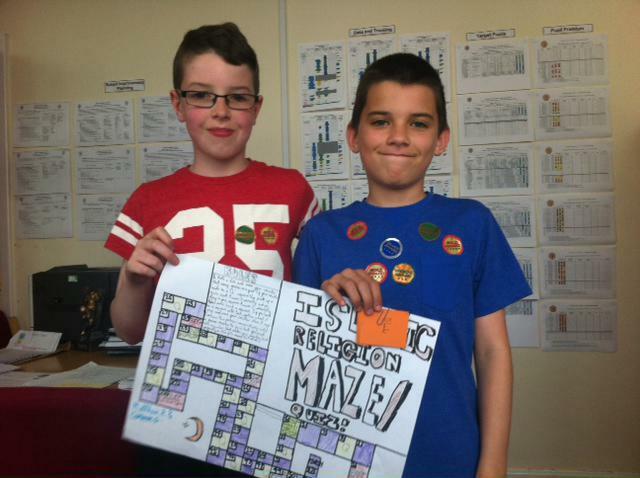 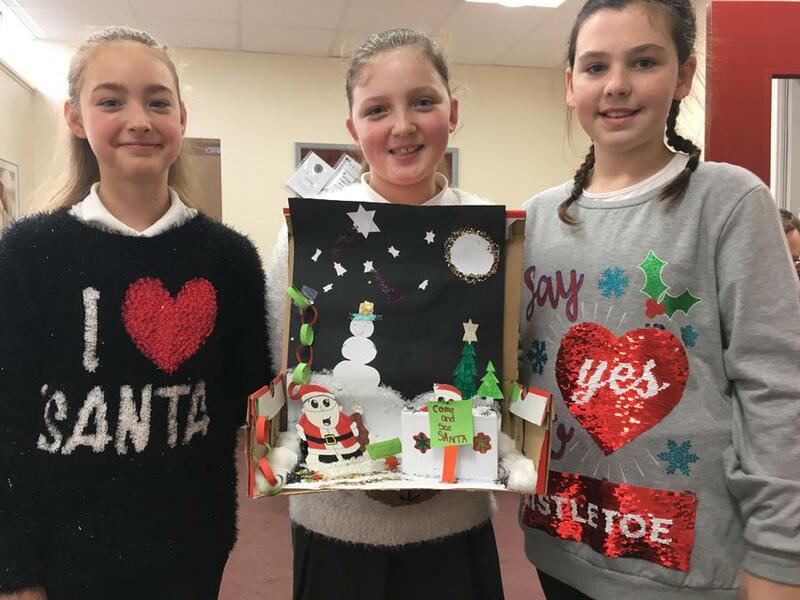 They used amazing detail and well chosen vocabulary to create an atmosphere and draw the reader in. 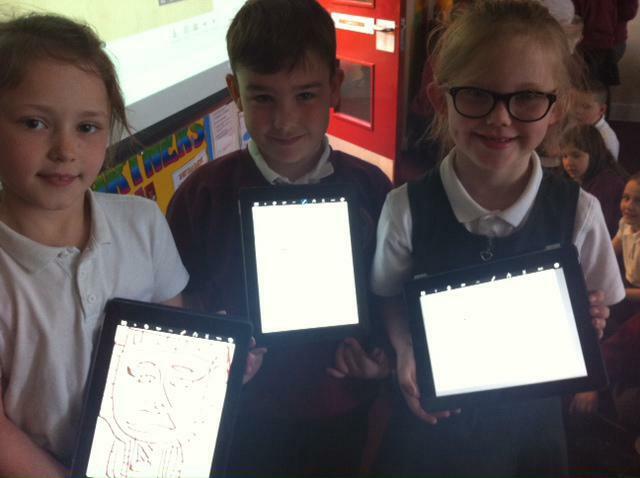 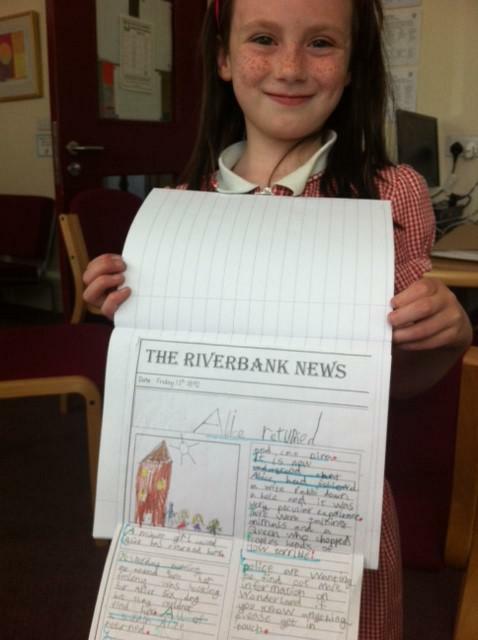 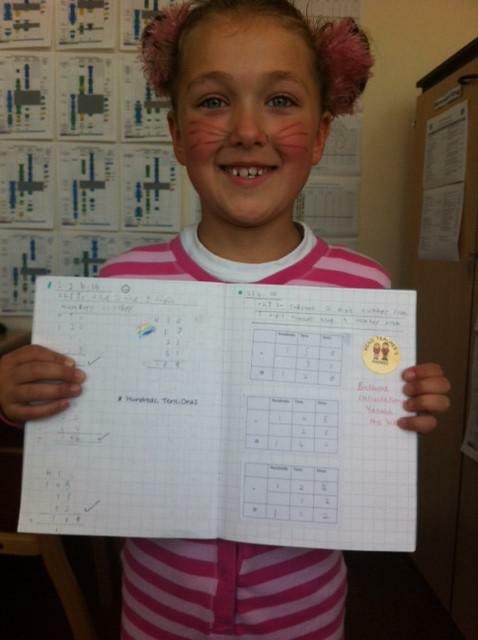 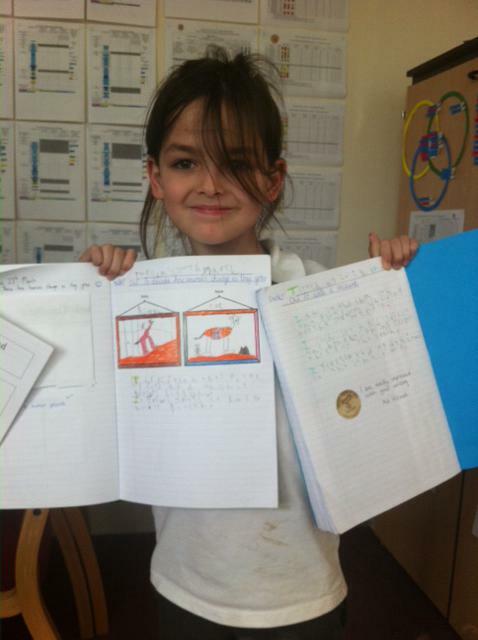 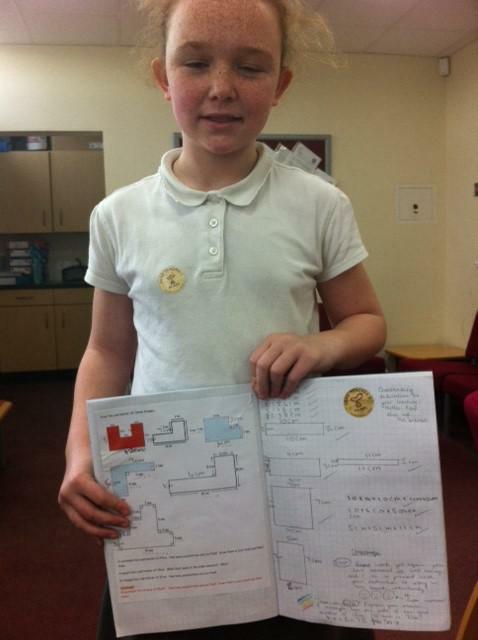 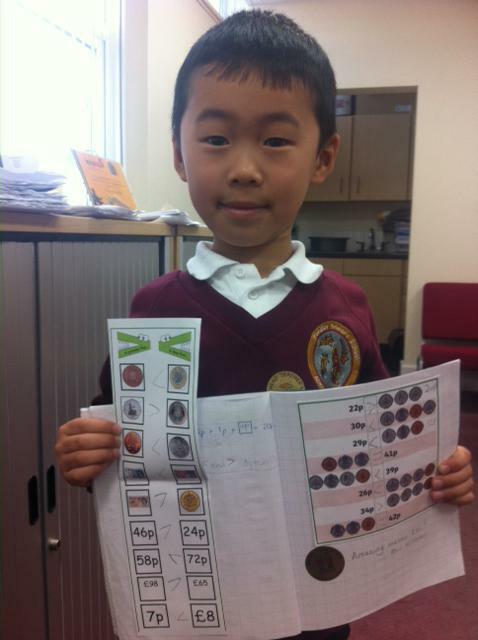 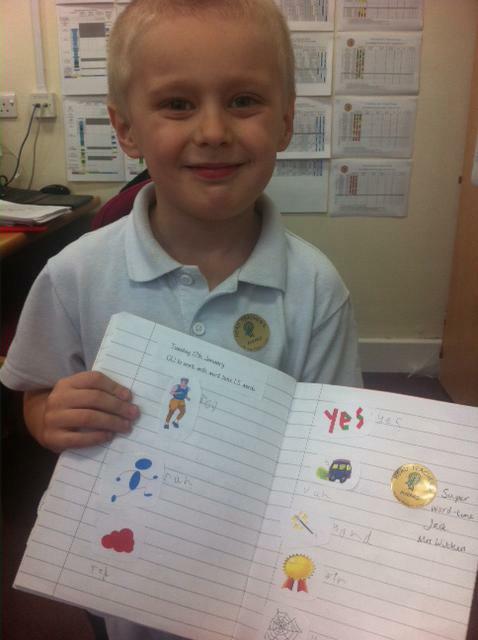 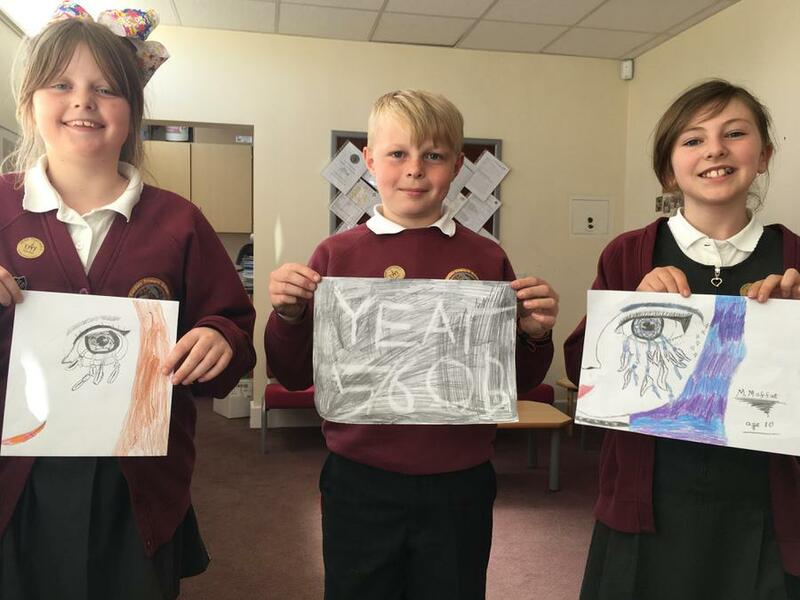 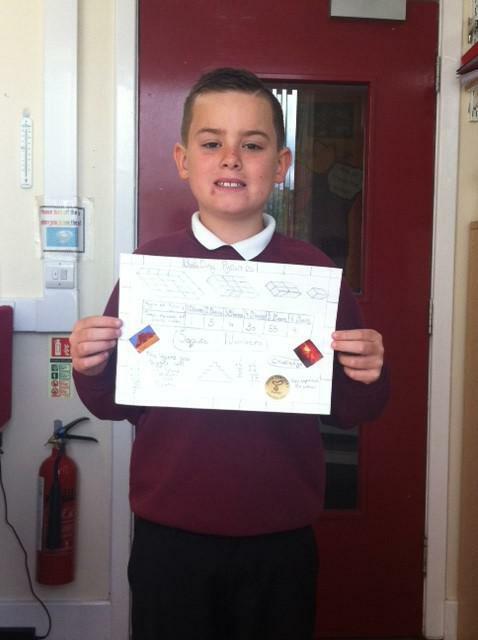 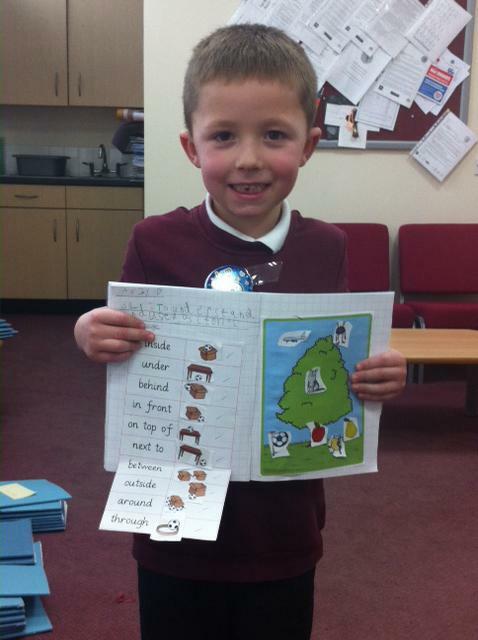 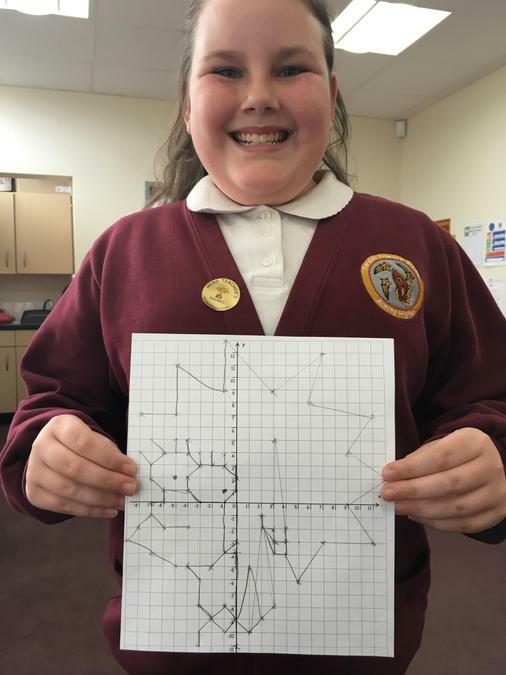 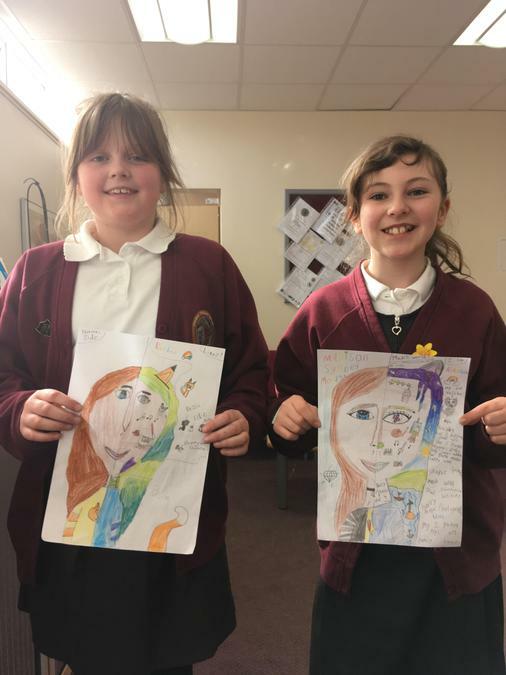 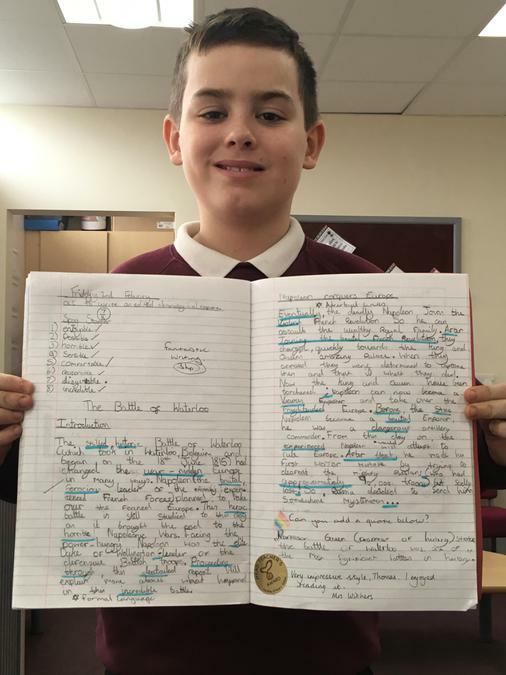 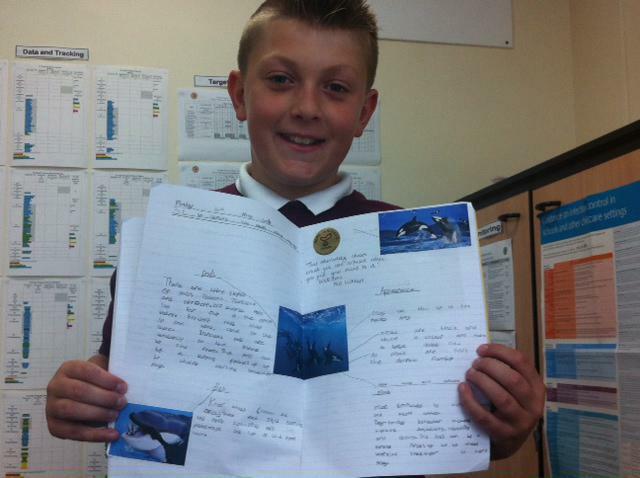 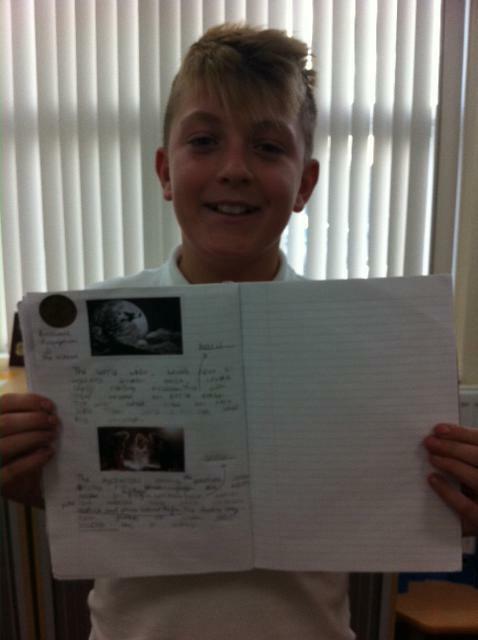 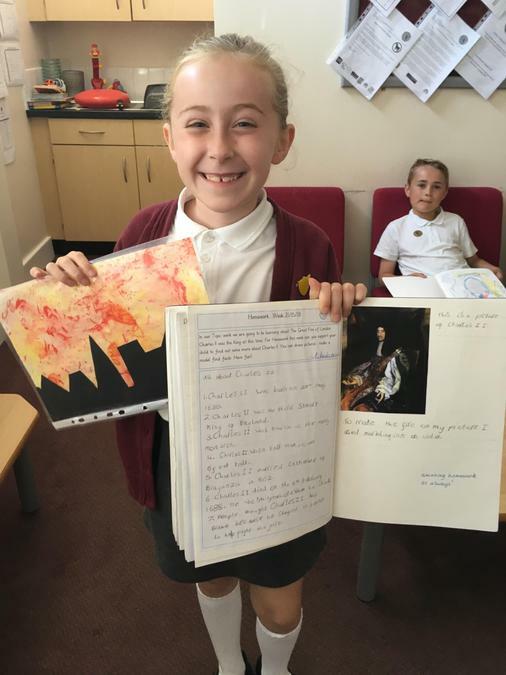 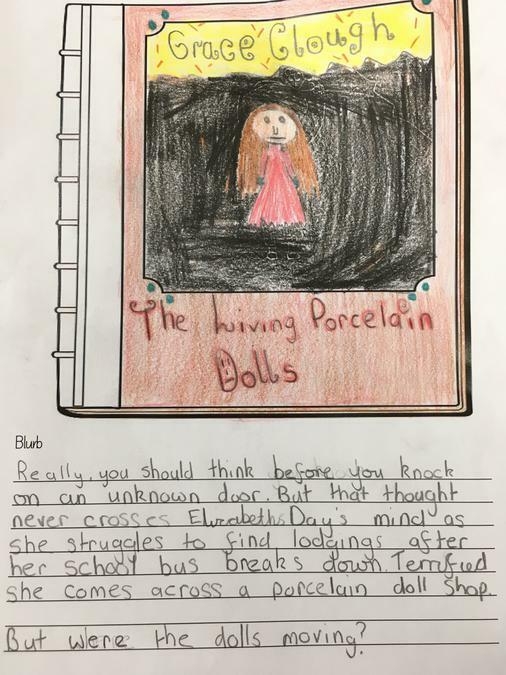 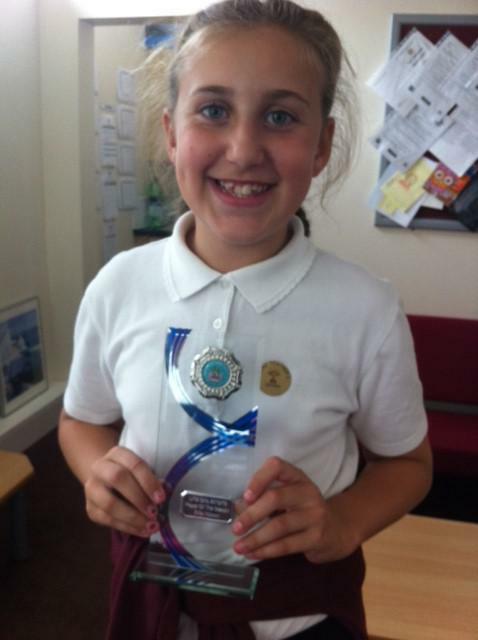 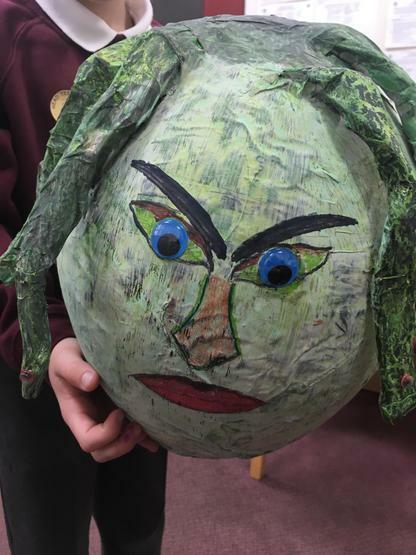 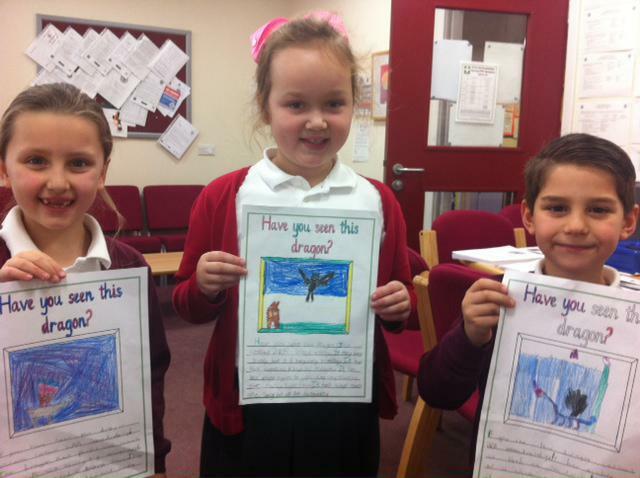 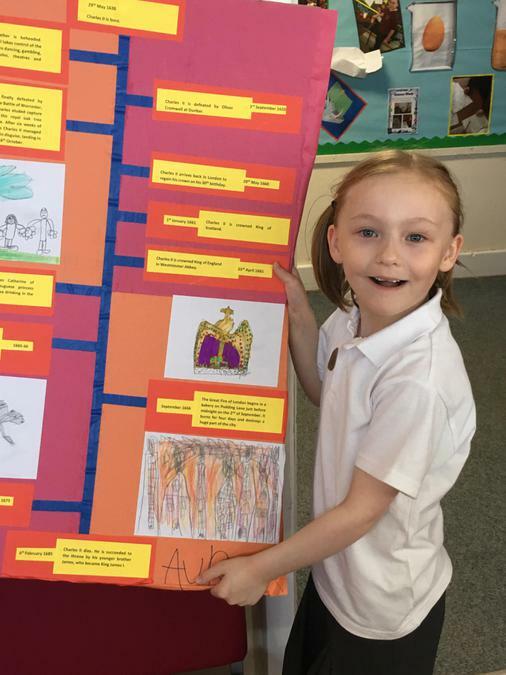 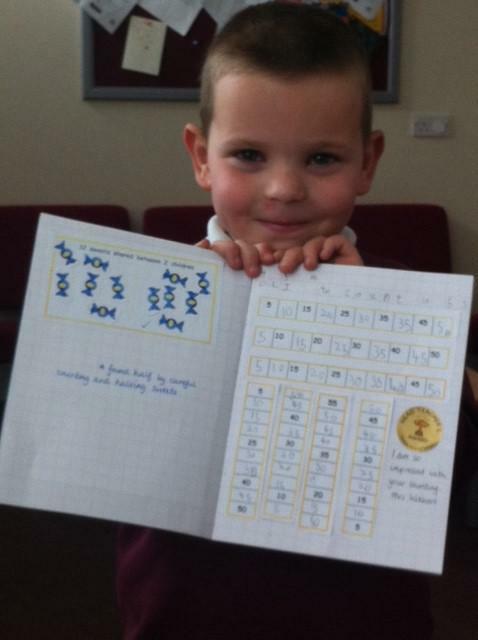 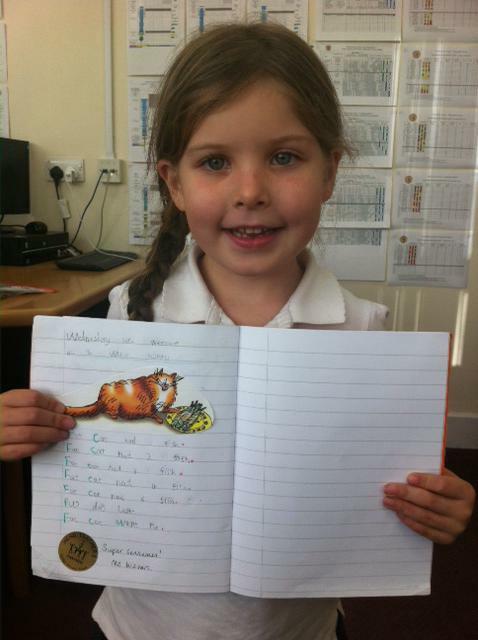 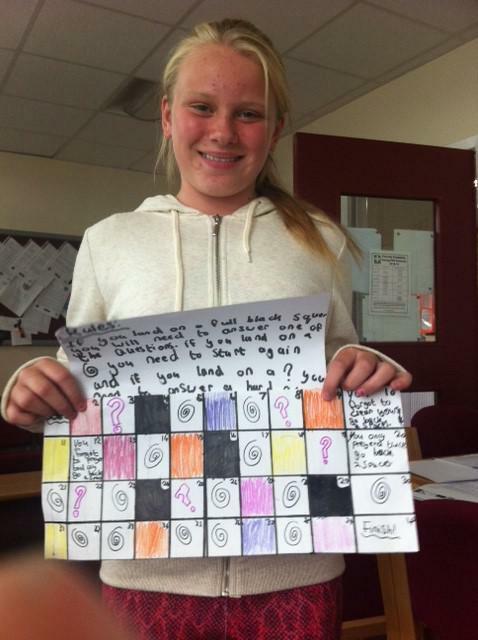 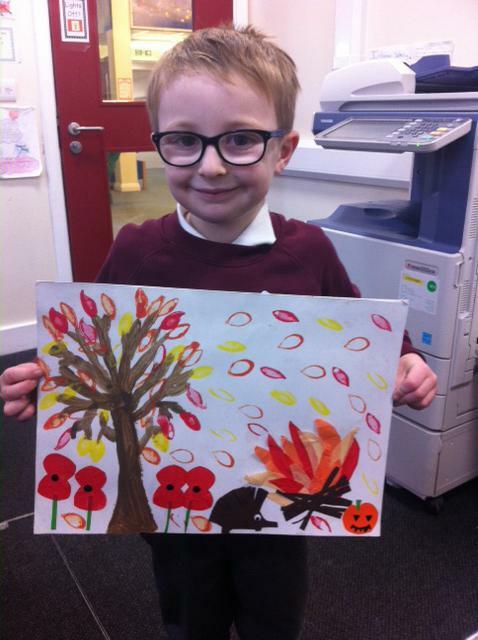 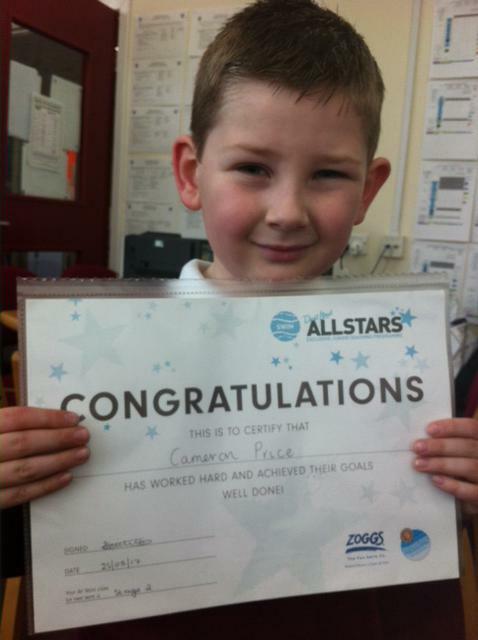 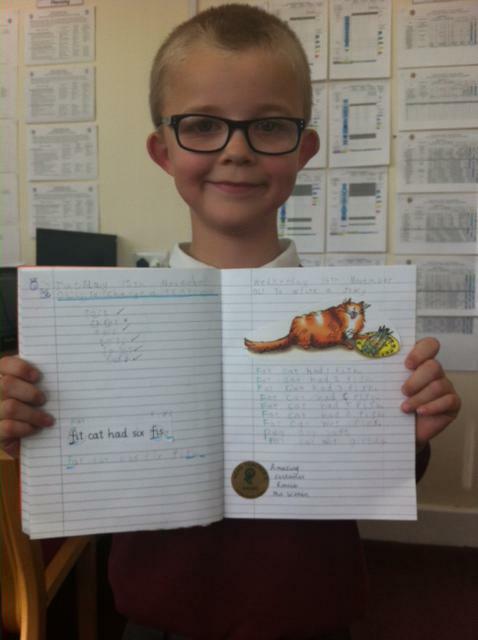 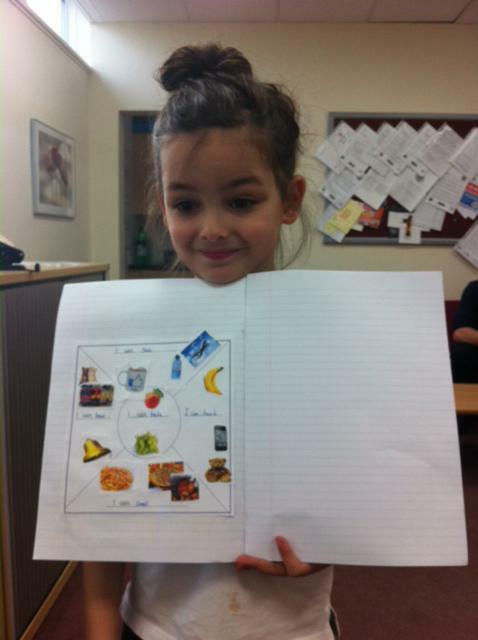 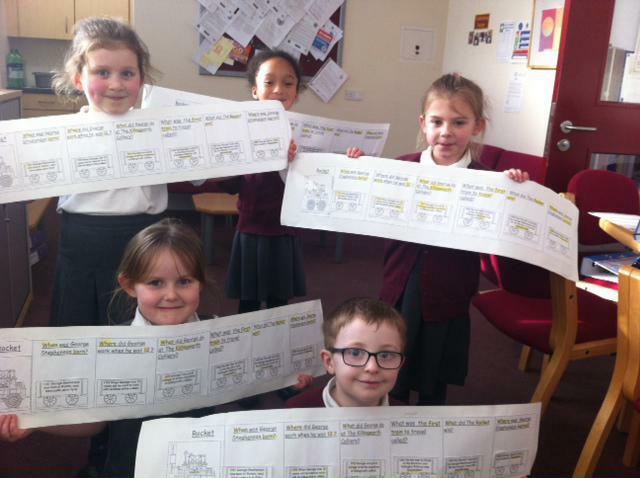 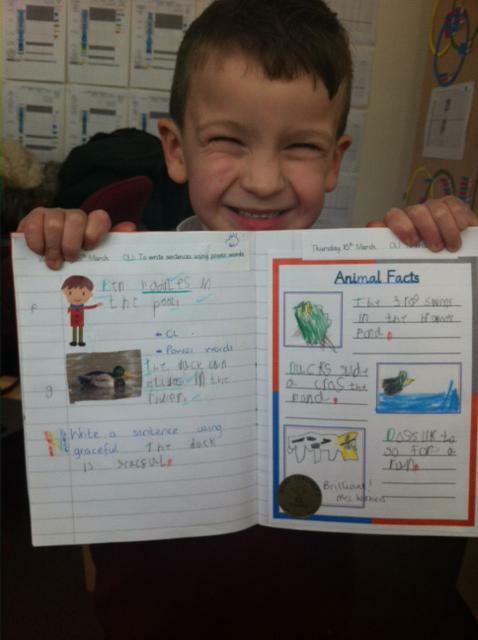 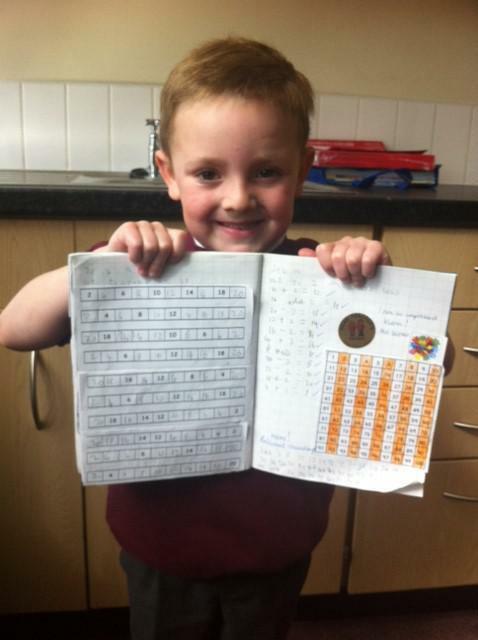 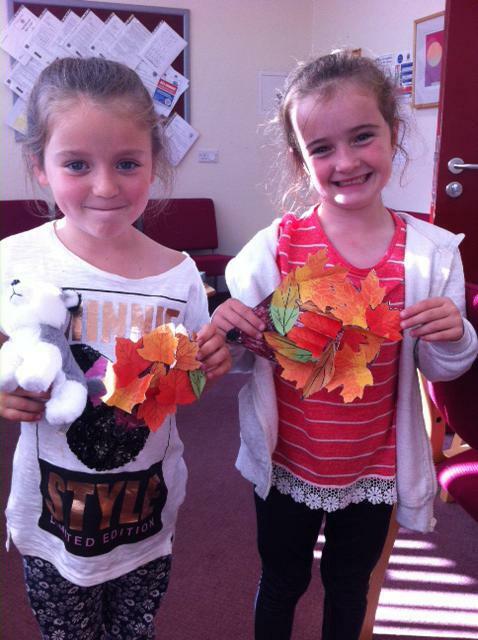 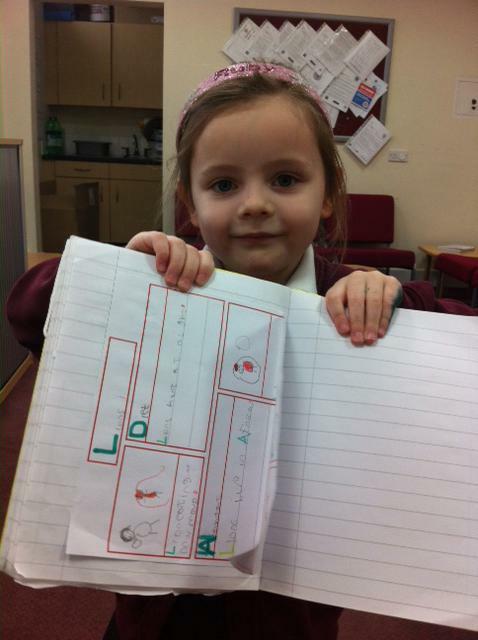 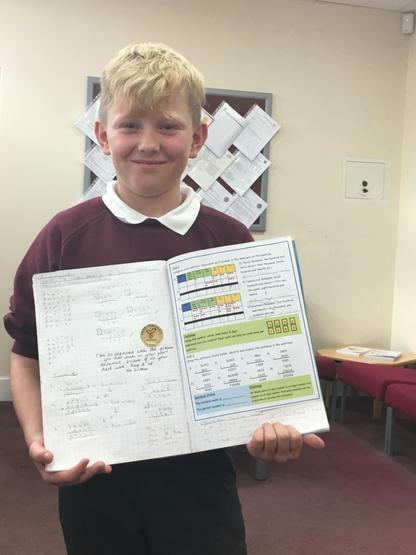 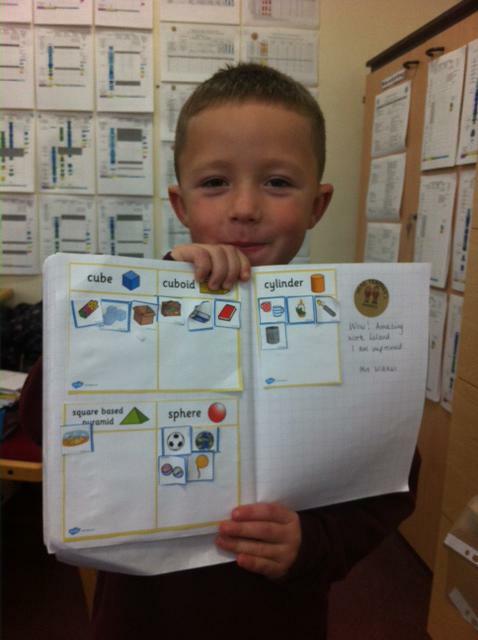 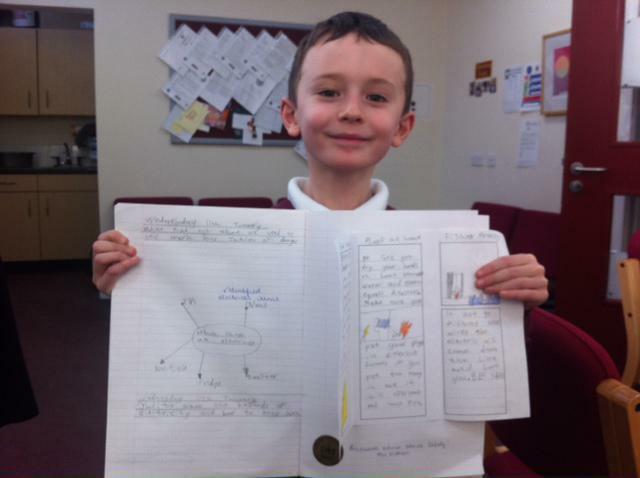 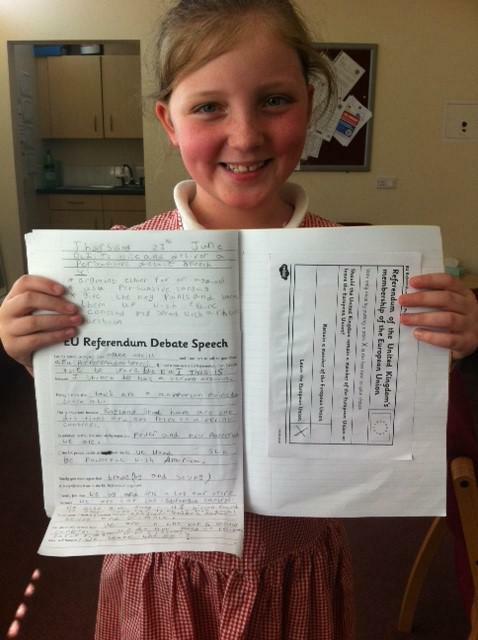 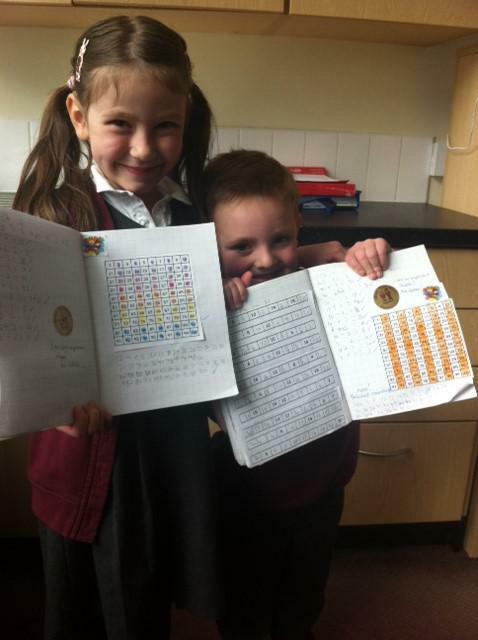 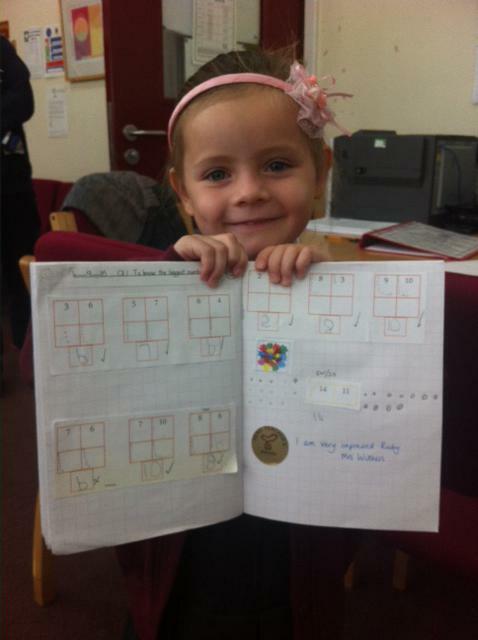 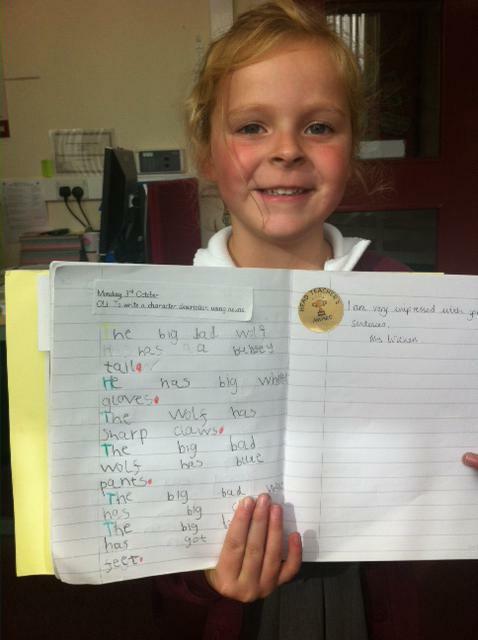 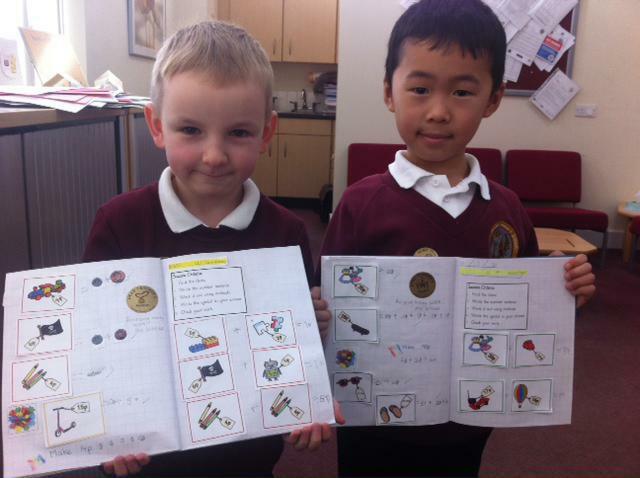 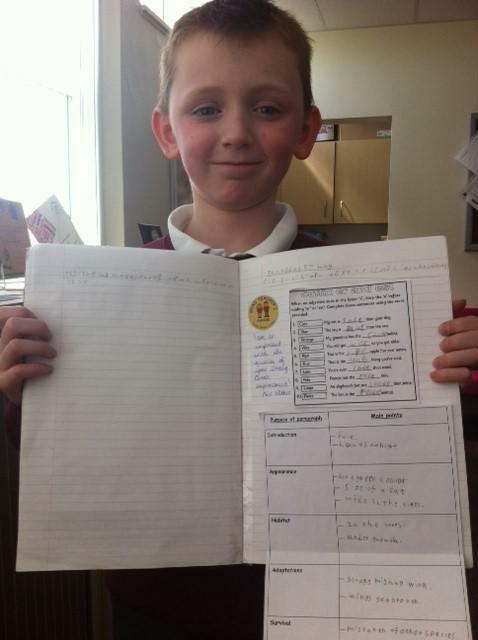 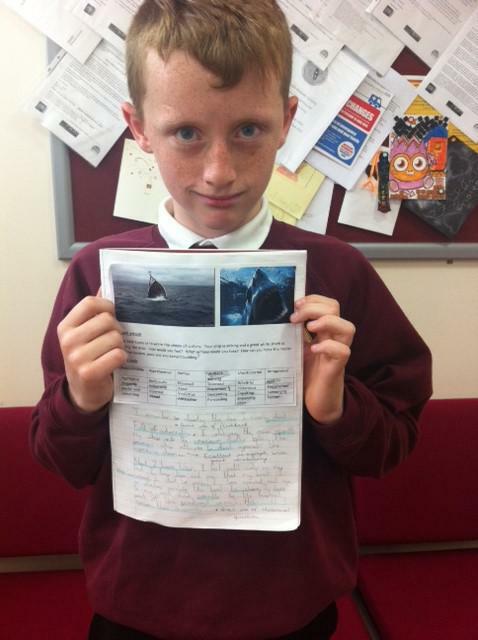 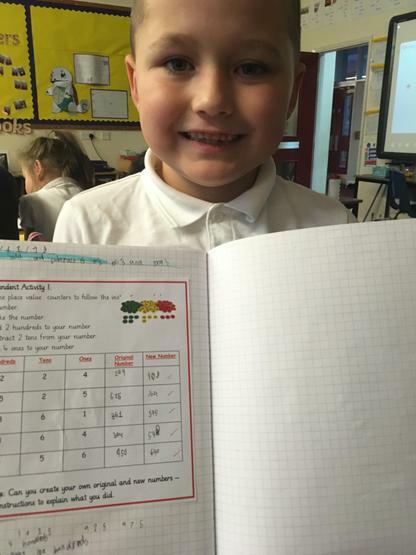 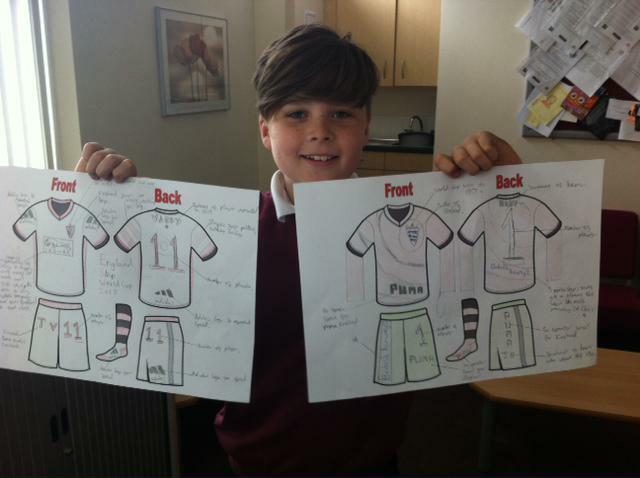 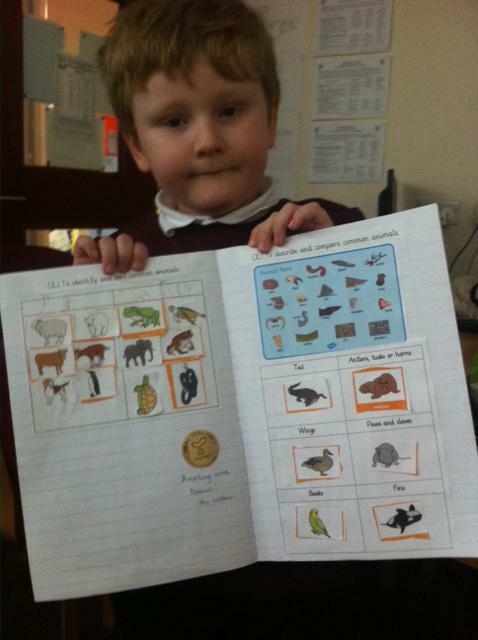 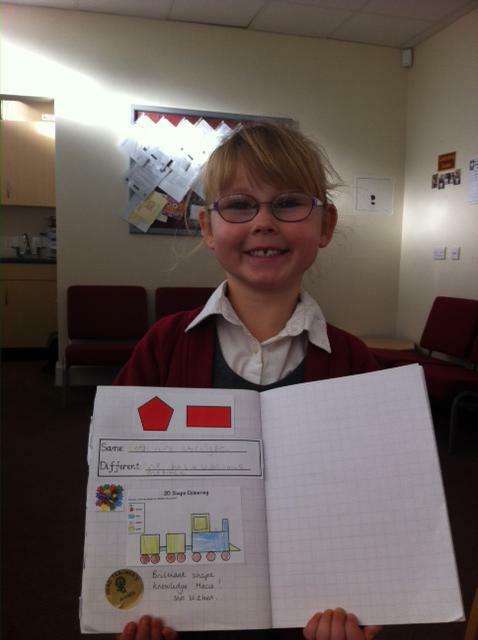 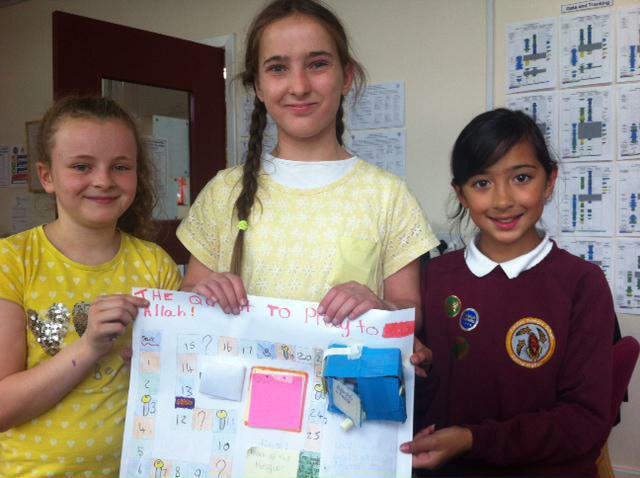 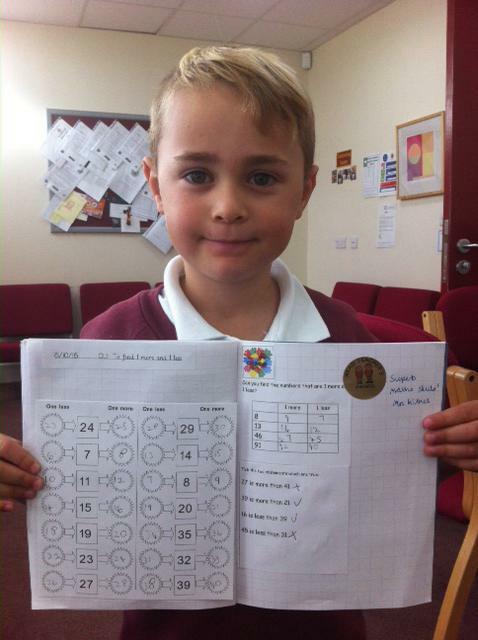 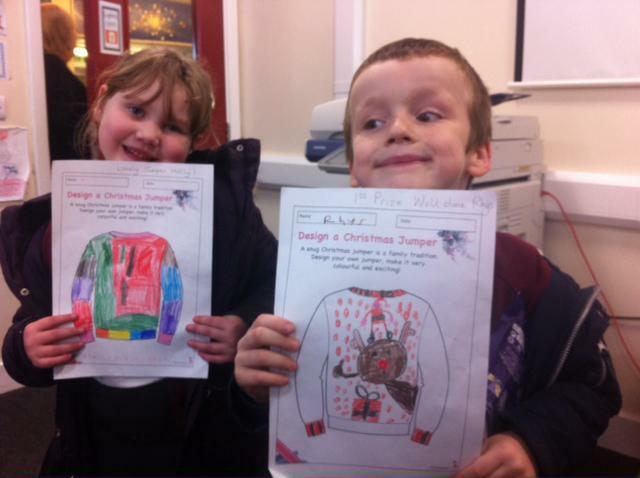 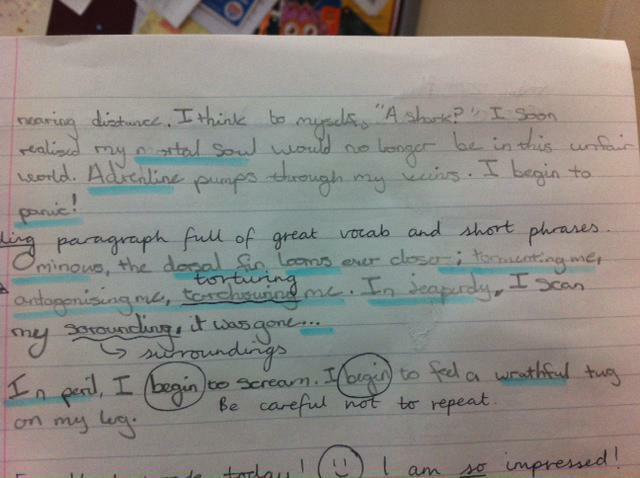 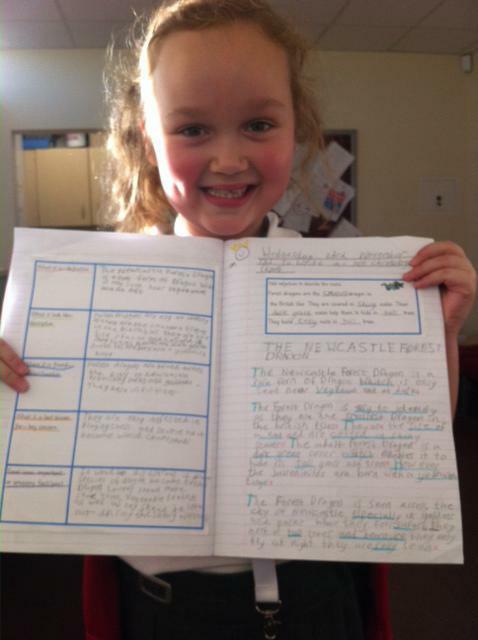 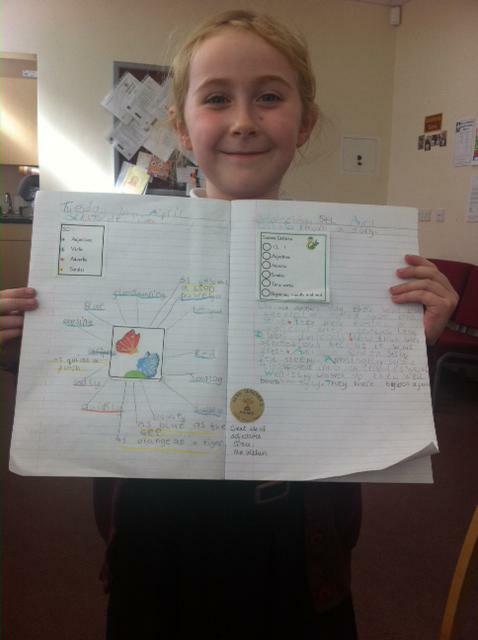 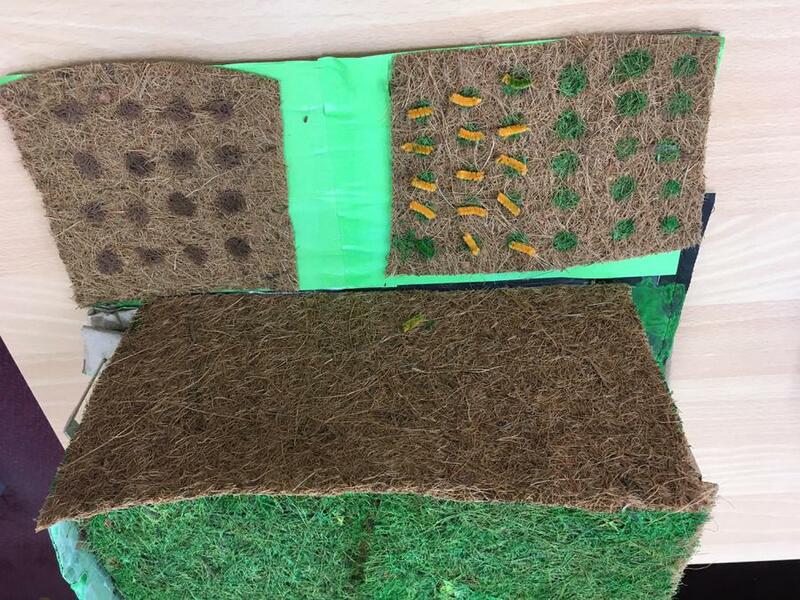 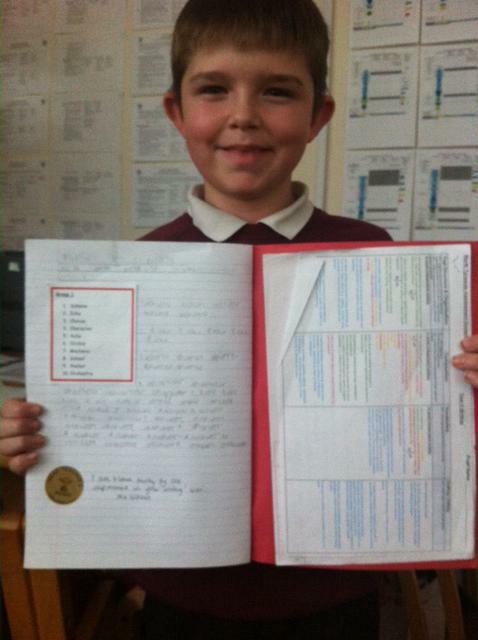 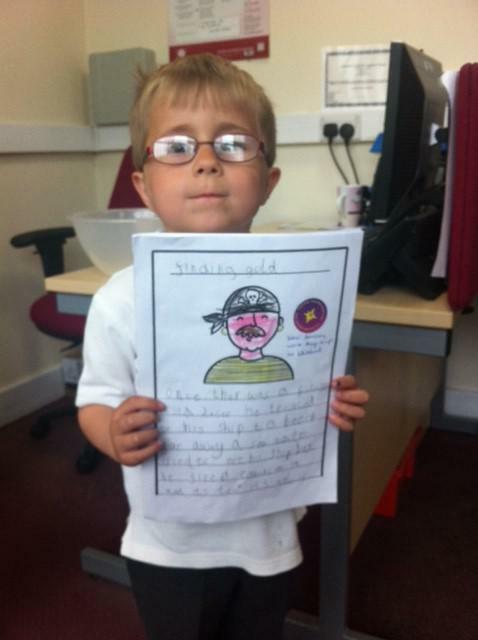 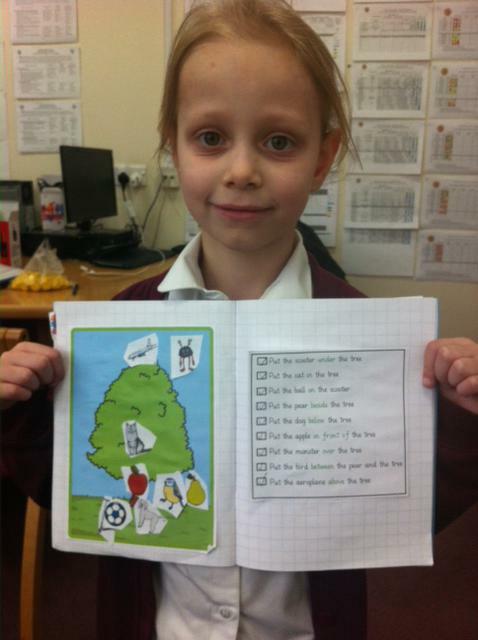 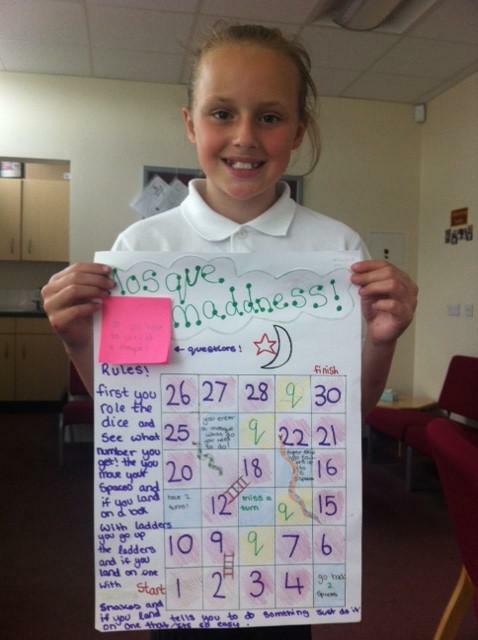 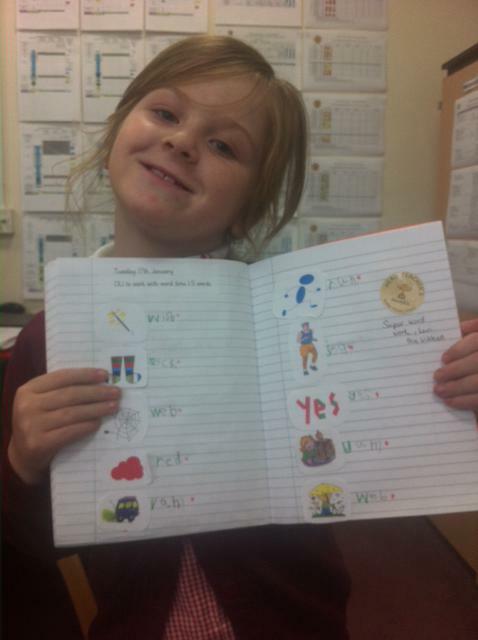 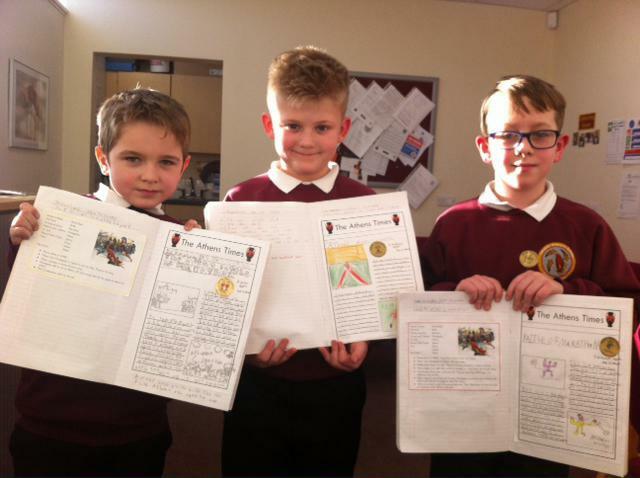 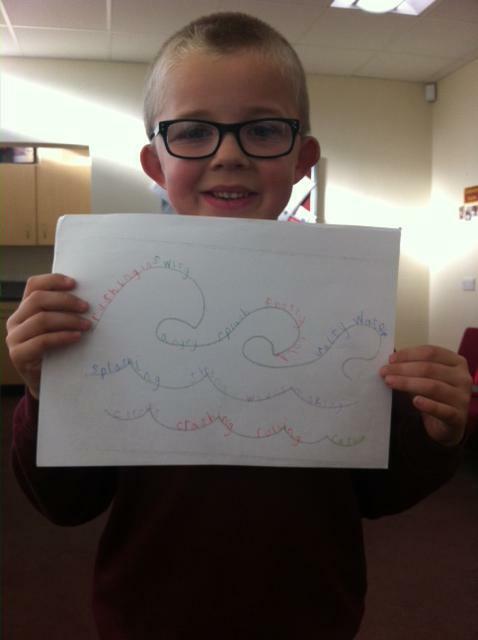 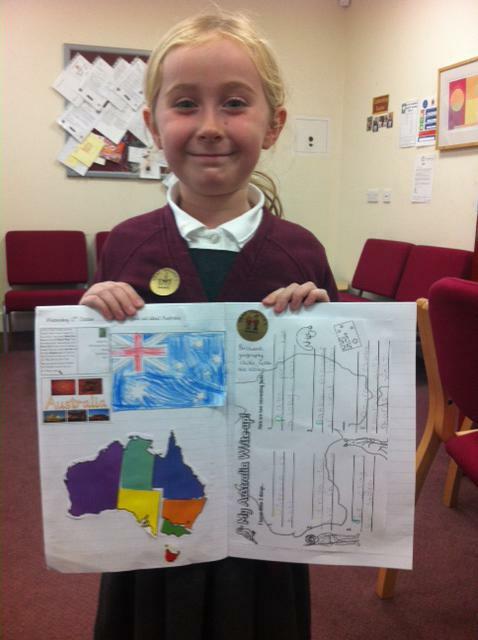 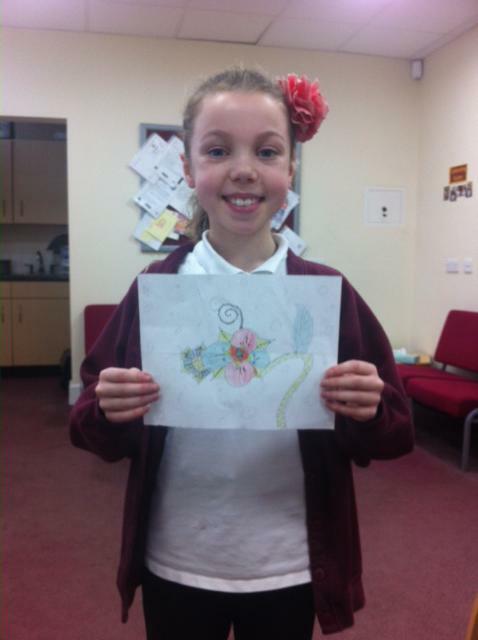 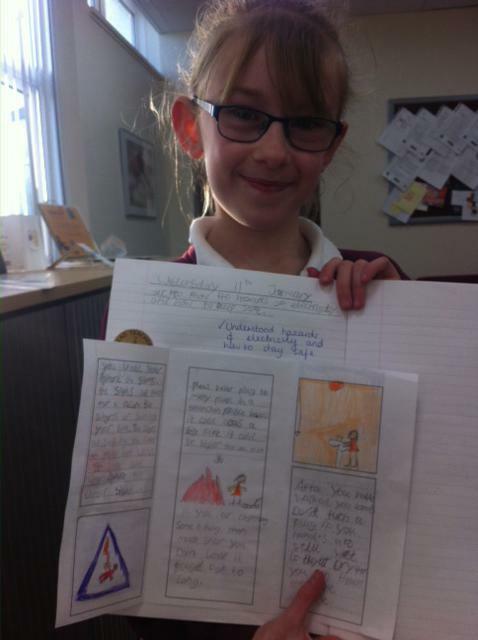 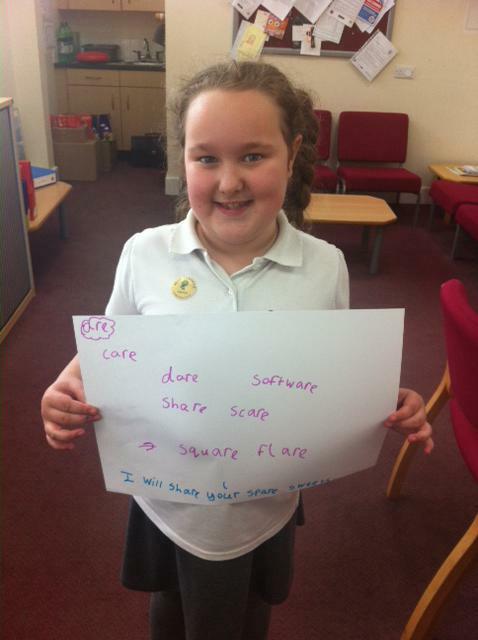 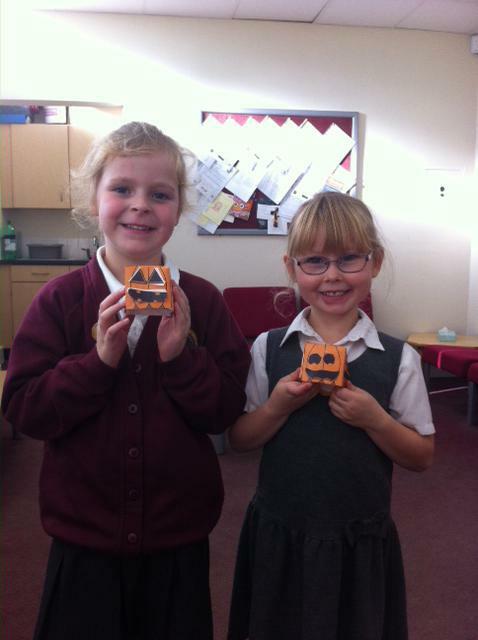 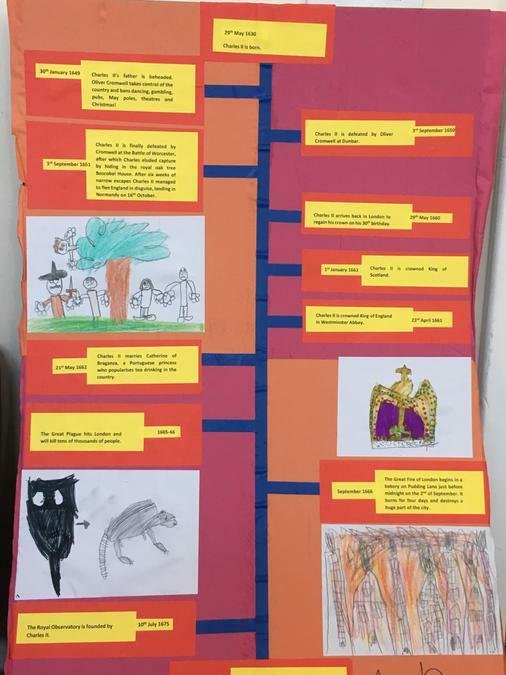 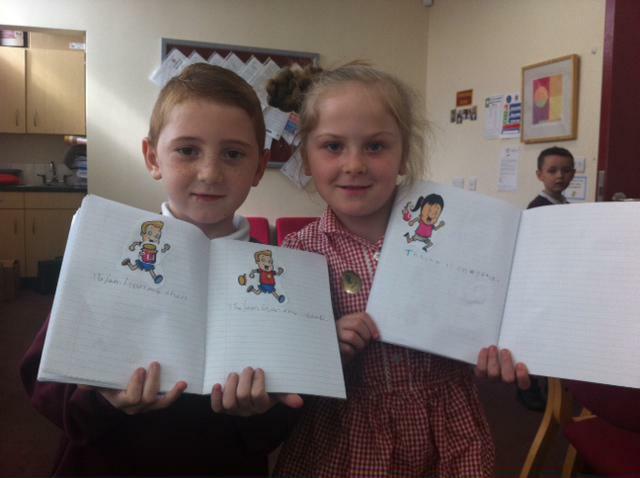 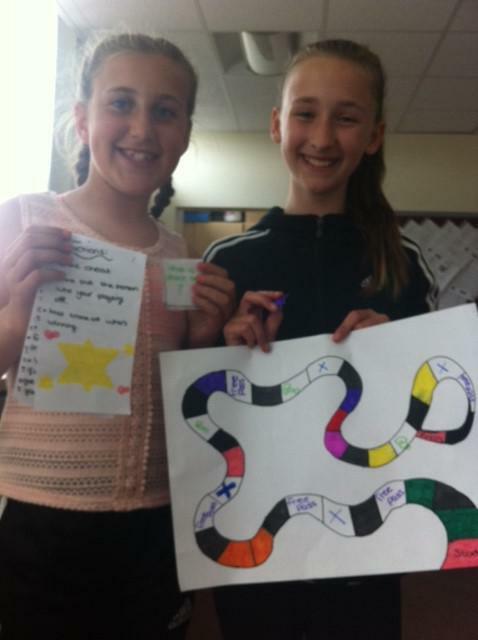 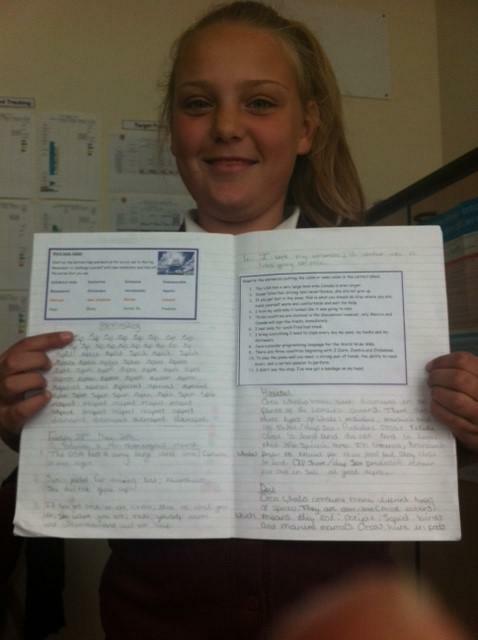 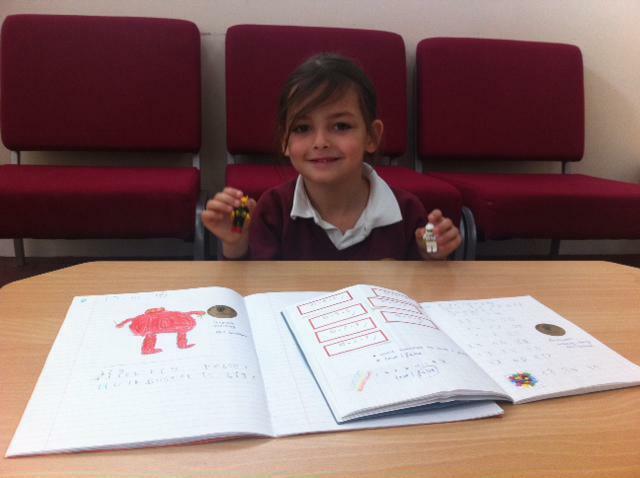 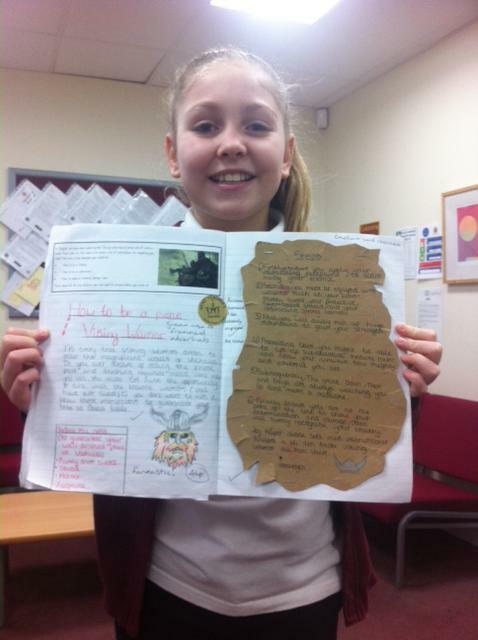 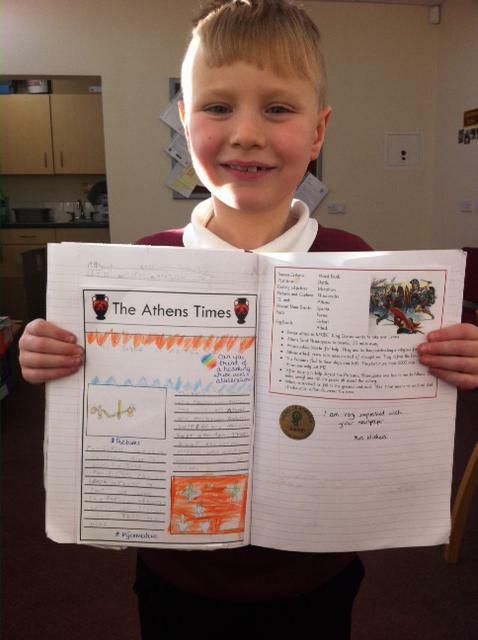 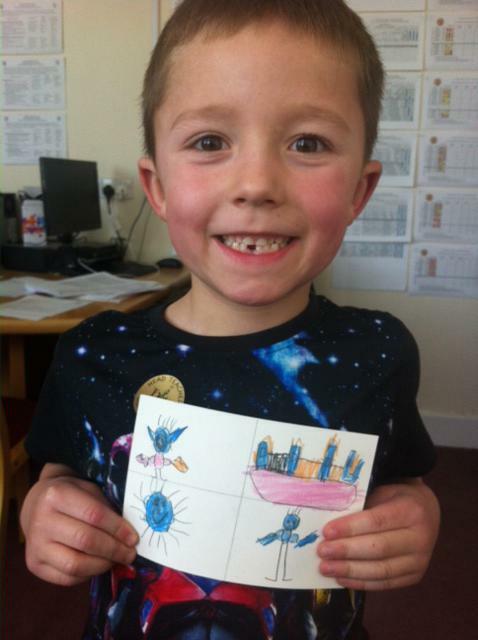 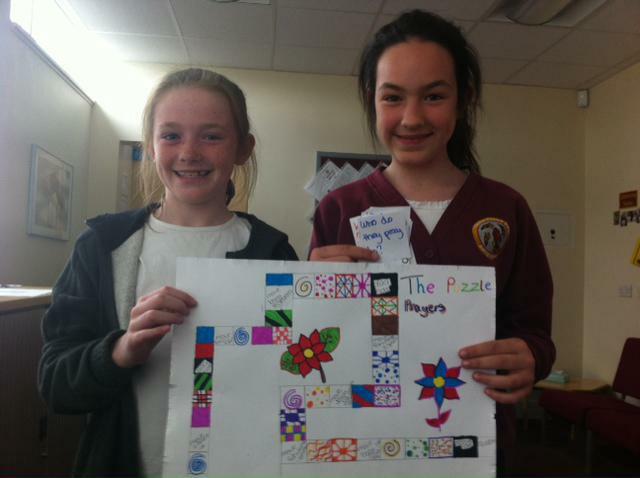 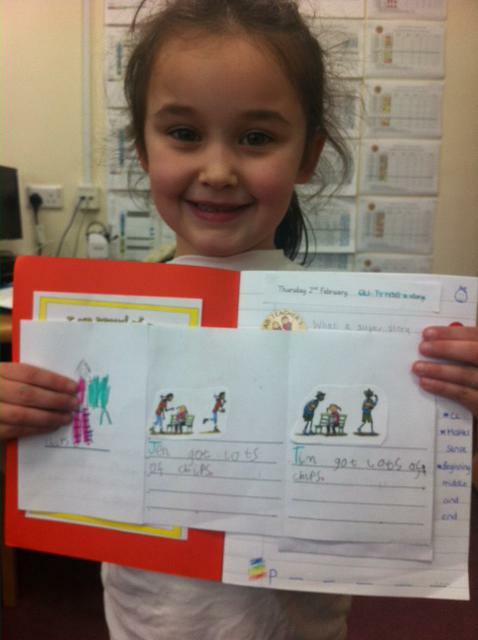 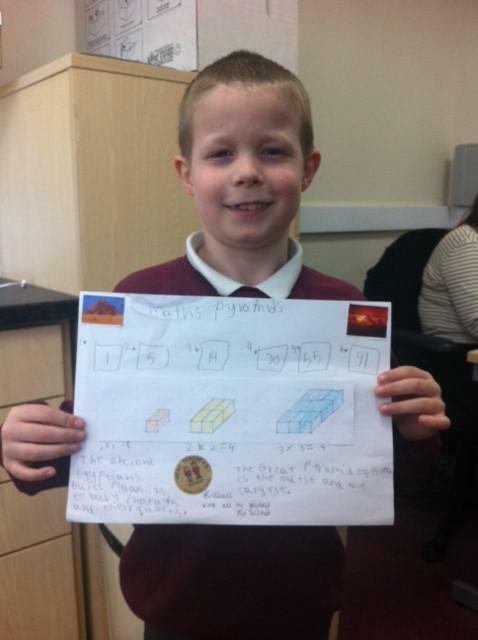 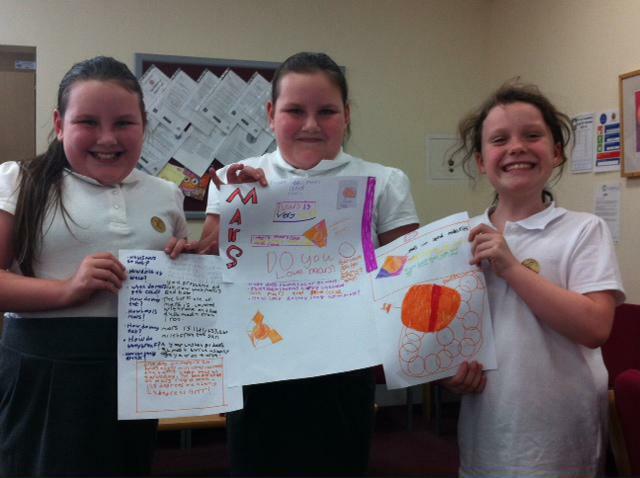 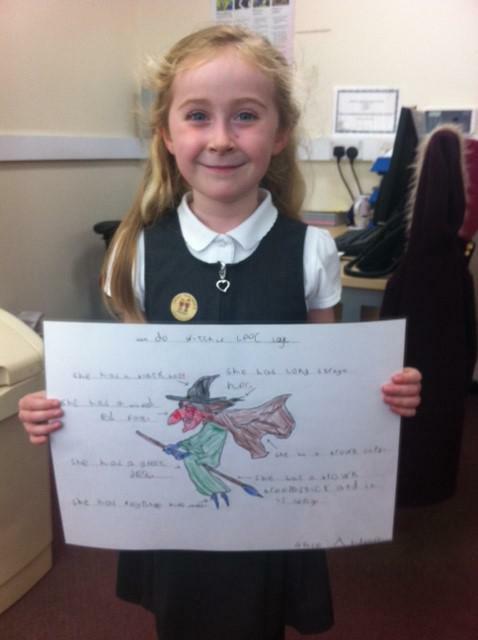 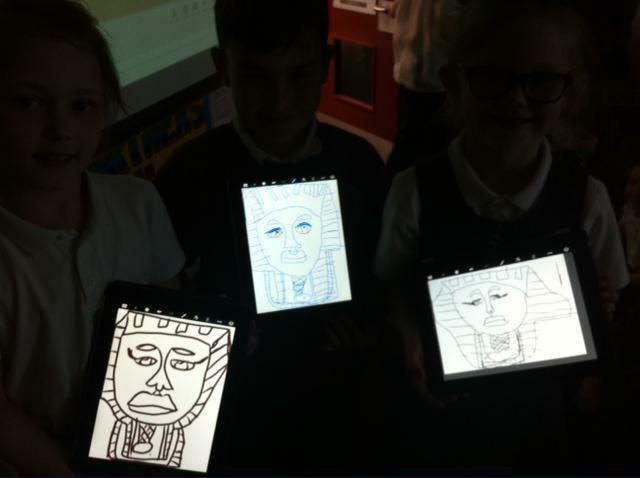 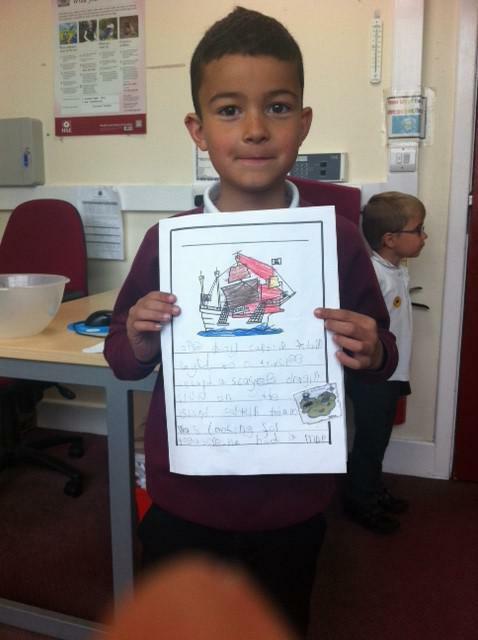 Miss Dixon will be adding their work to our Lend Me Your Literacy portfolio.